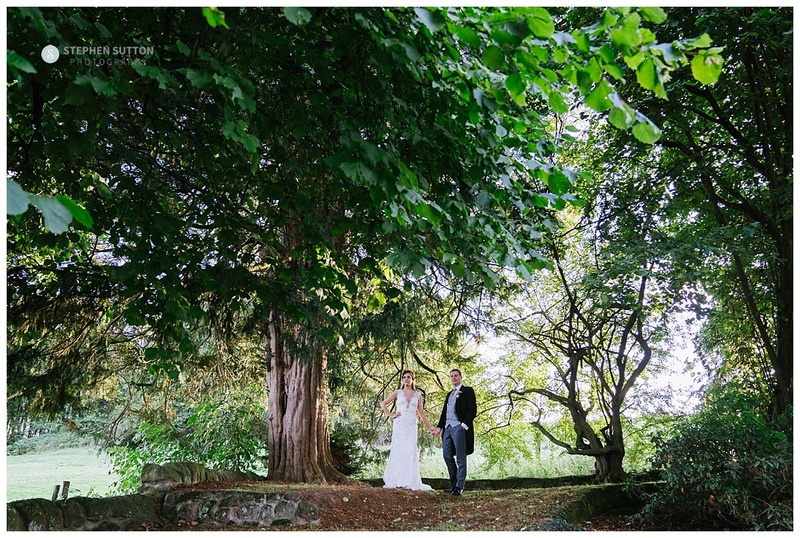 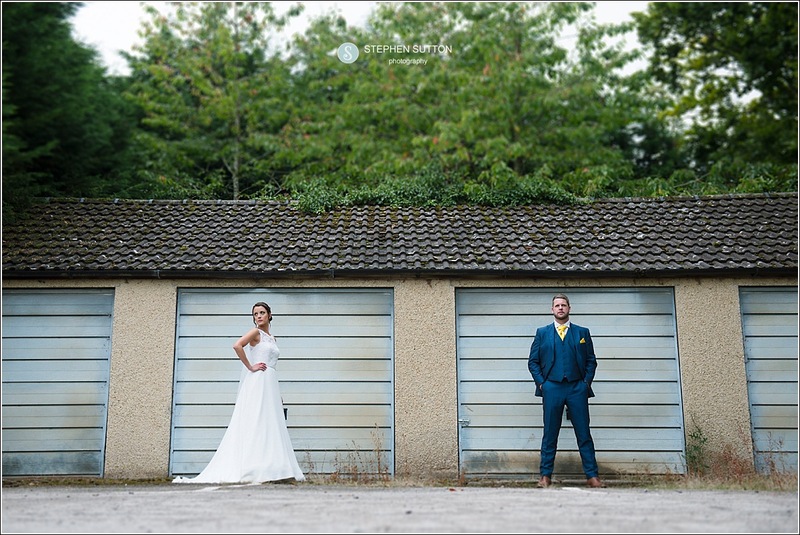 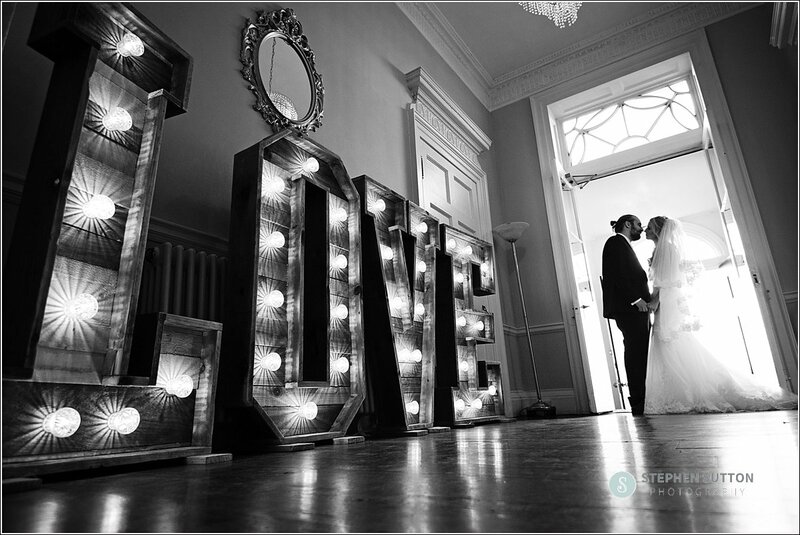 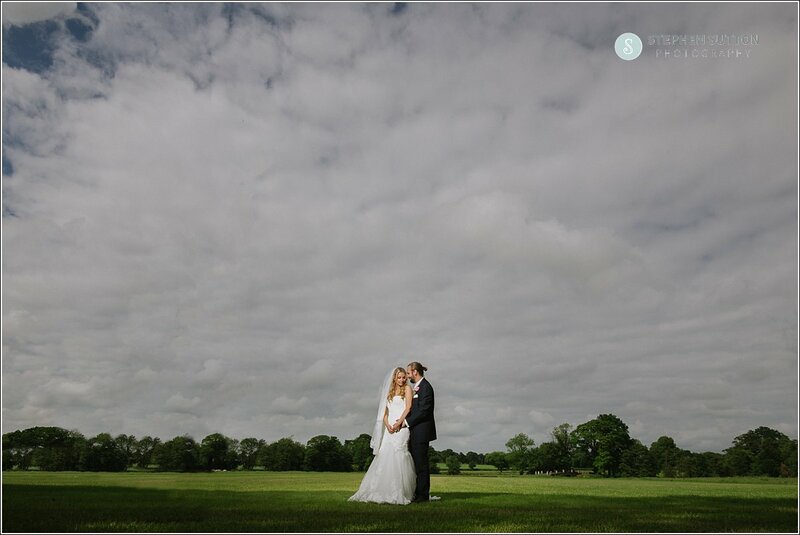 Hannah & Ed booked me for their wedding photography at Weston hall some time ago. 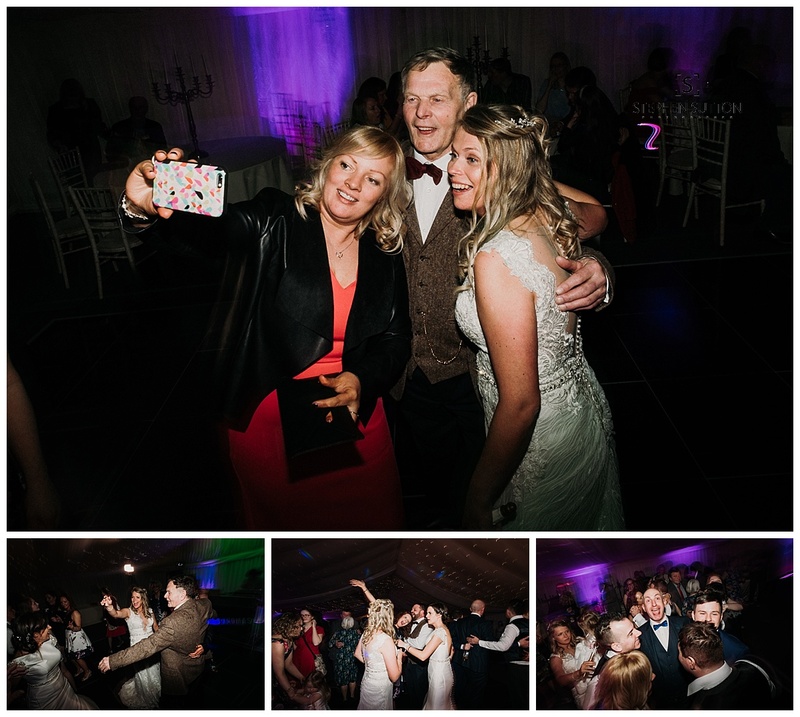 Hannah works in the wedding industry so when I got this booking I felt really privileged as I would imagine she comes across 100’s of photographers. 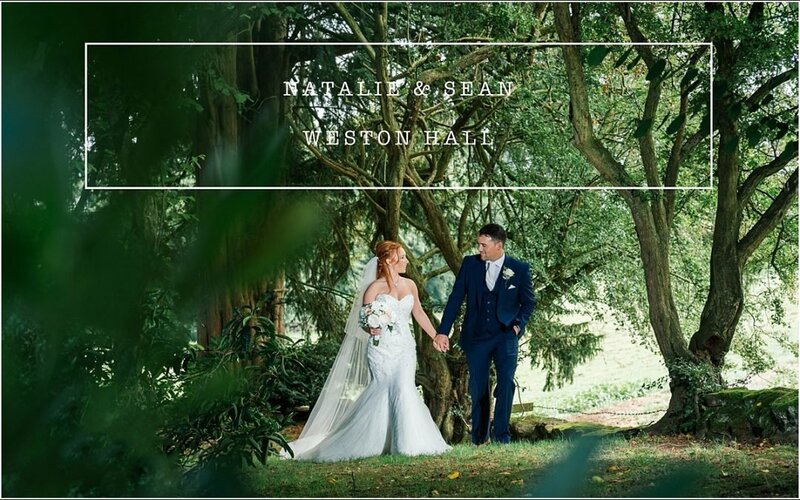 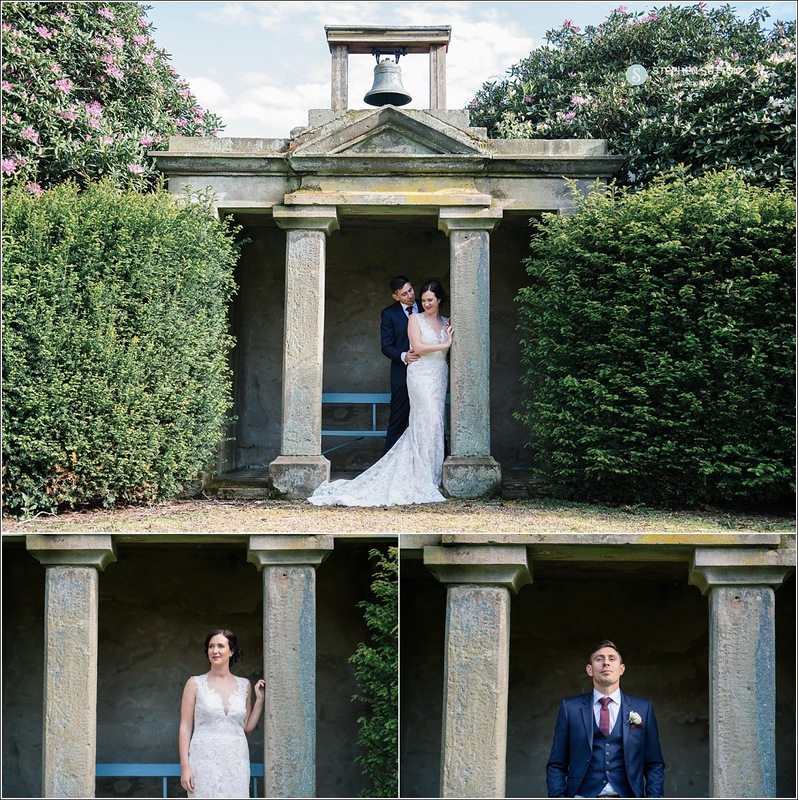 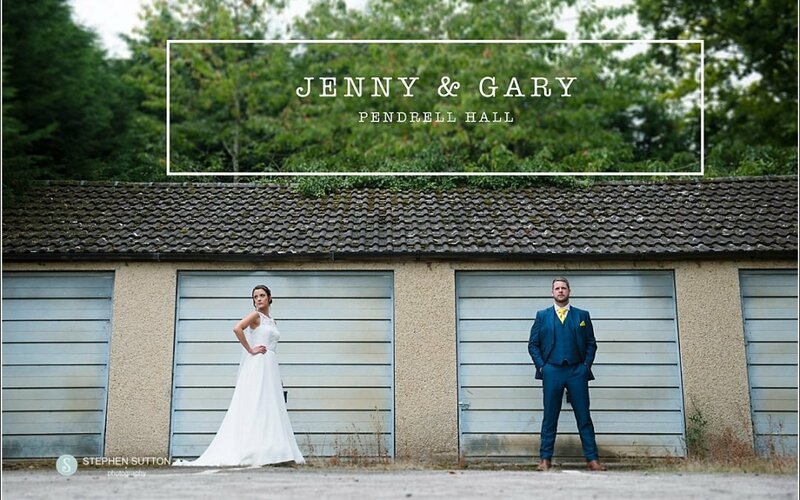 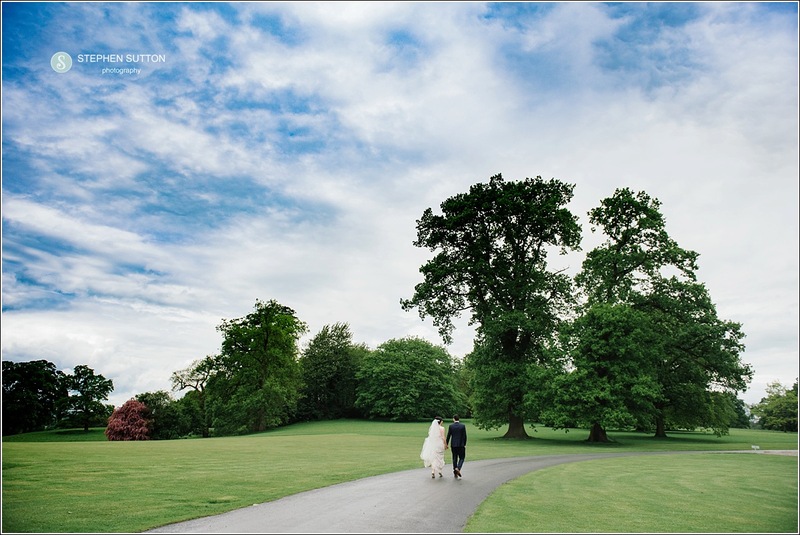 Weston Hall is just down the road from my studio and a venue I love working at, the staff are great and the Hall and grounds are perfect with a good variety of locations for your wedding photographs. 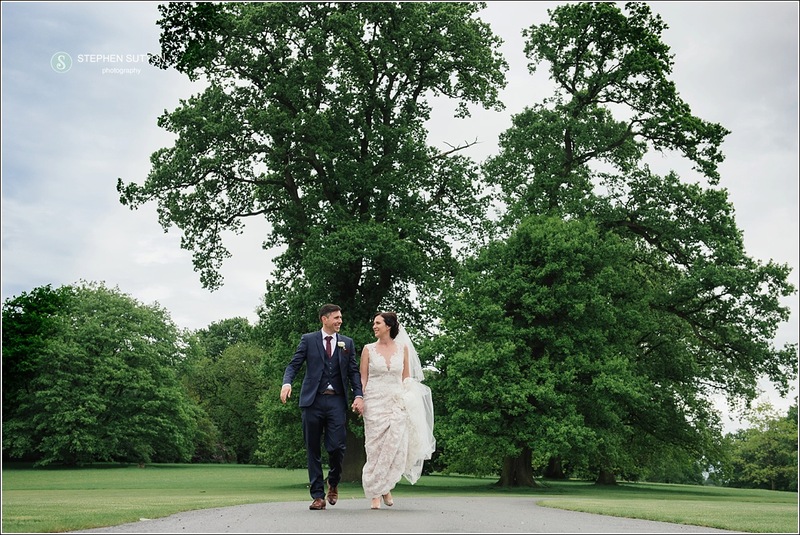 The weather wasn’t great to start but eventually got better so we still managed to get out and have a walk around the grounds. 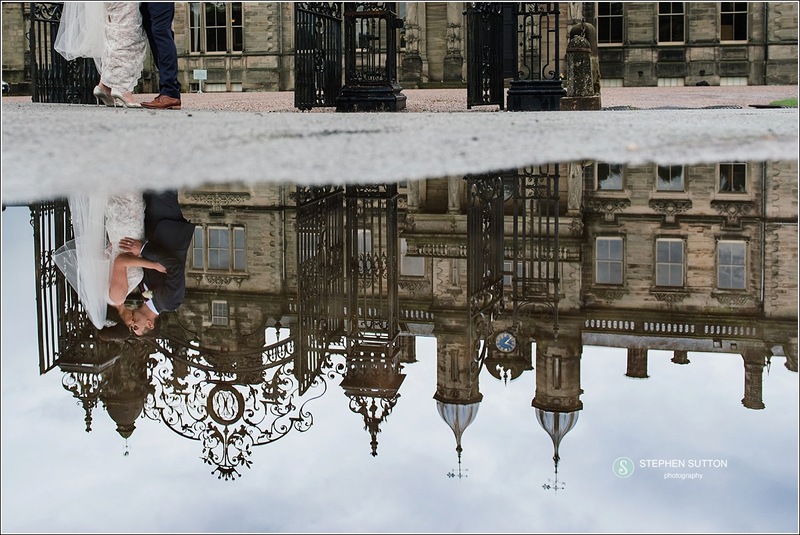 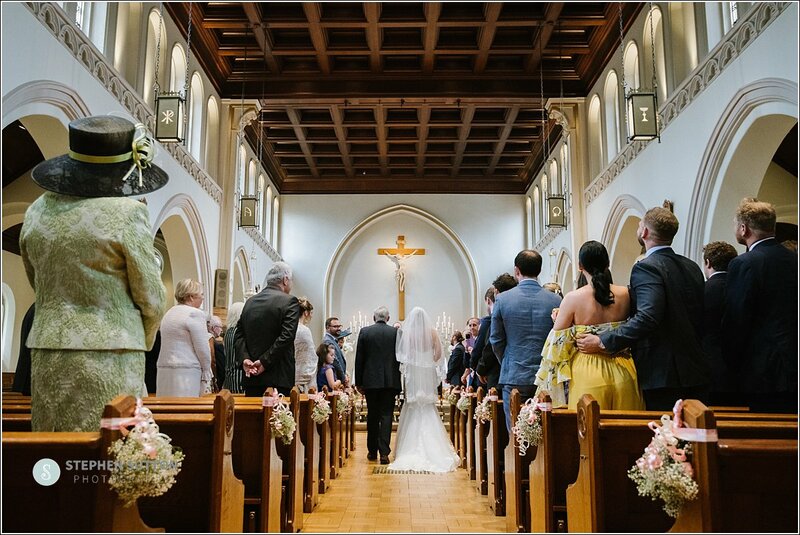 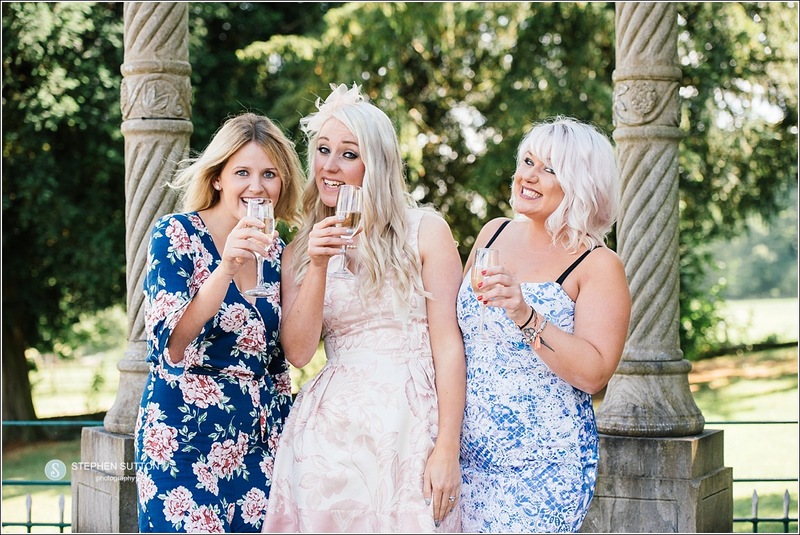 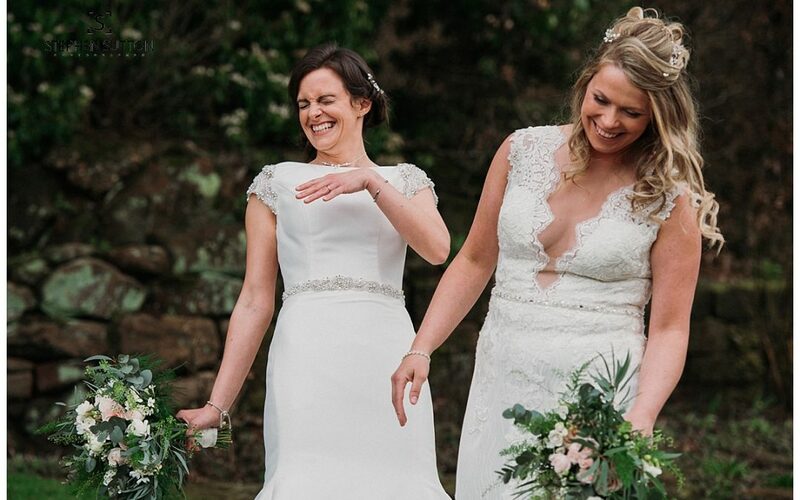 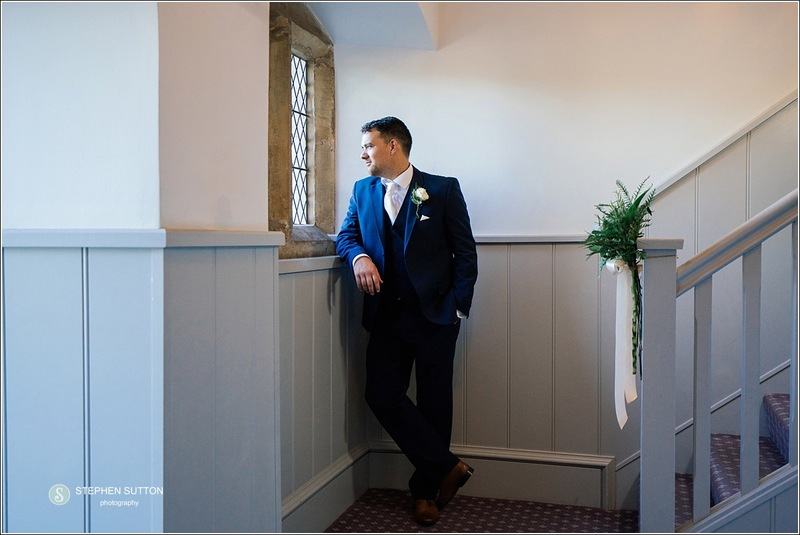 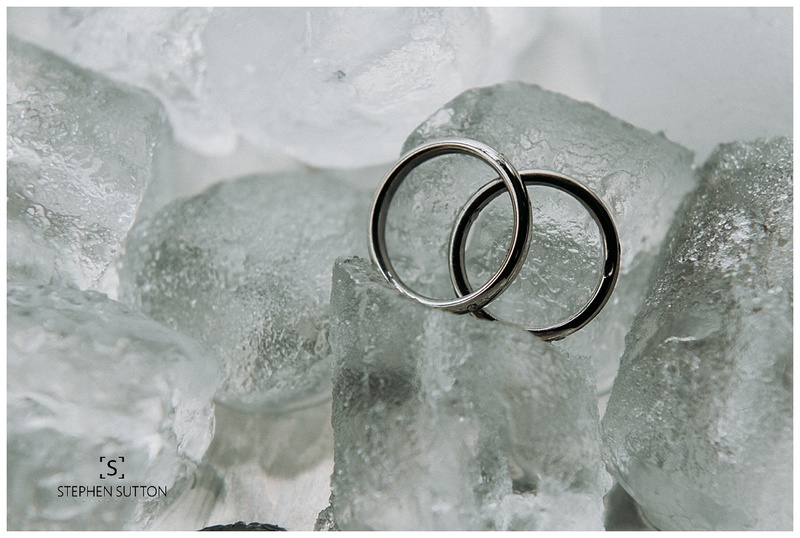 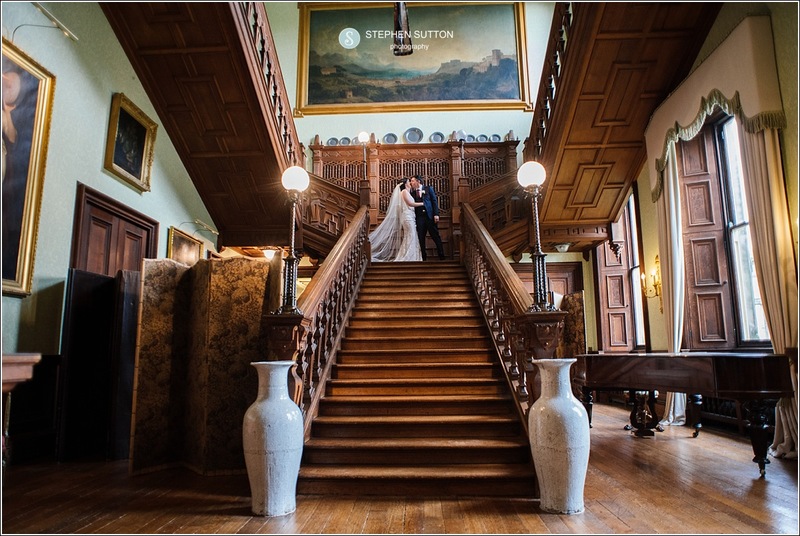 It’s always worth bearing in mind when choosing a wedding venue that they can accommodate for indoor photographs should the weather be really against you. 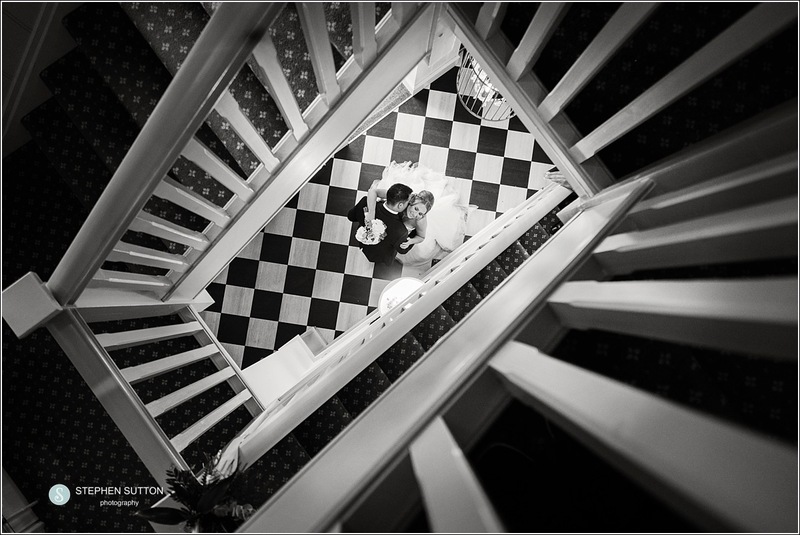 Don’t get me wrong you can get some awesome images even on a wet day but a plan B is always good. 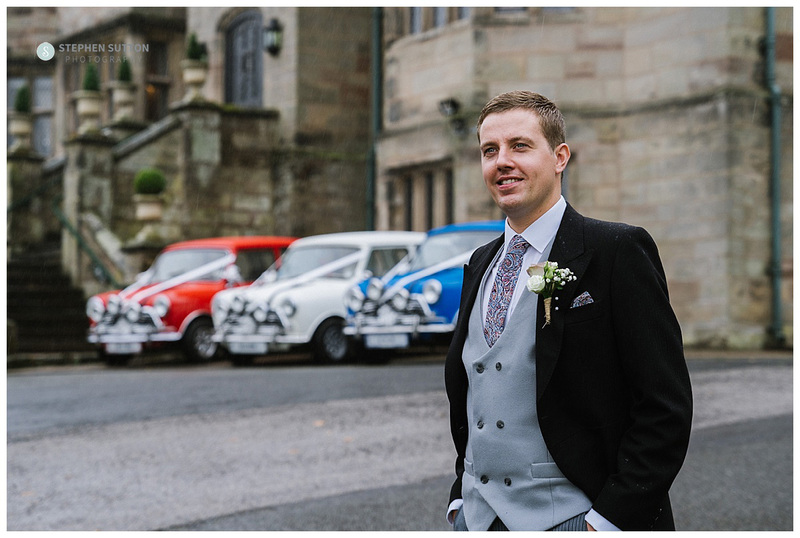 Hannah and her Bridesmaids got ready at the venue so I headed to the room to get some of the details and document some of the bridal preps, I then made my way out to capture Ed arriving in the Italian job mini’s with the ushers and best man. 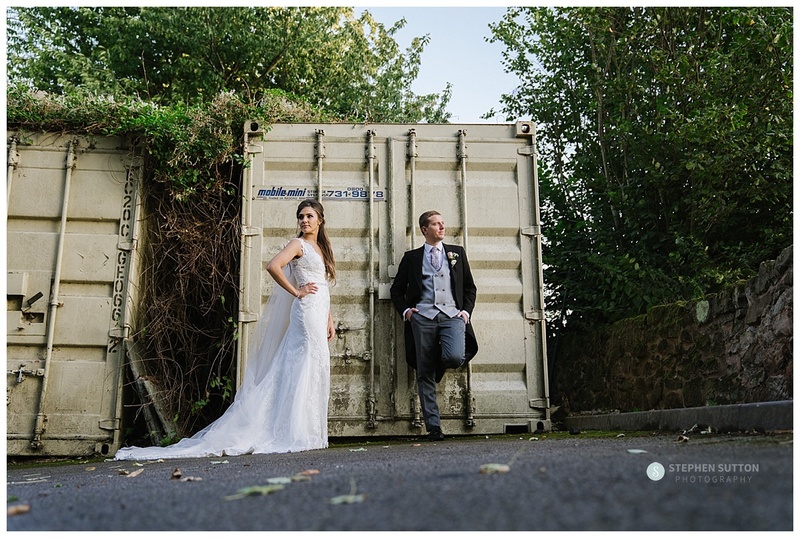 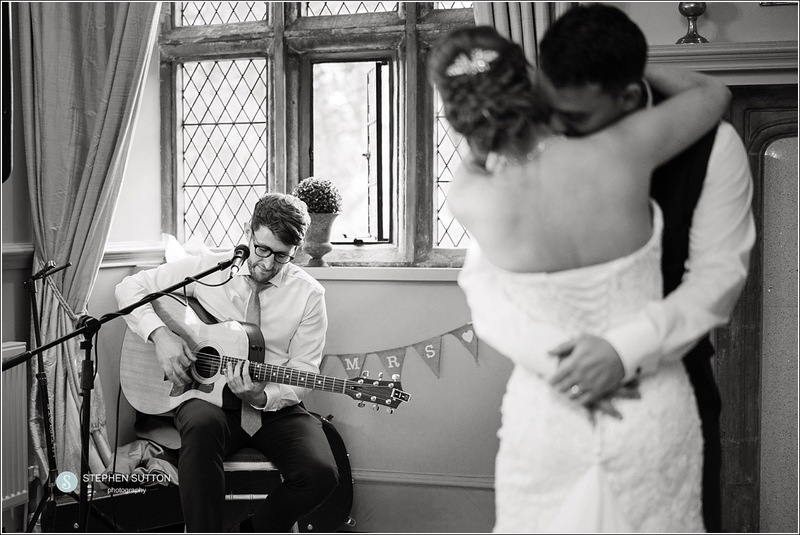 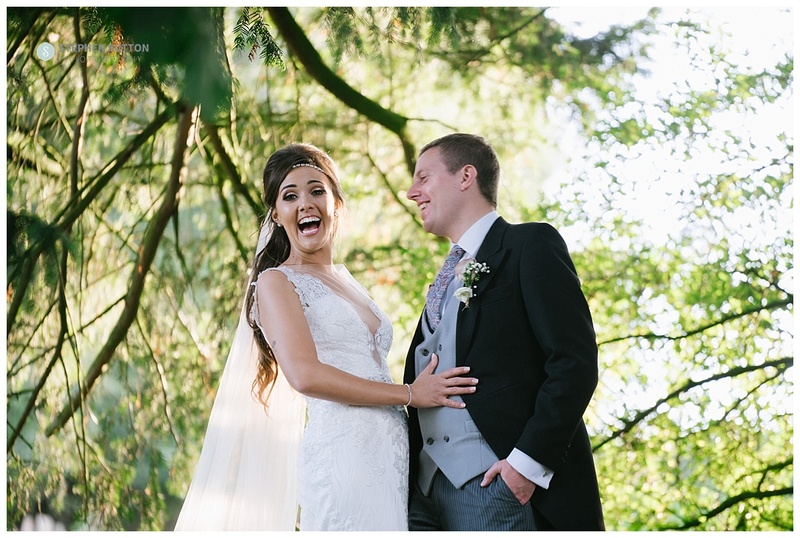 This was a fun filled day from start to finish and a real pleasure to work for Hannah and Ed on their epic wedding. 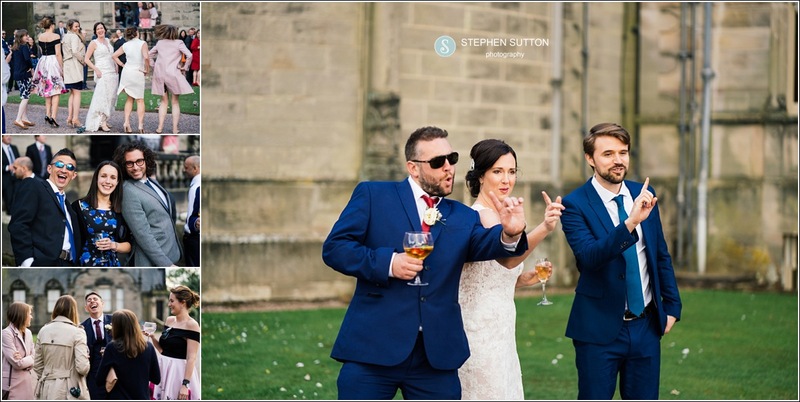 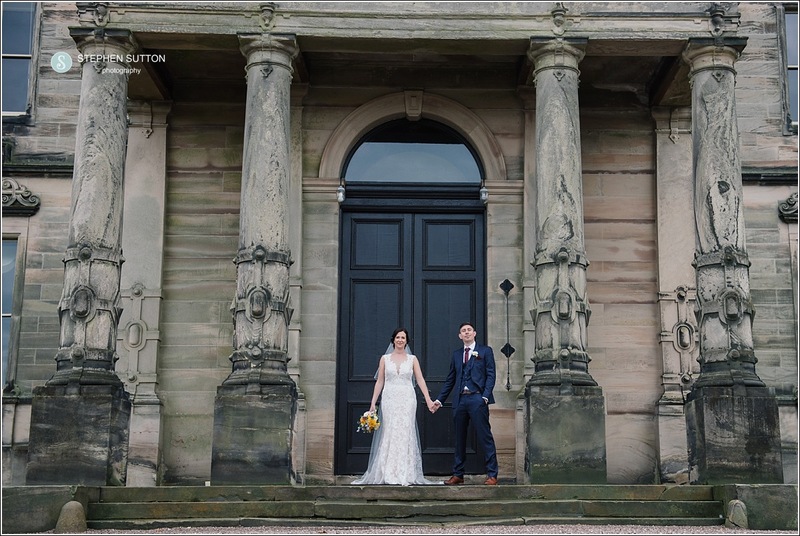 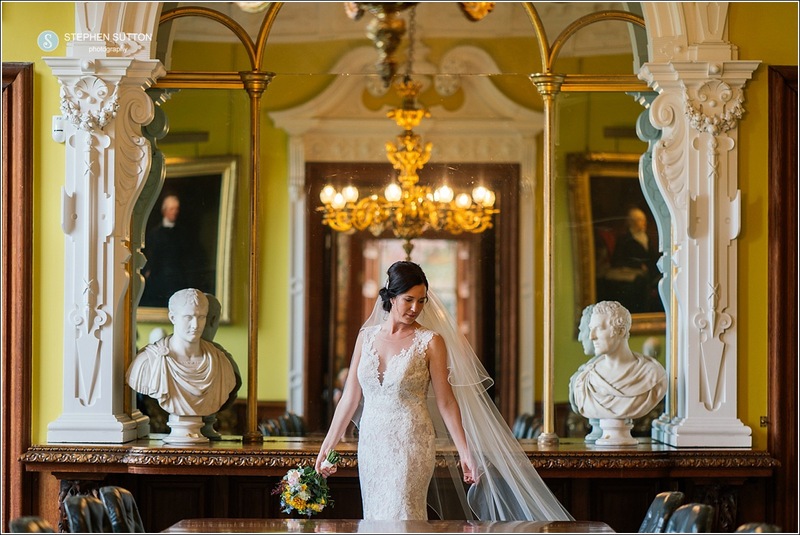 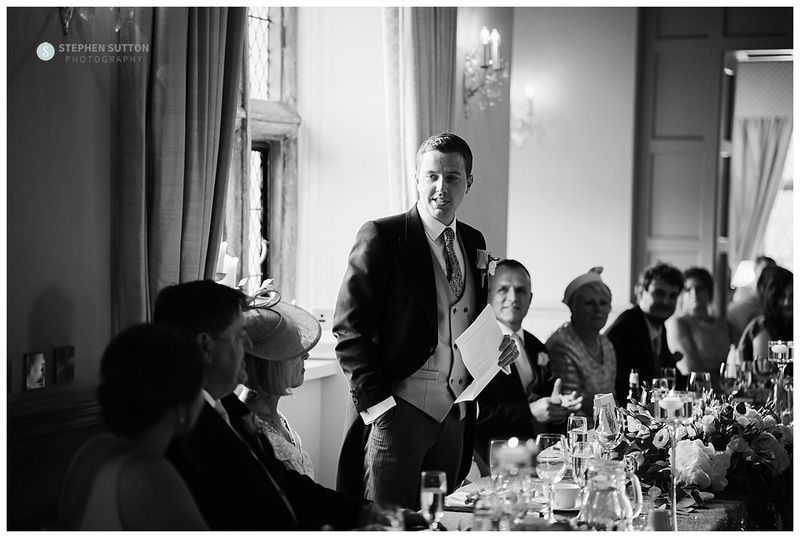 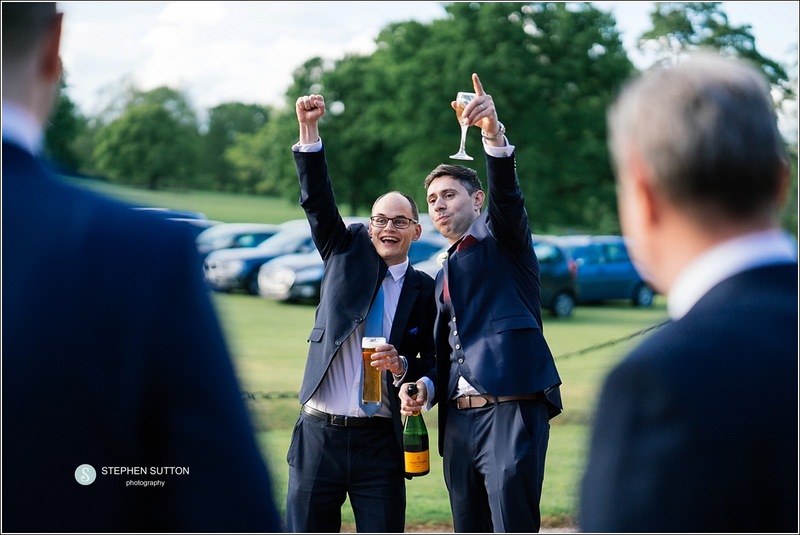 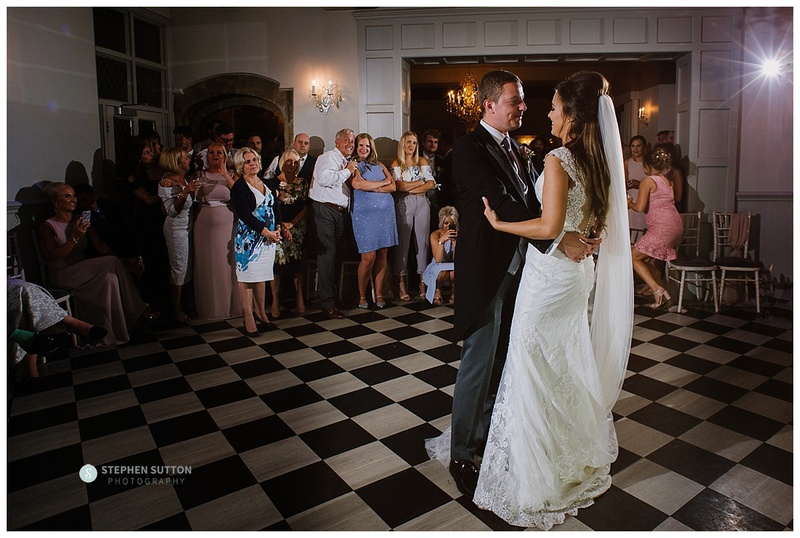 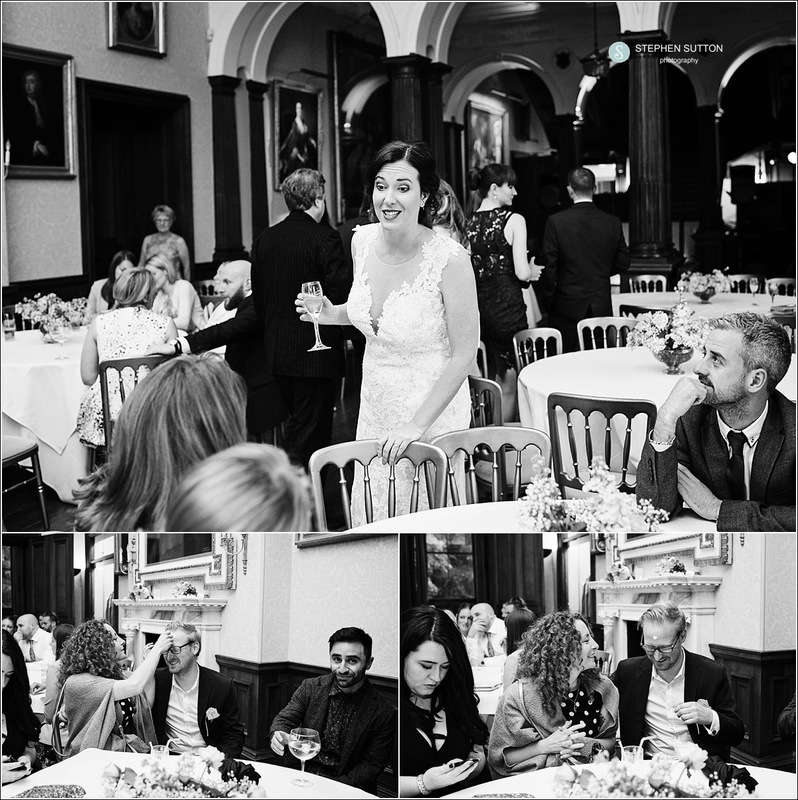 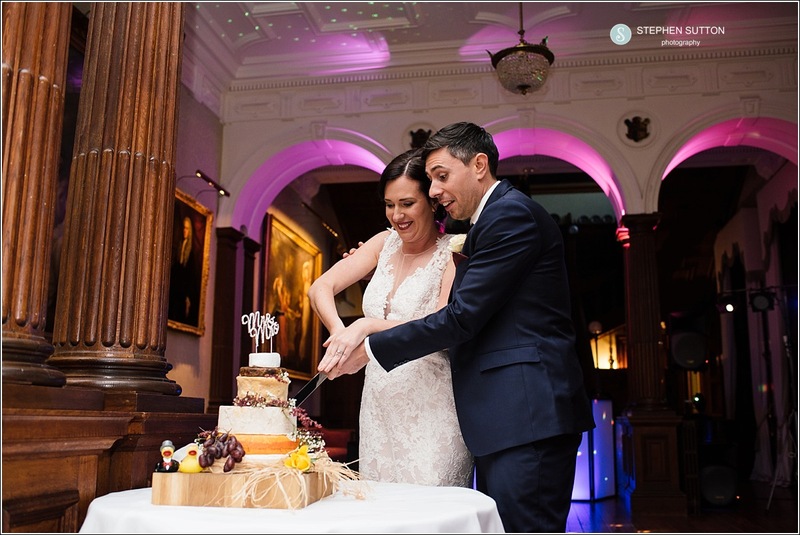 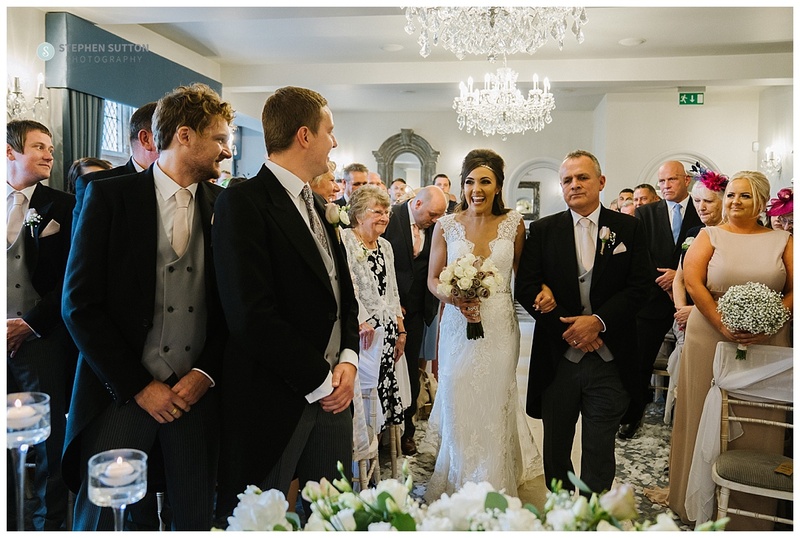 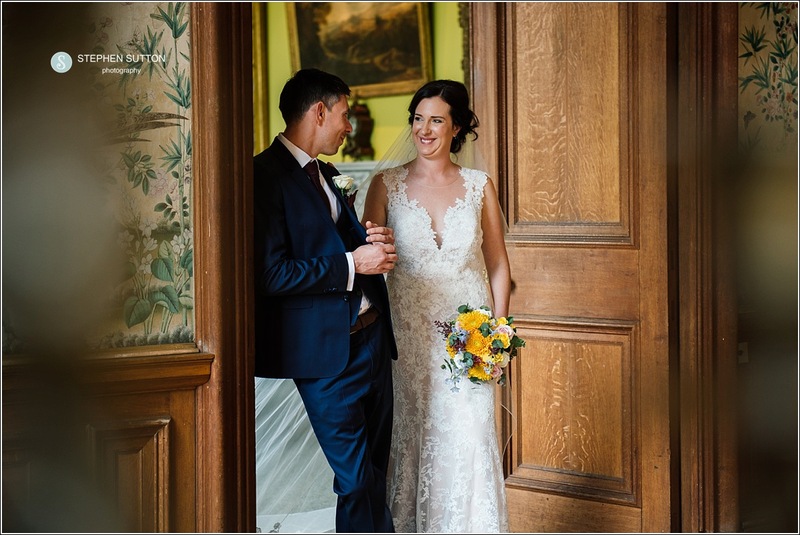 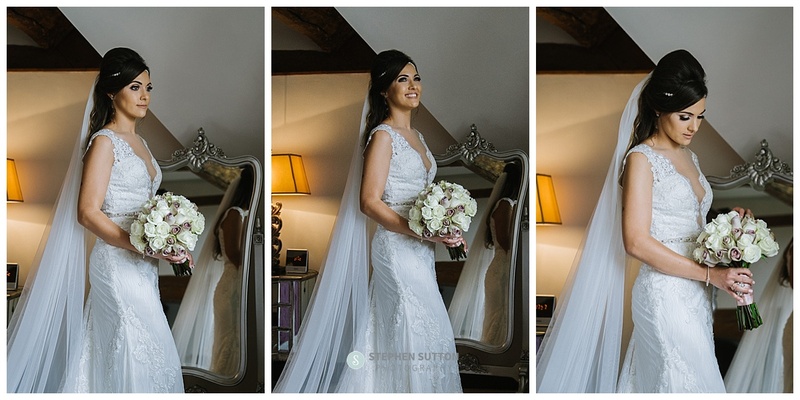 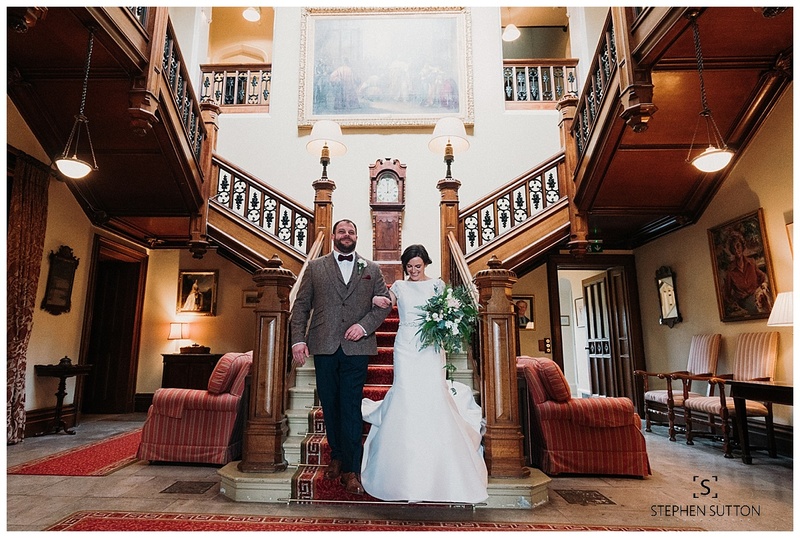 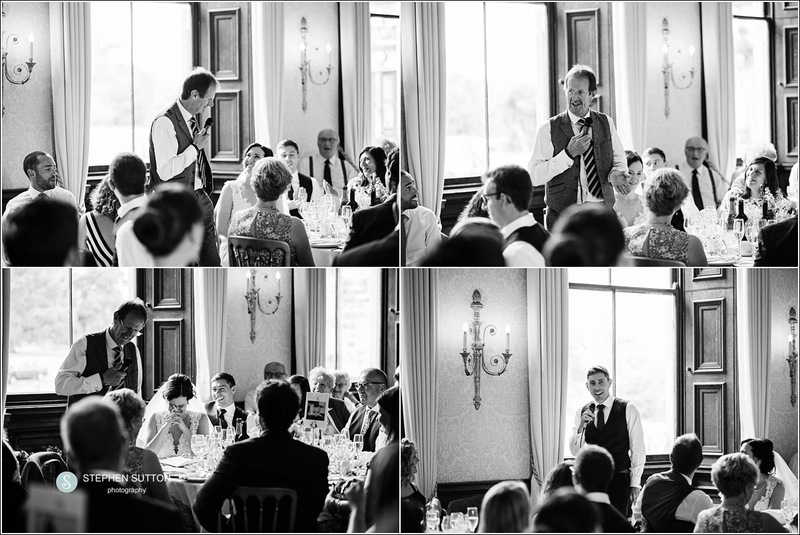 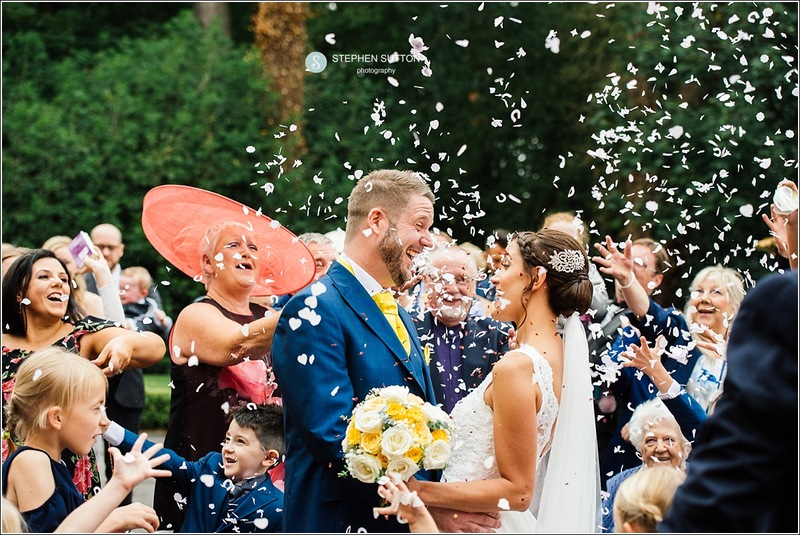 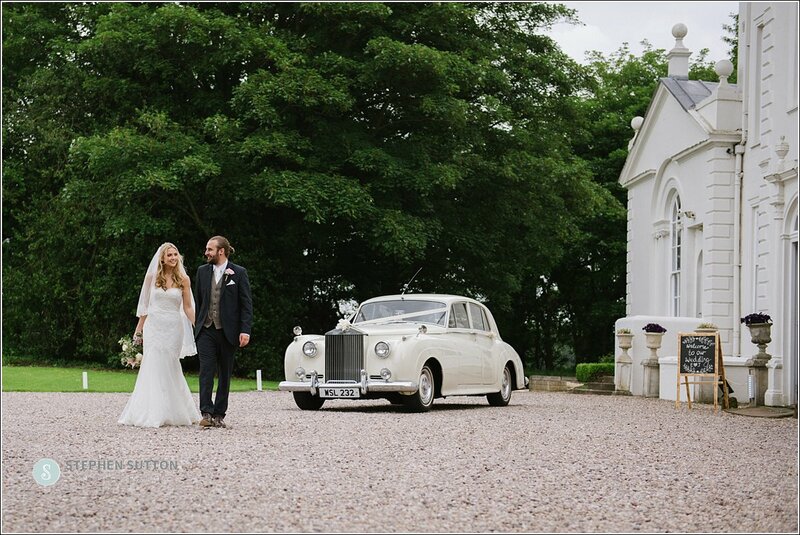 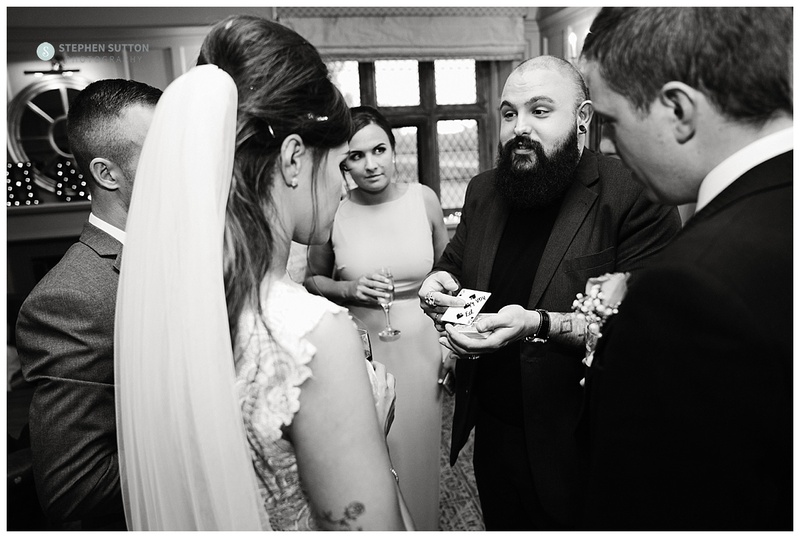 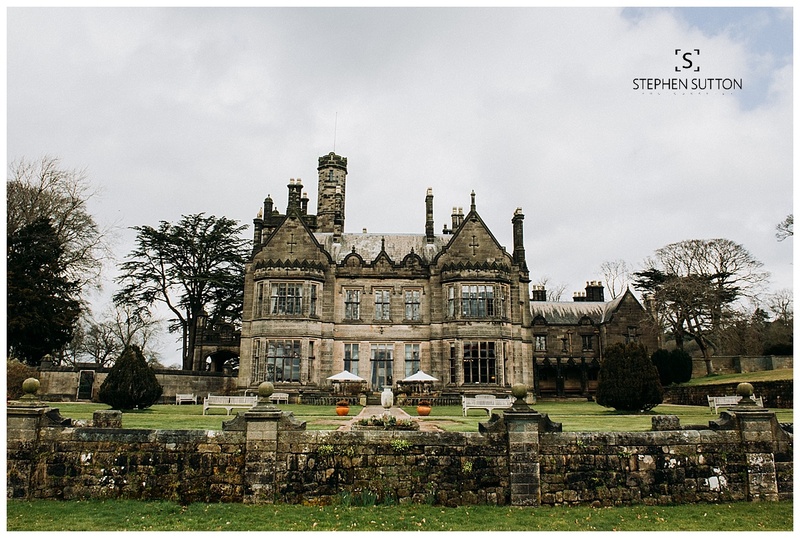 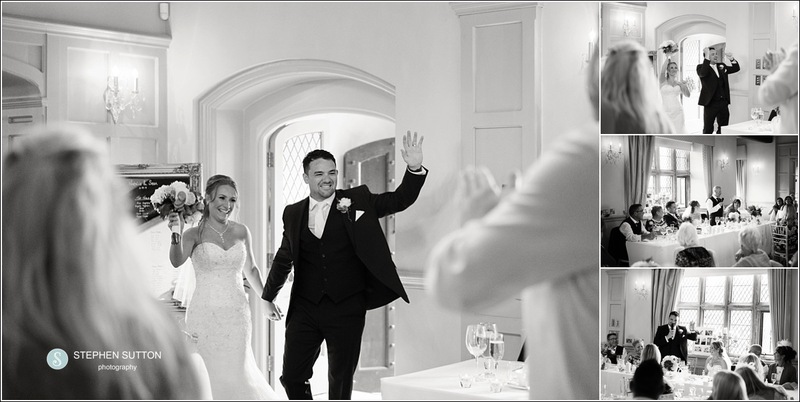 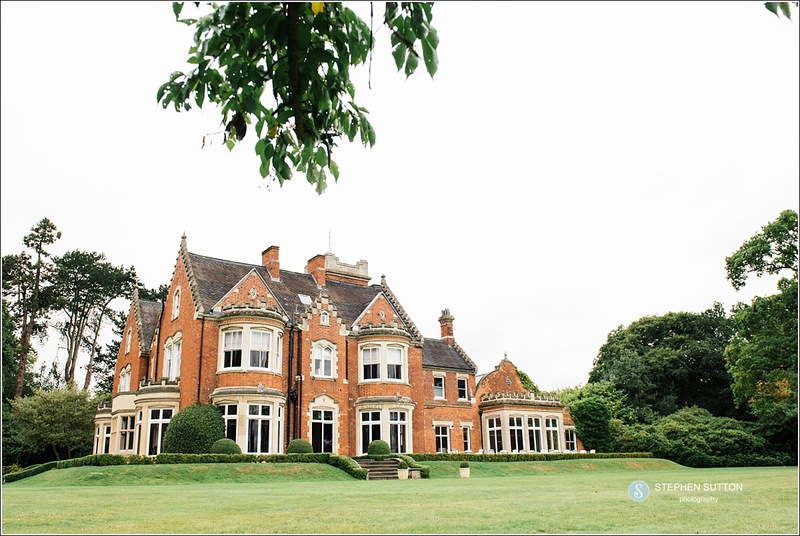 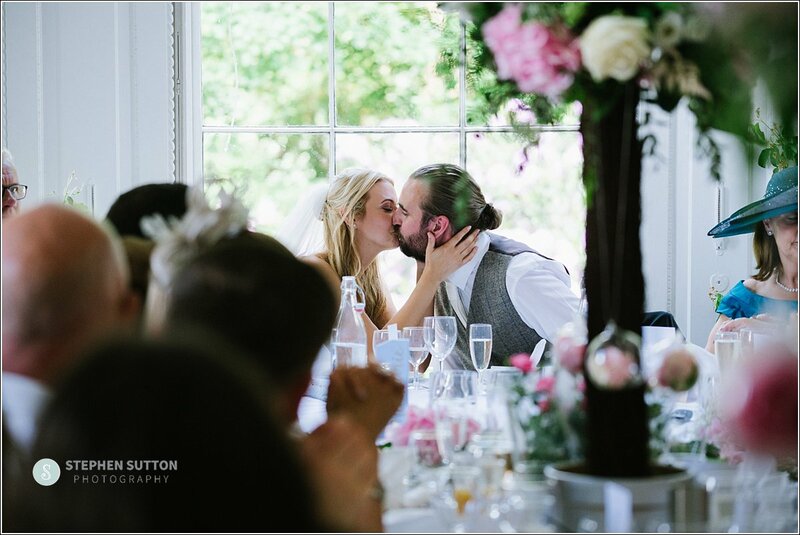 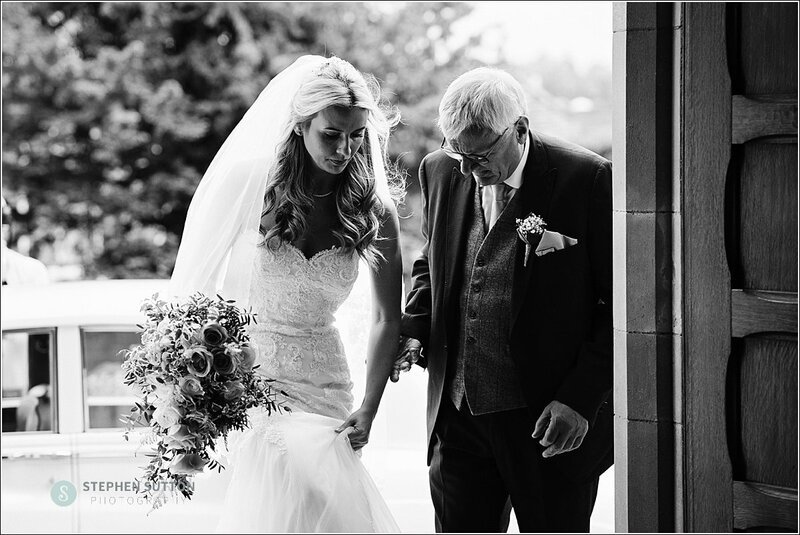 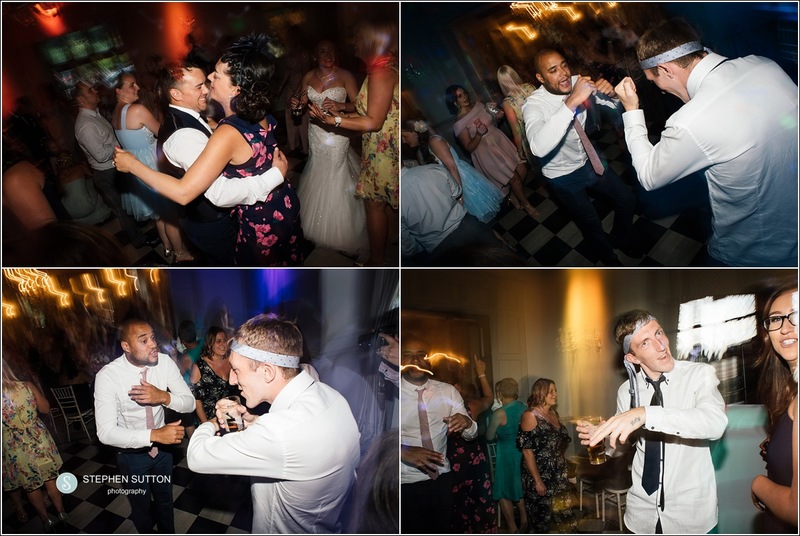 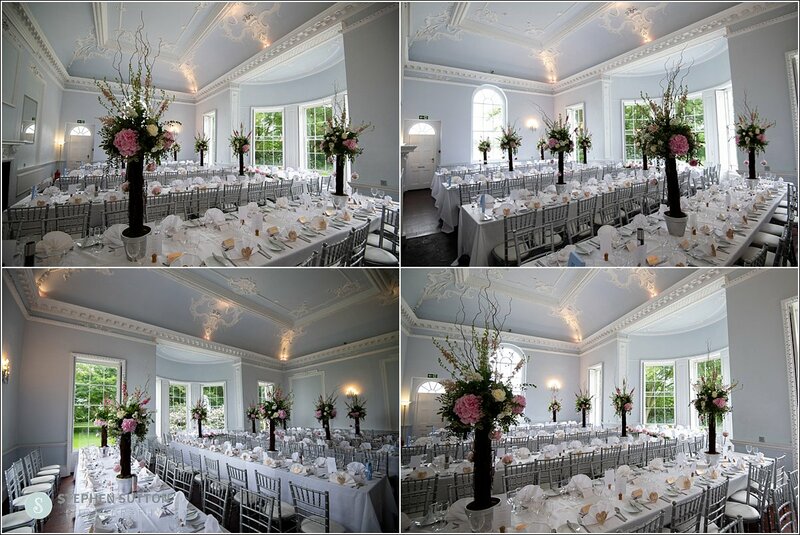 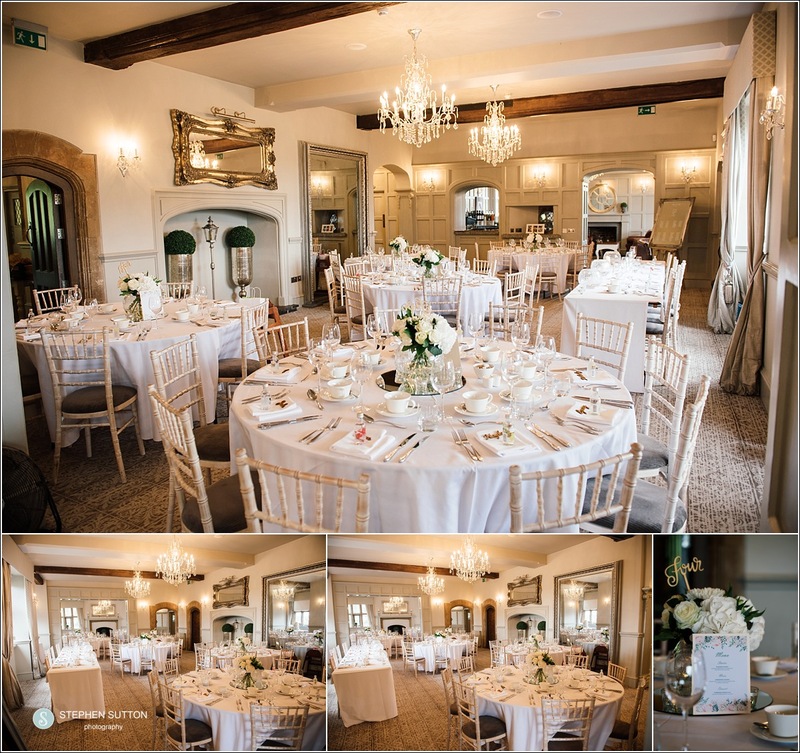 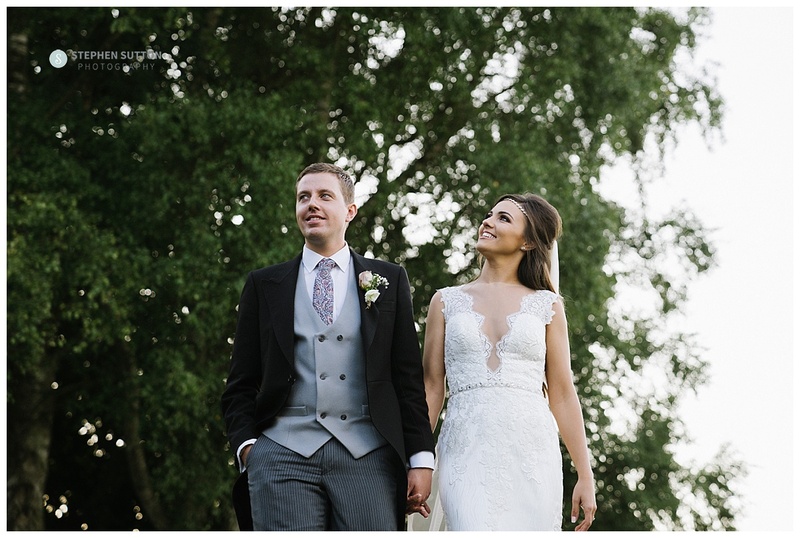 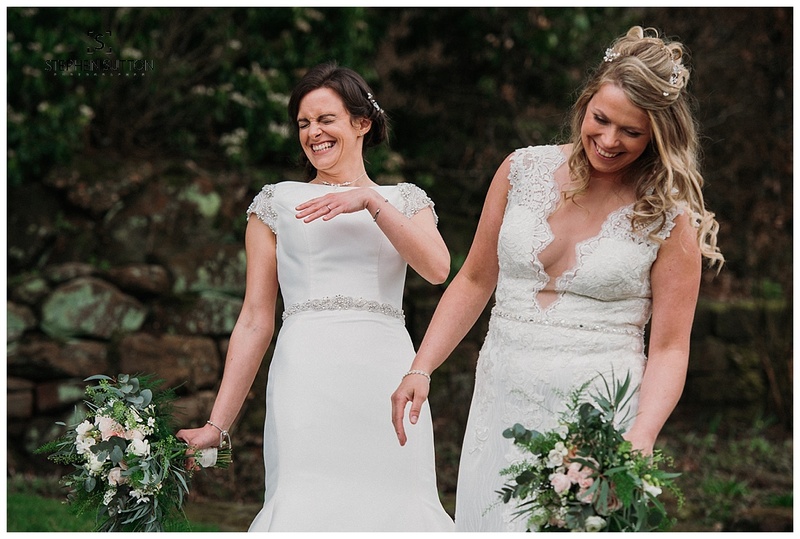 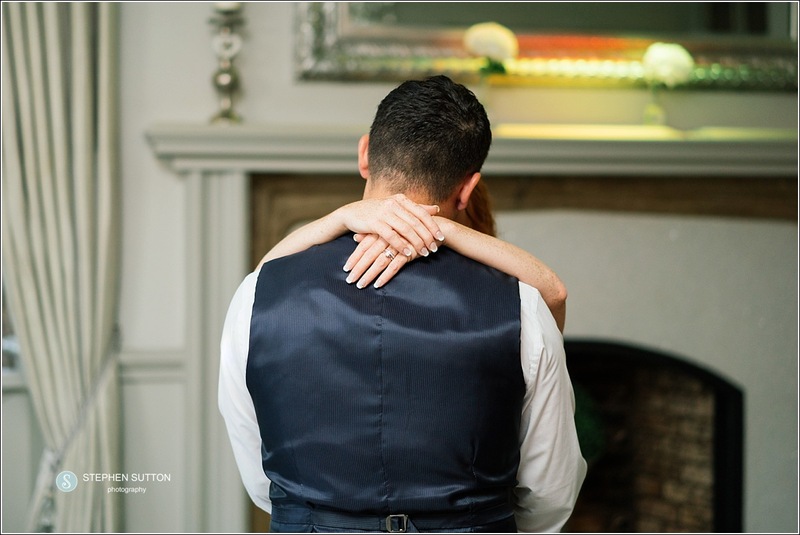 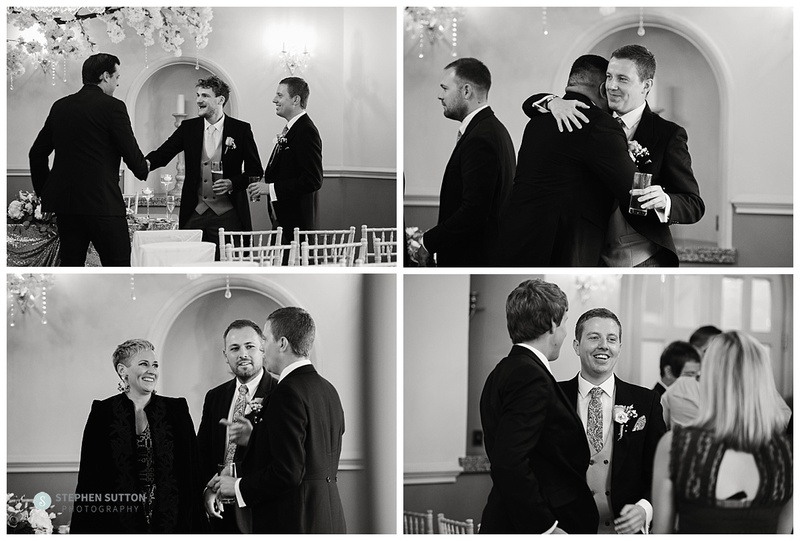 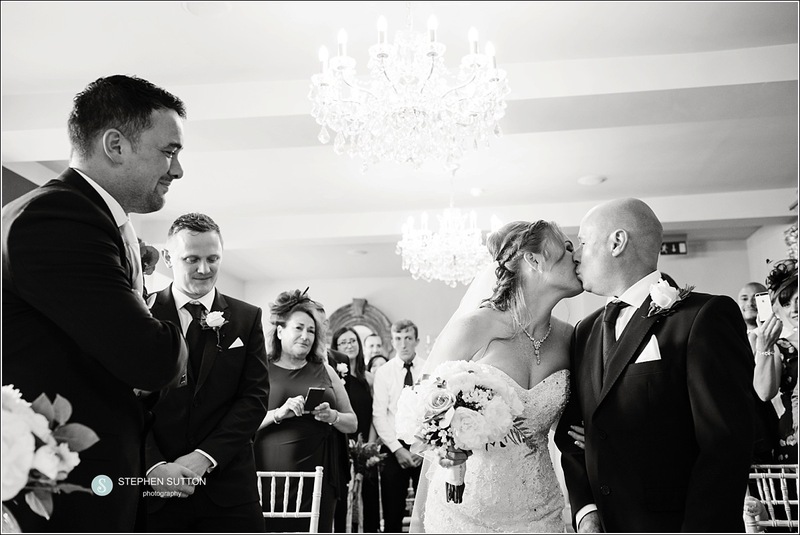 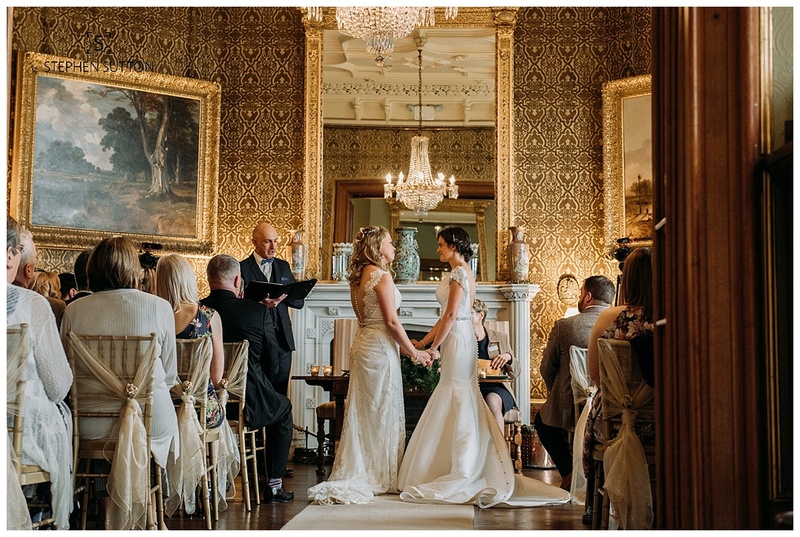 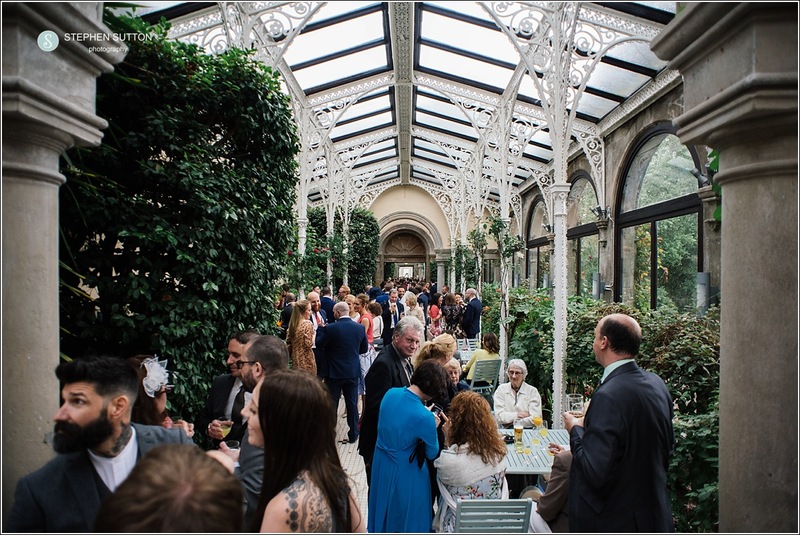 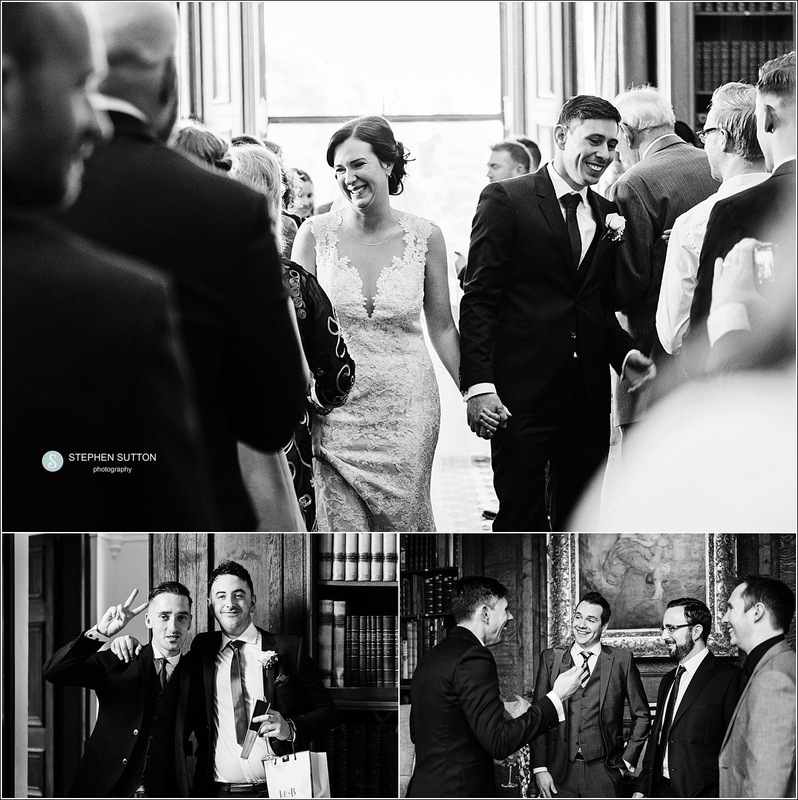 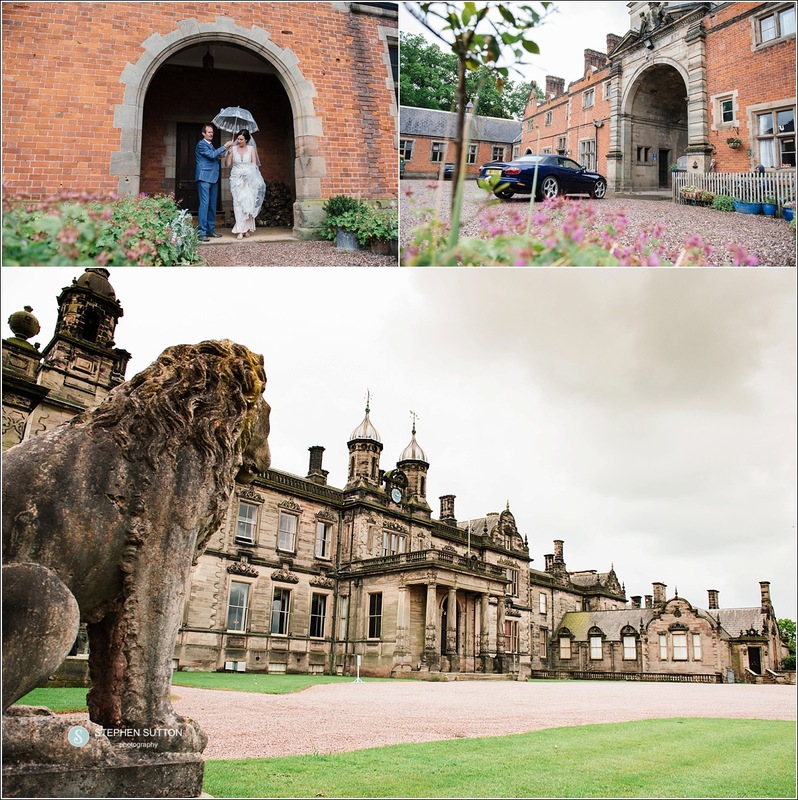 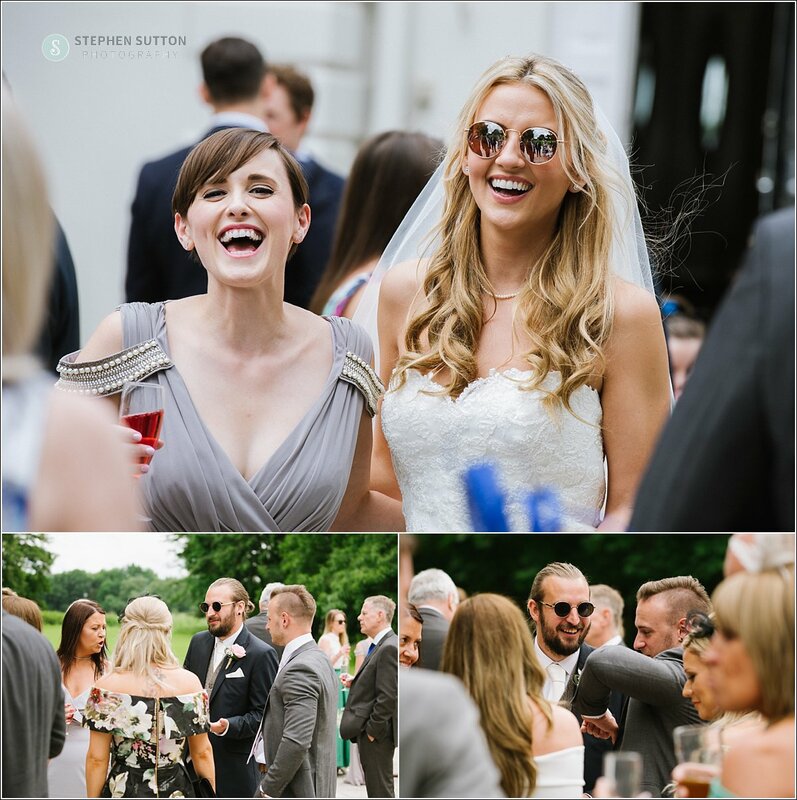 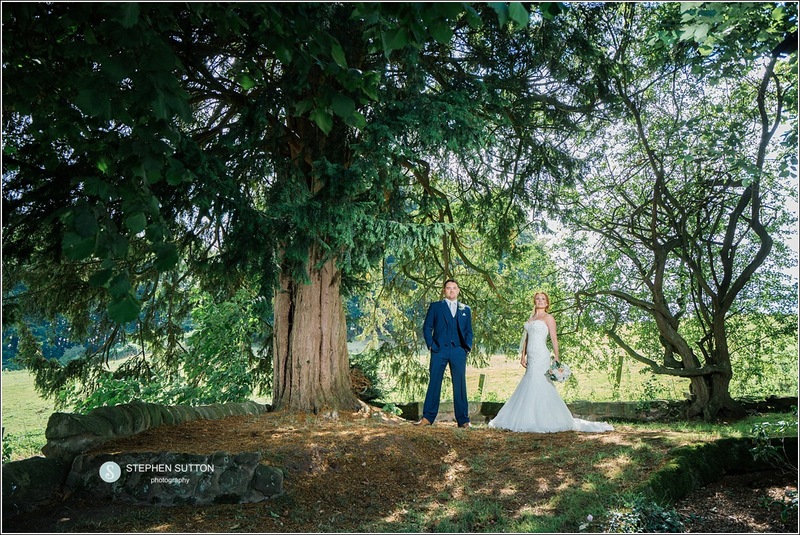 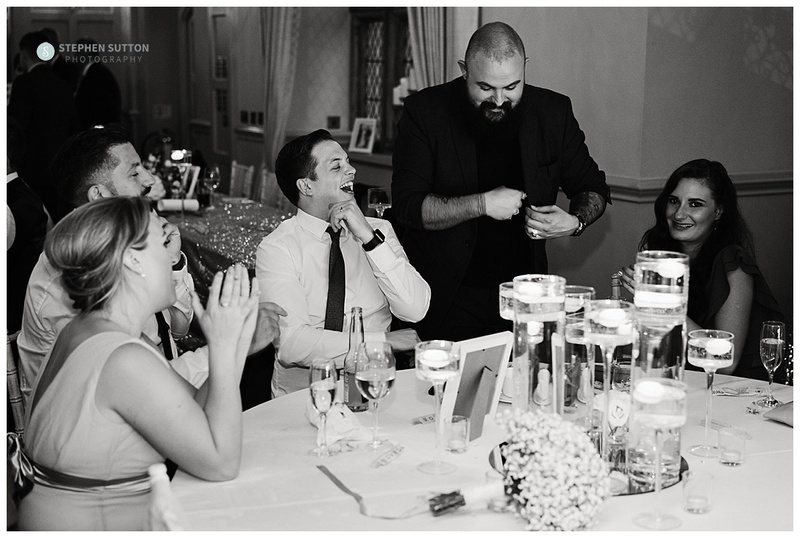 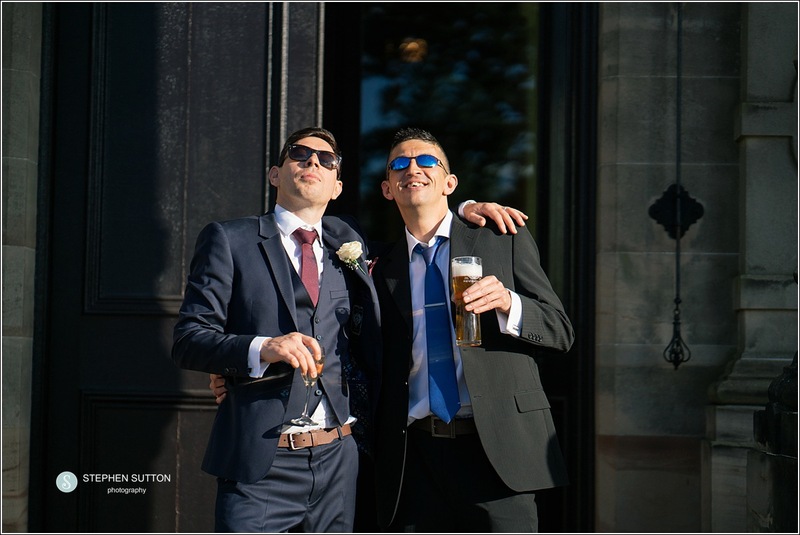 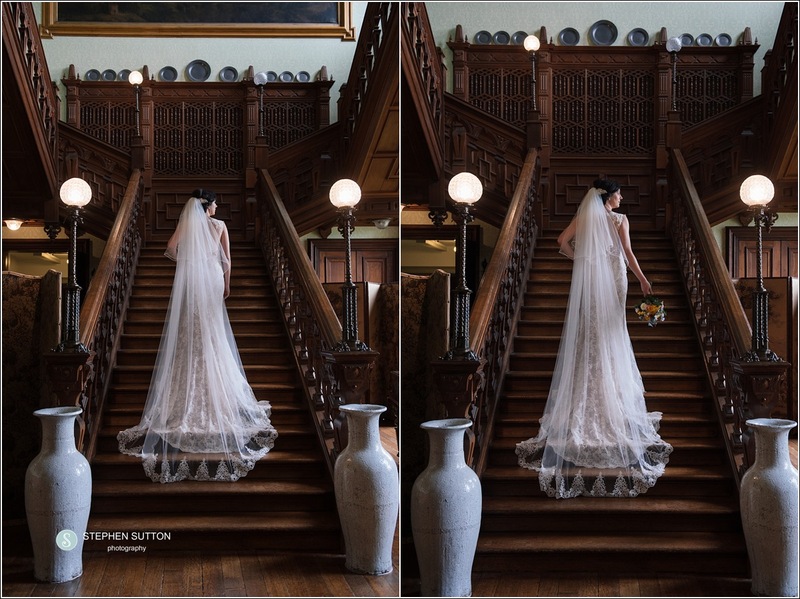 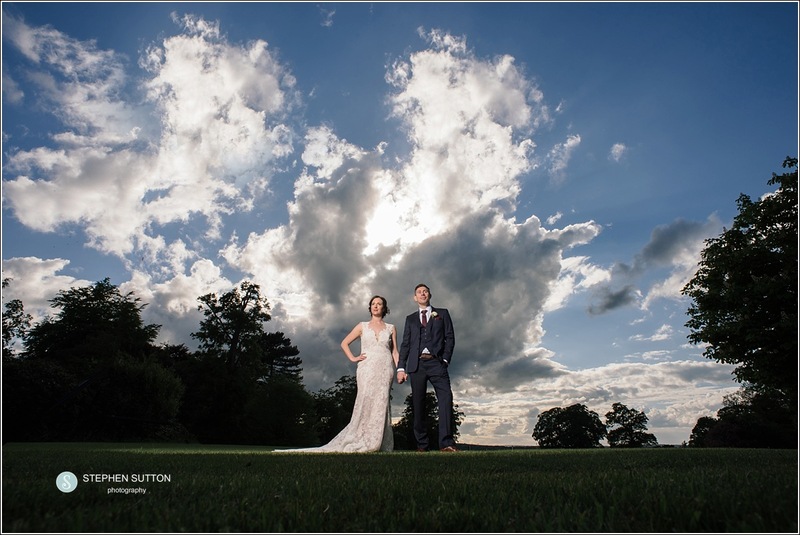 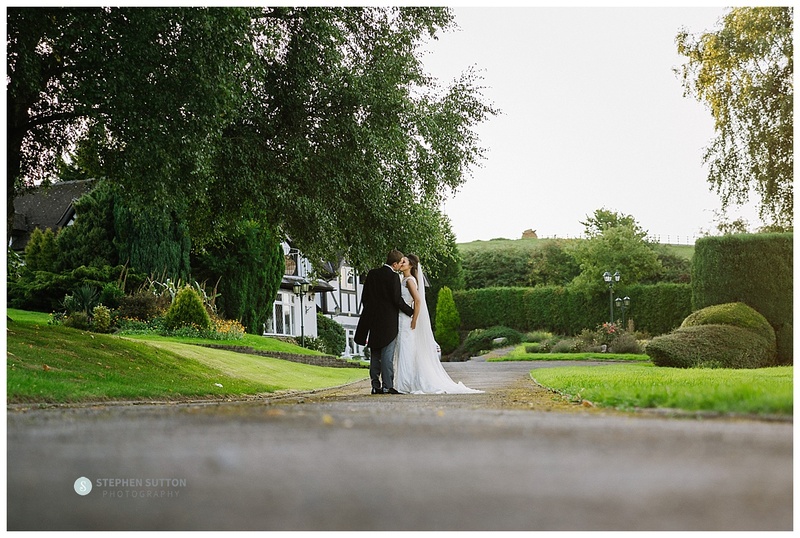 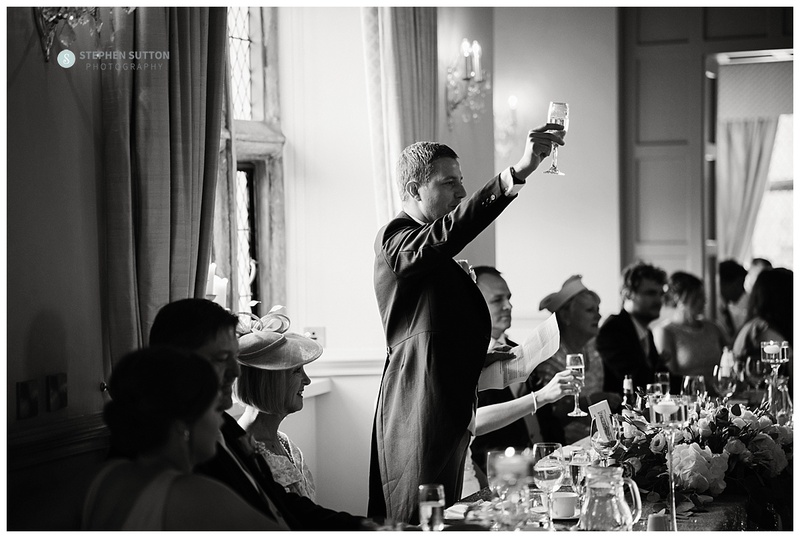 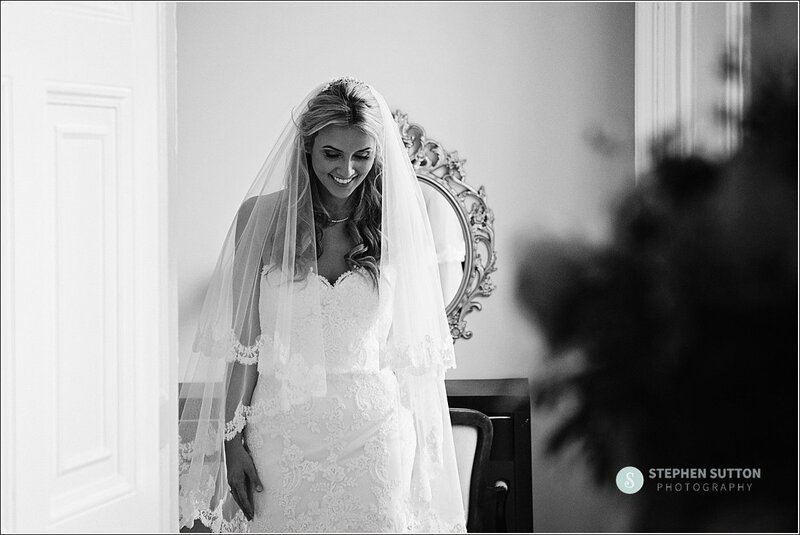 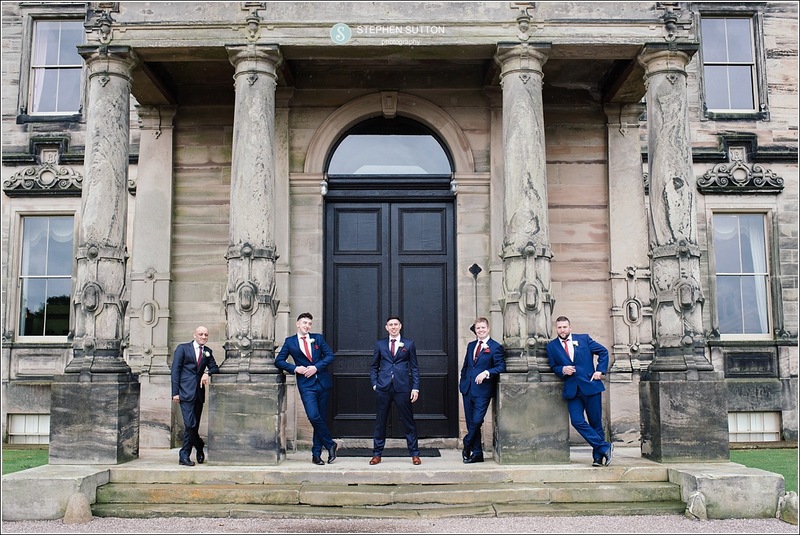 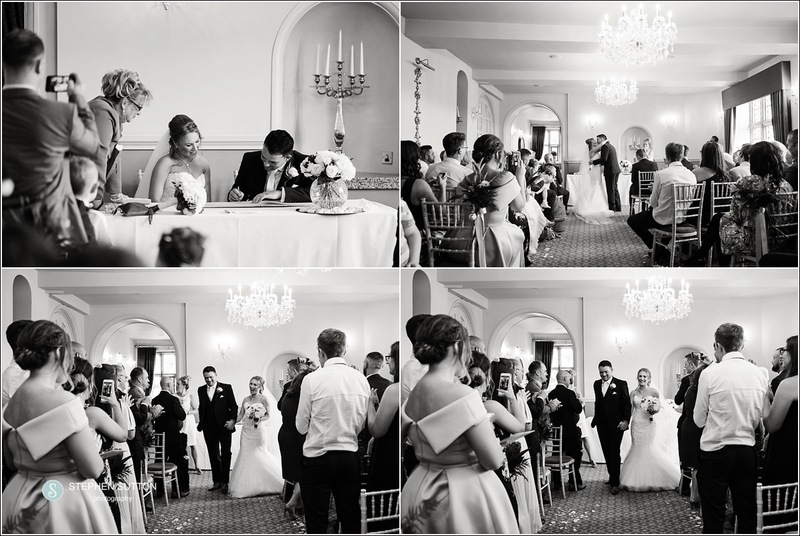 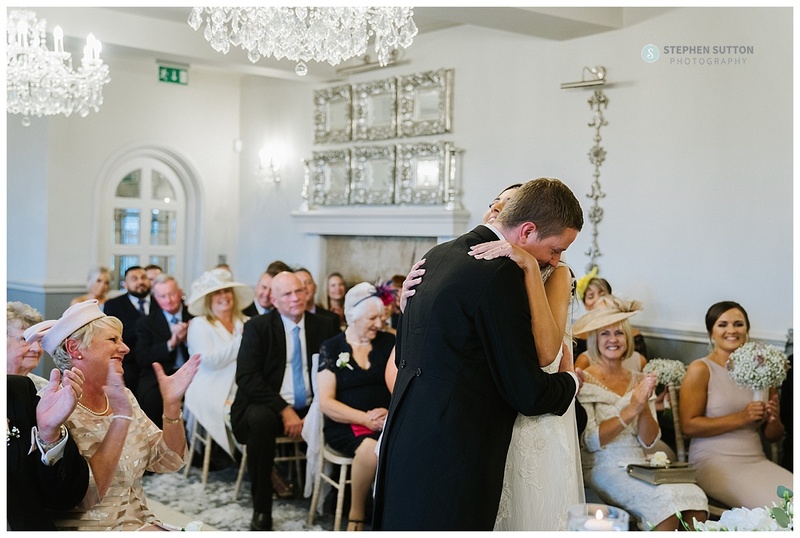 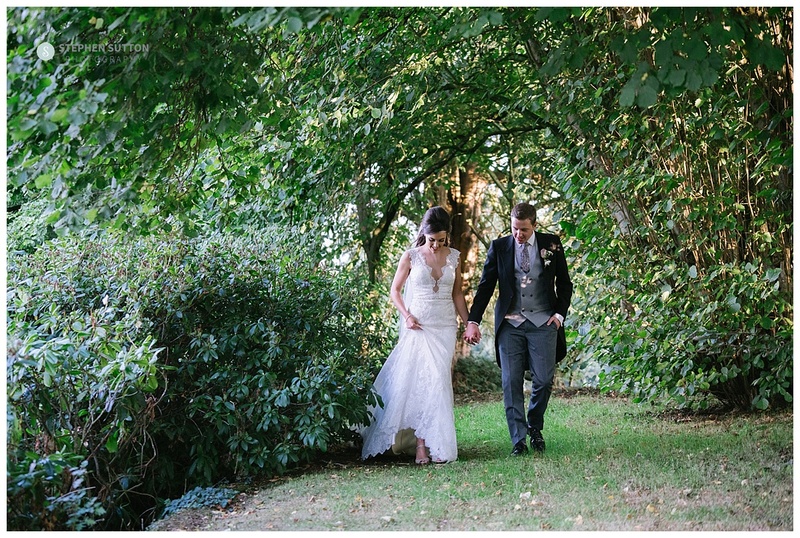 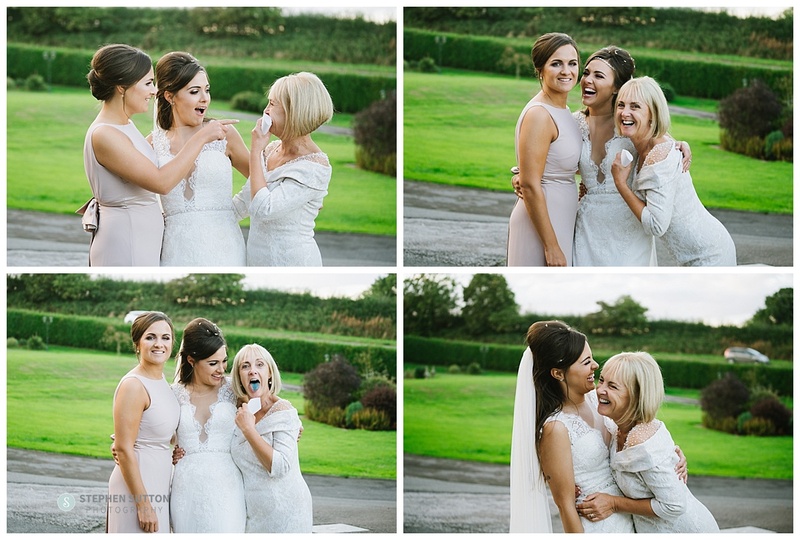 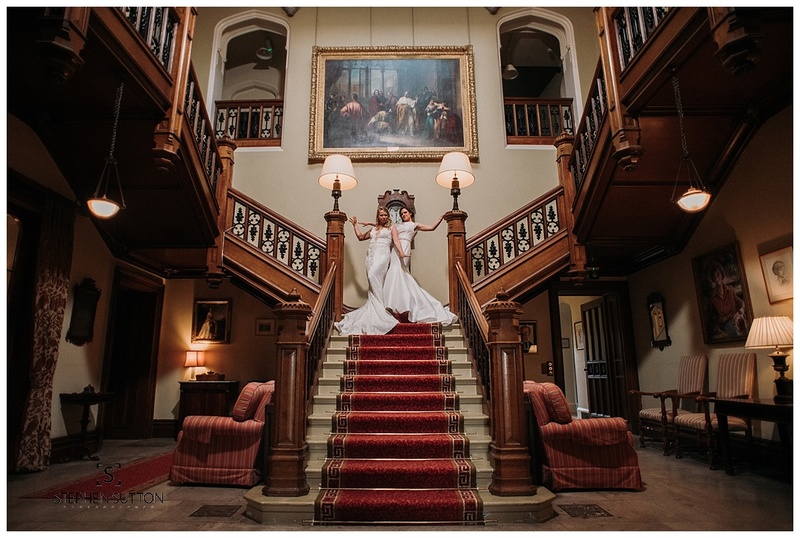 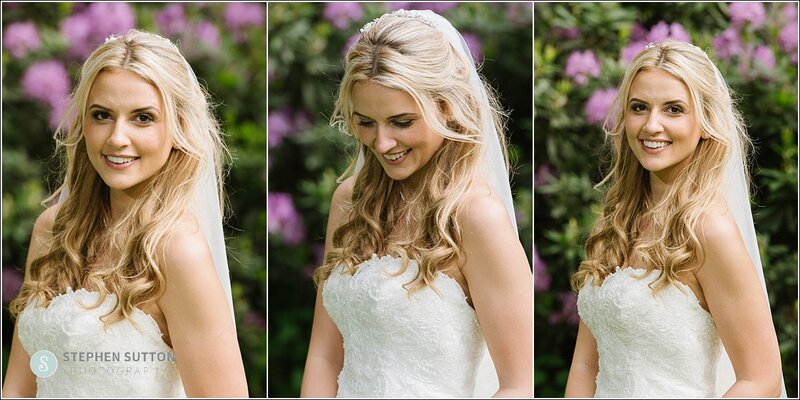 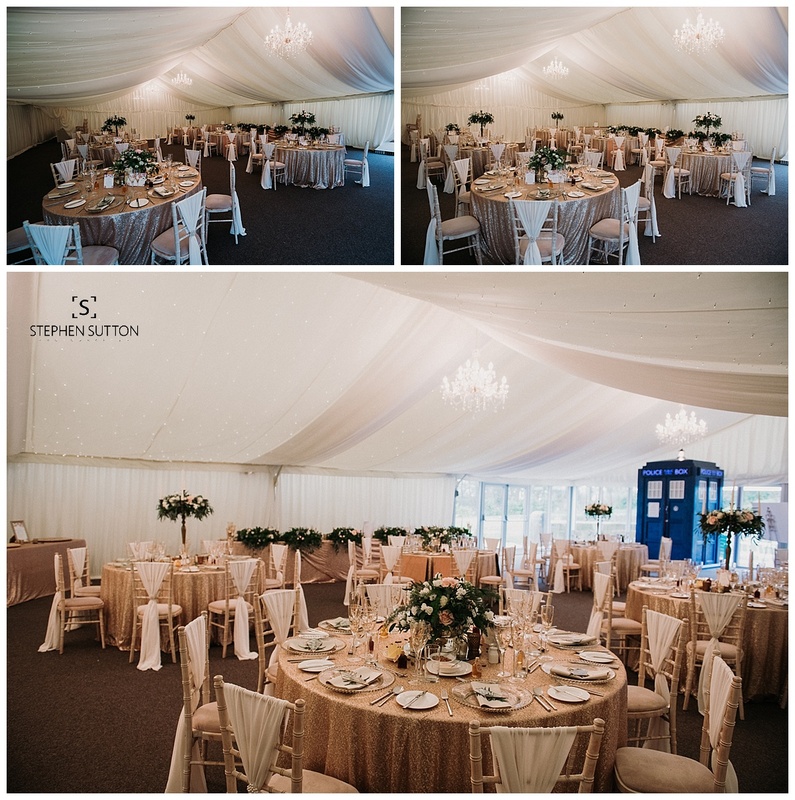 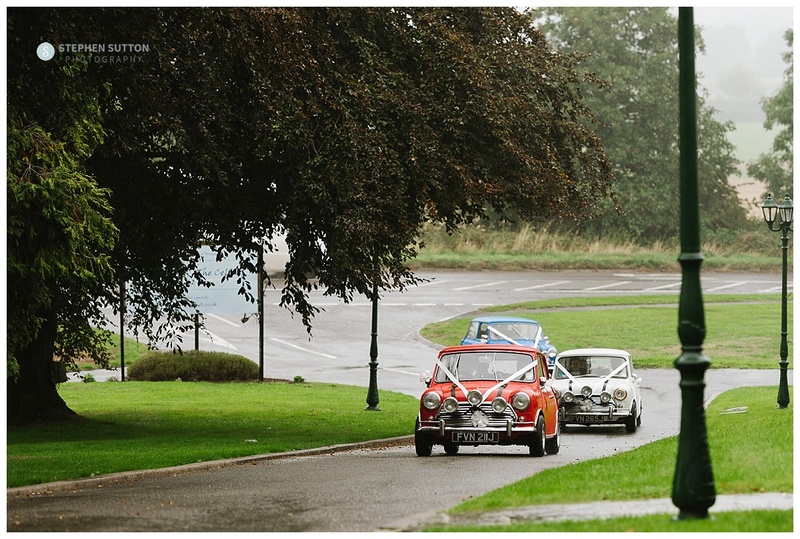 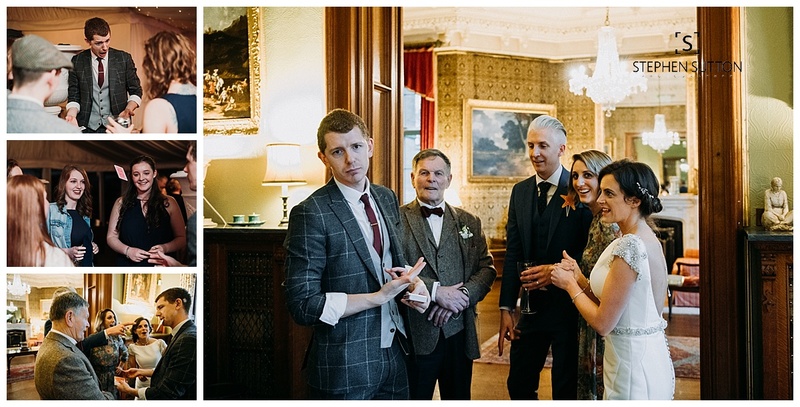 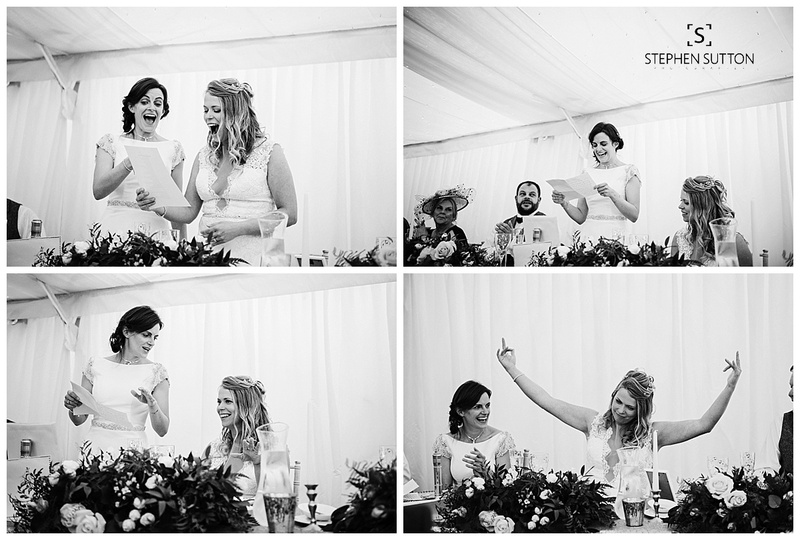 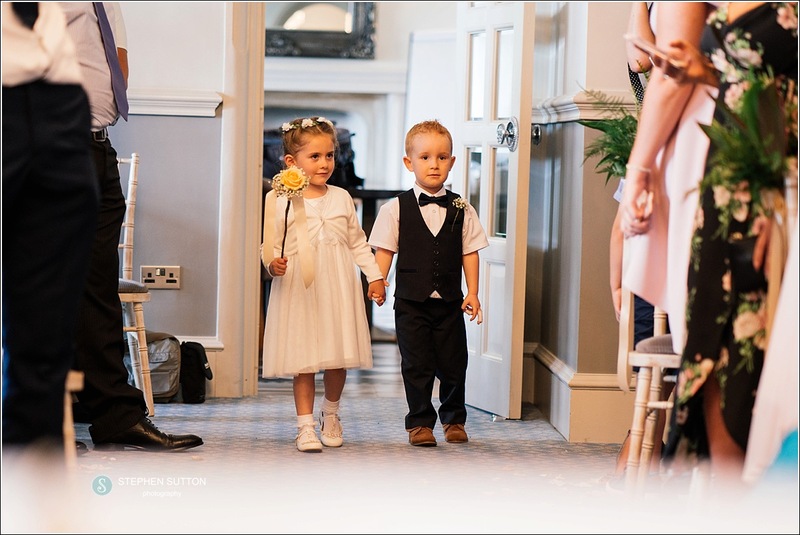 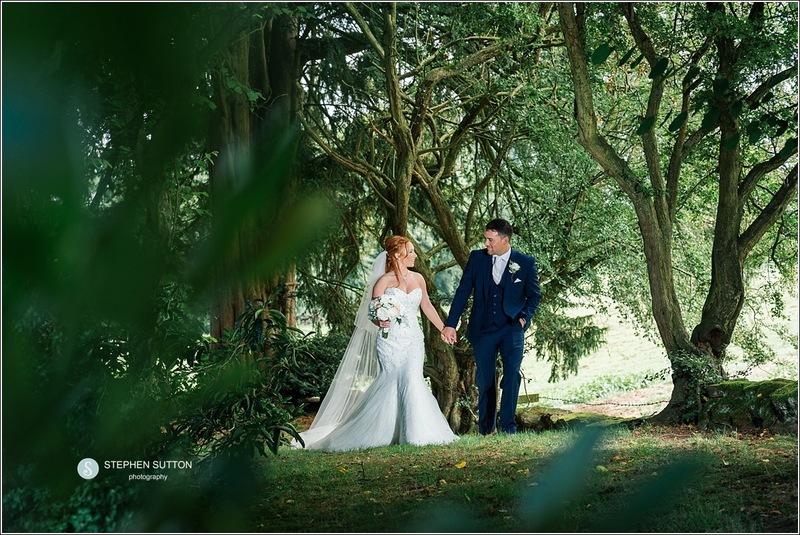 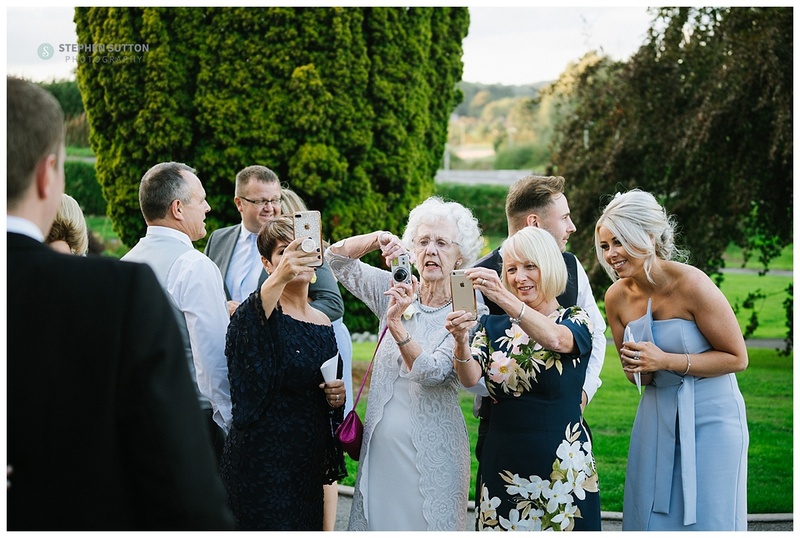 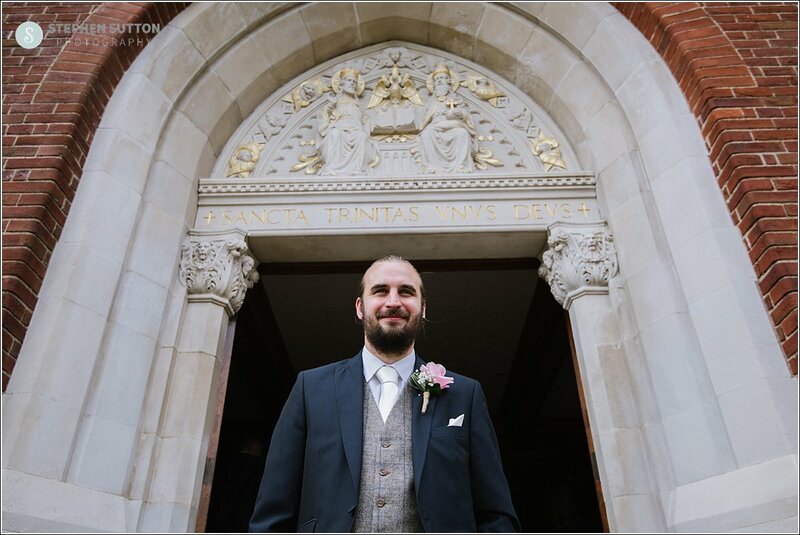 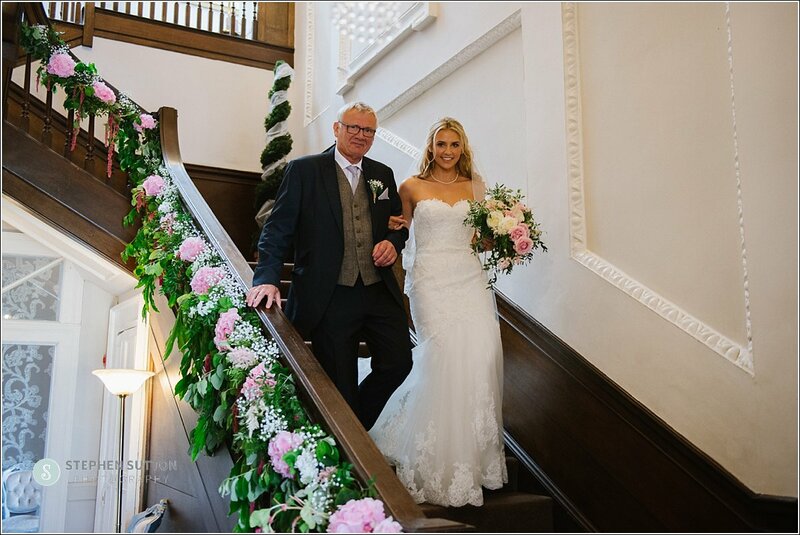 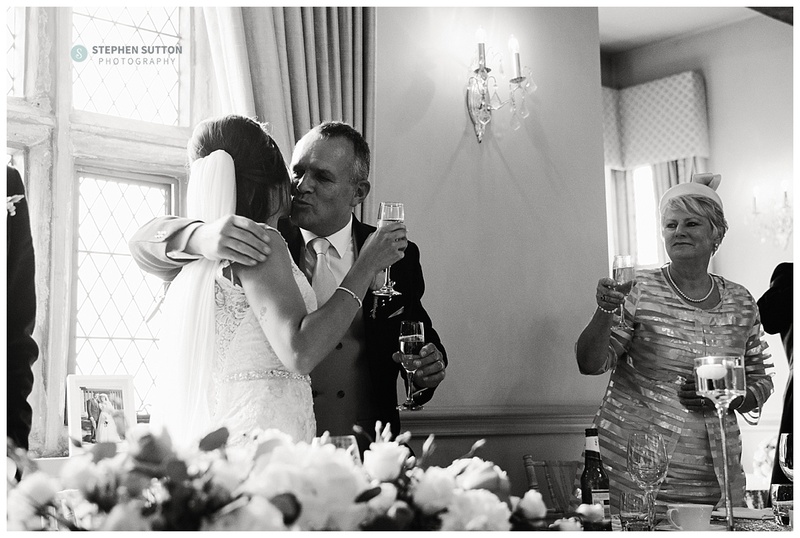 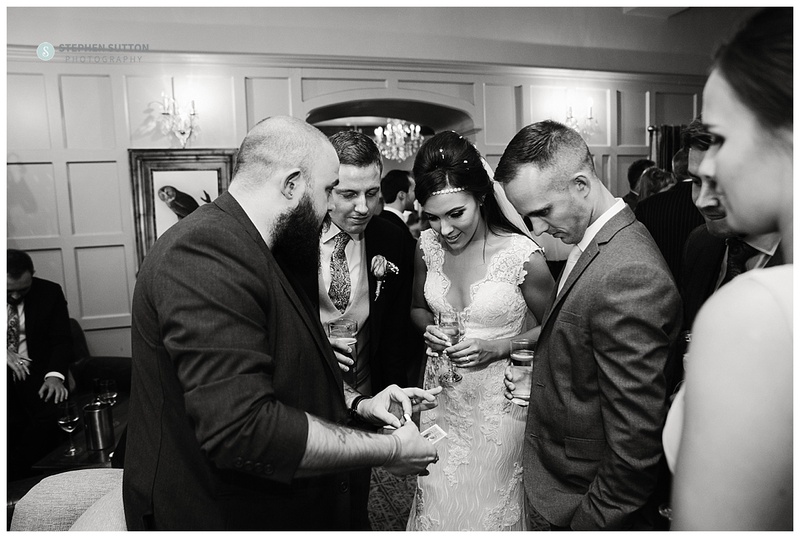 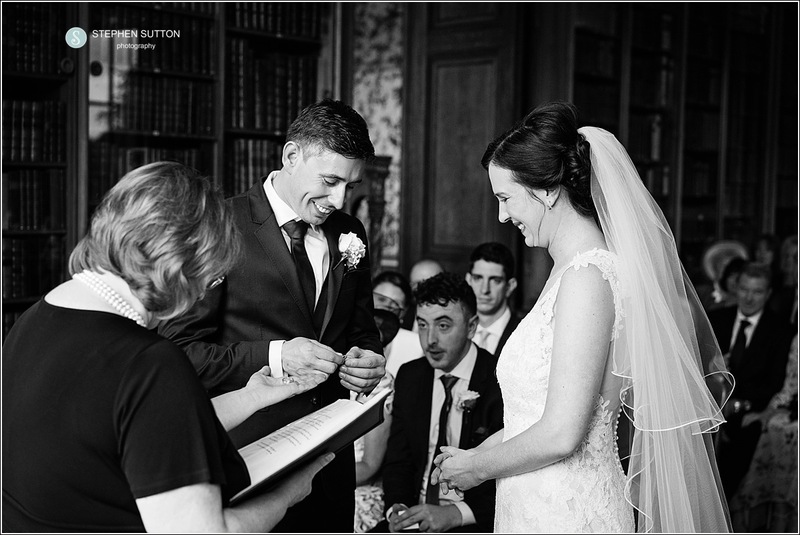 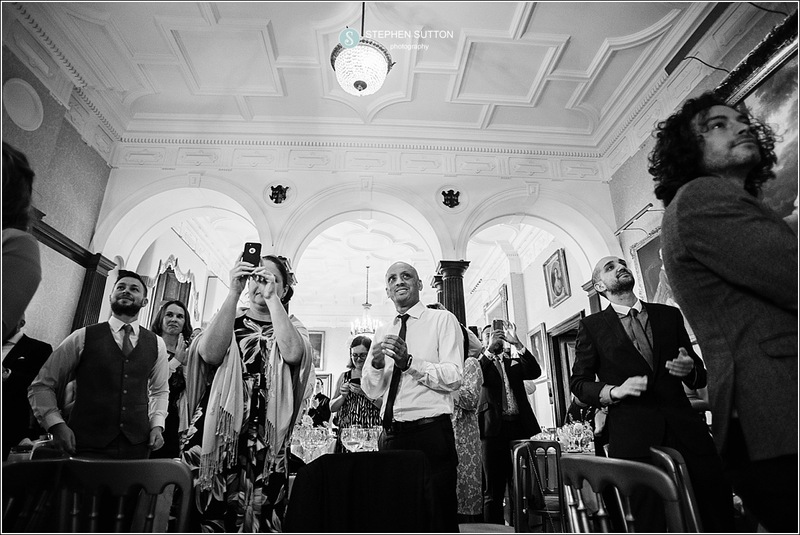 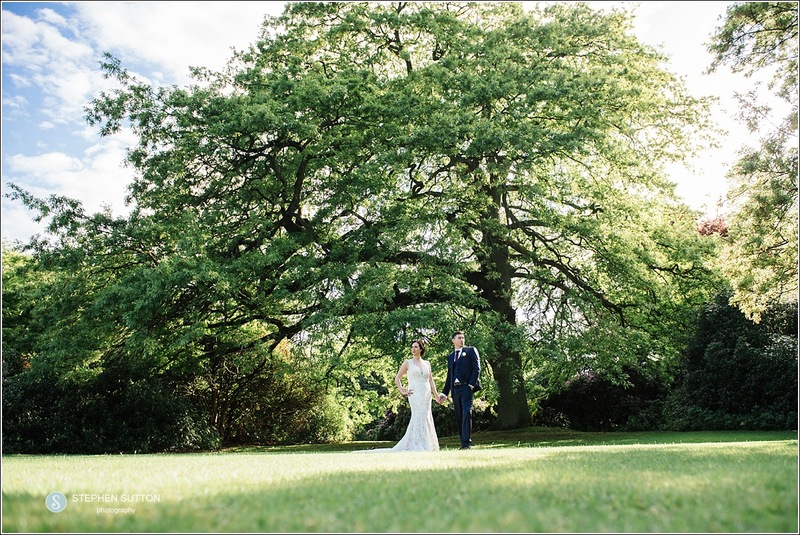 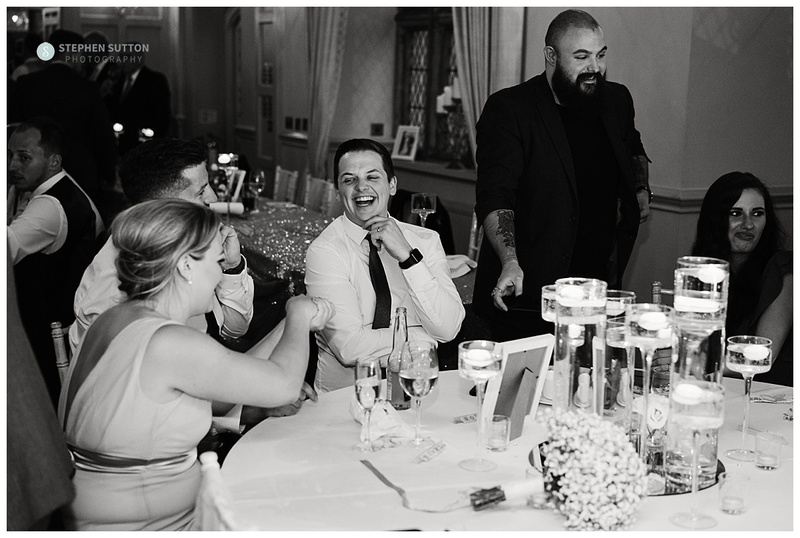 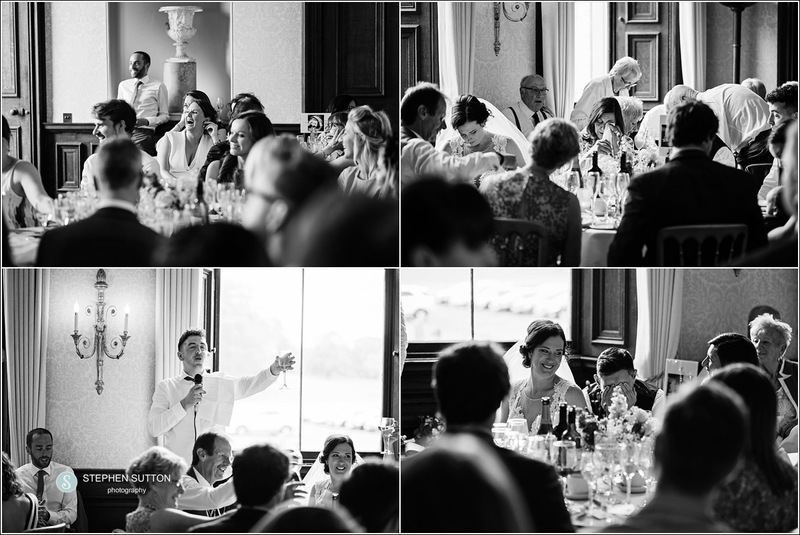 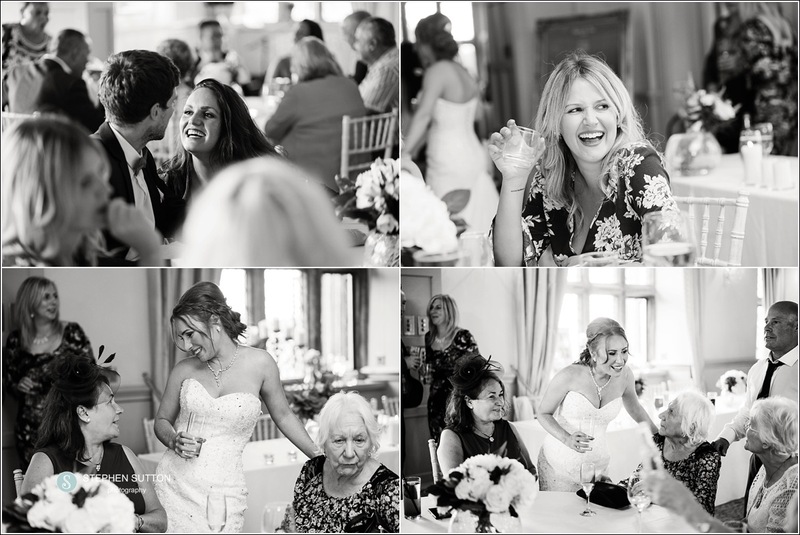 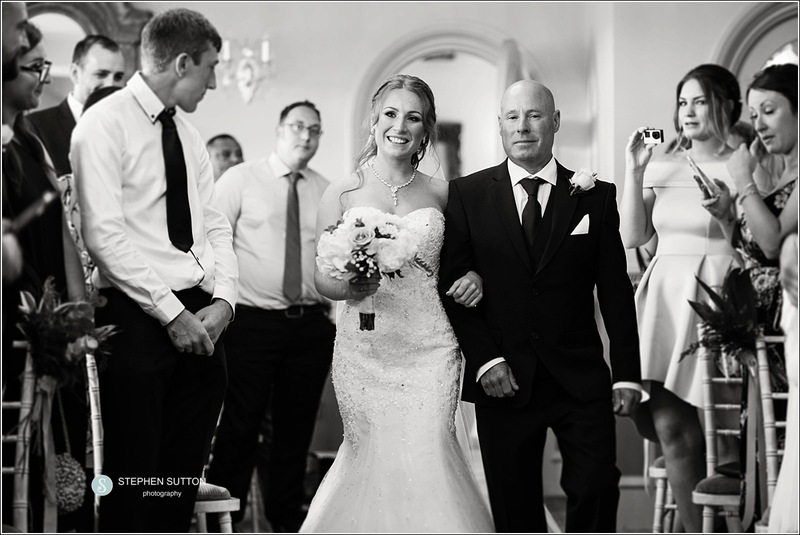 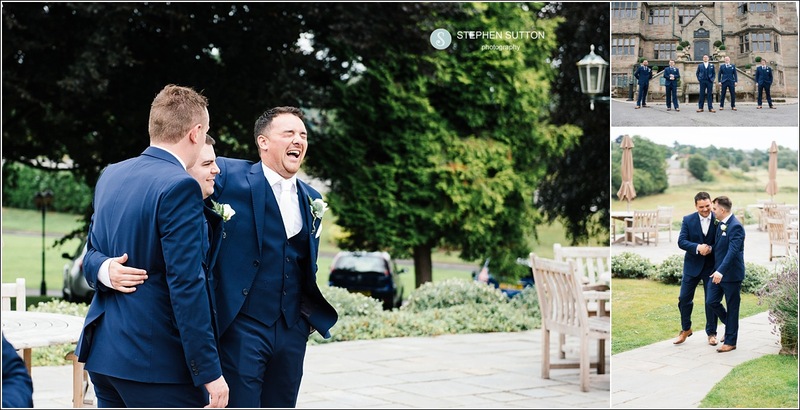 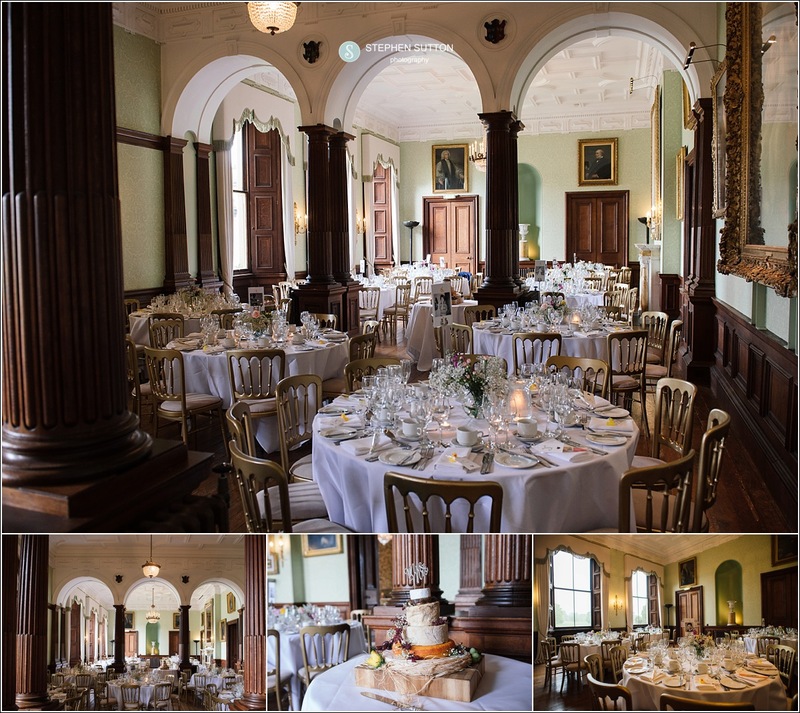 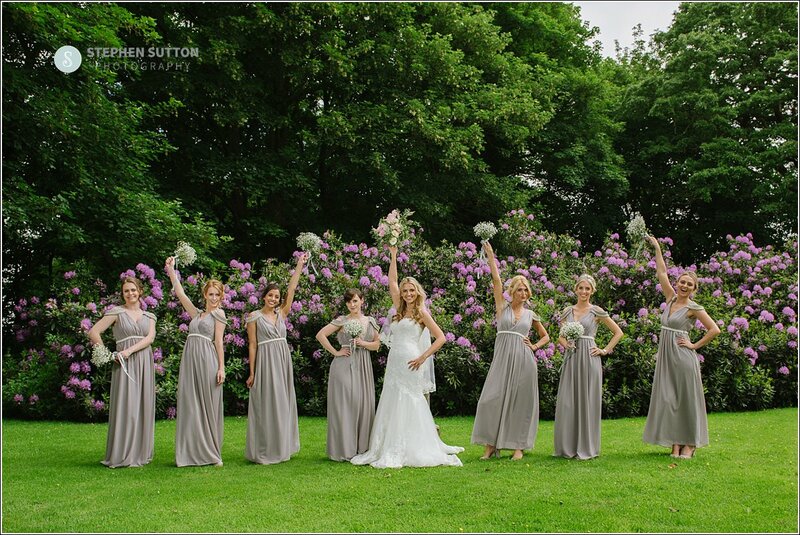 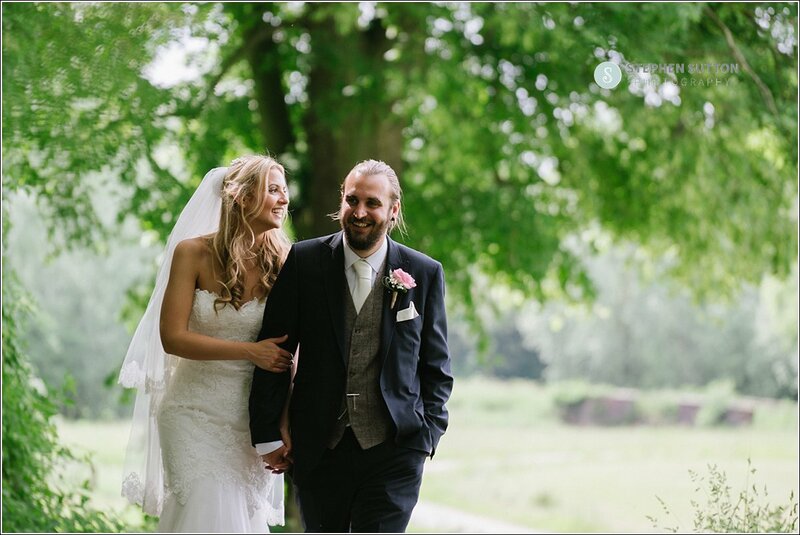 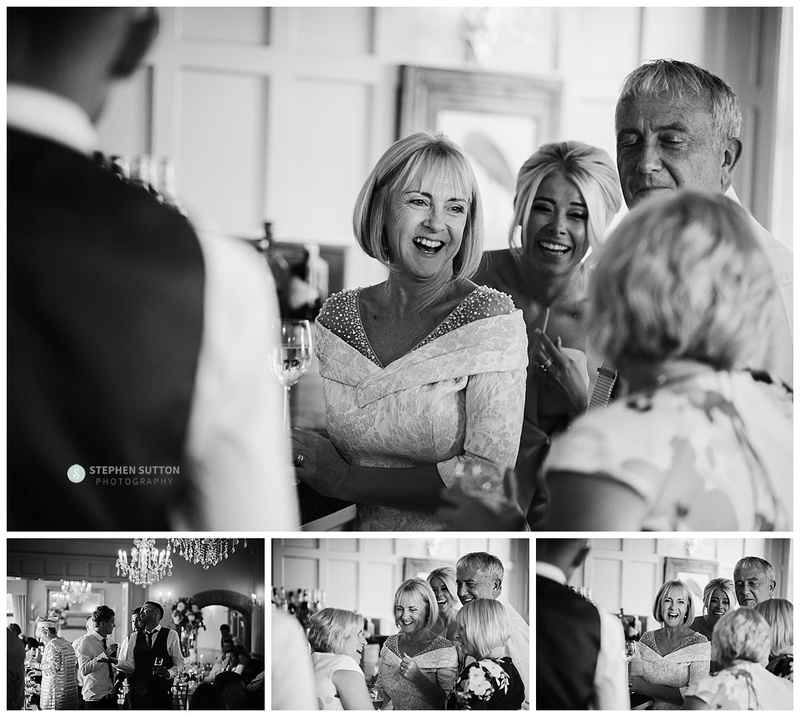 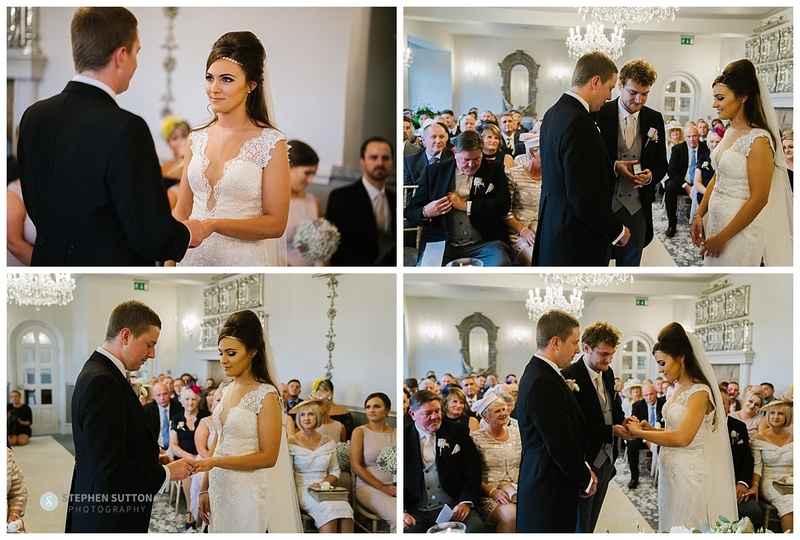 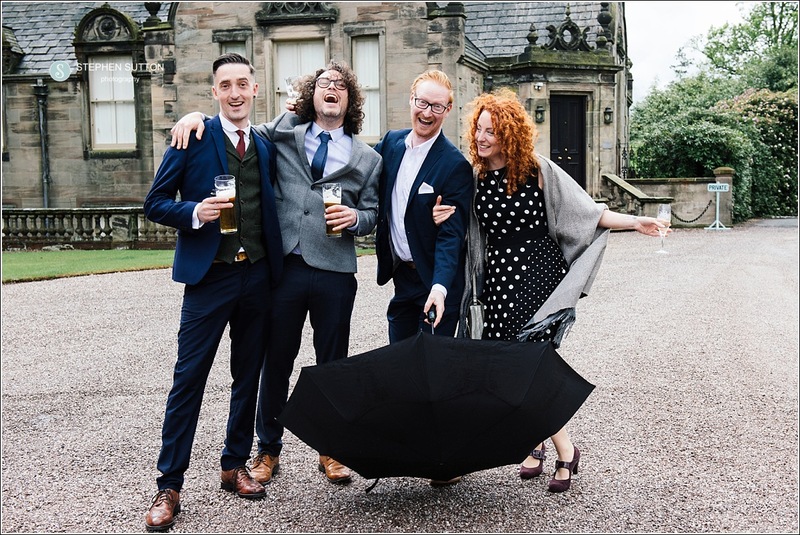 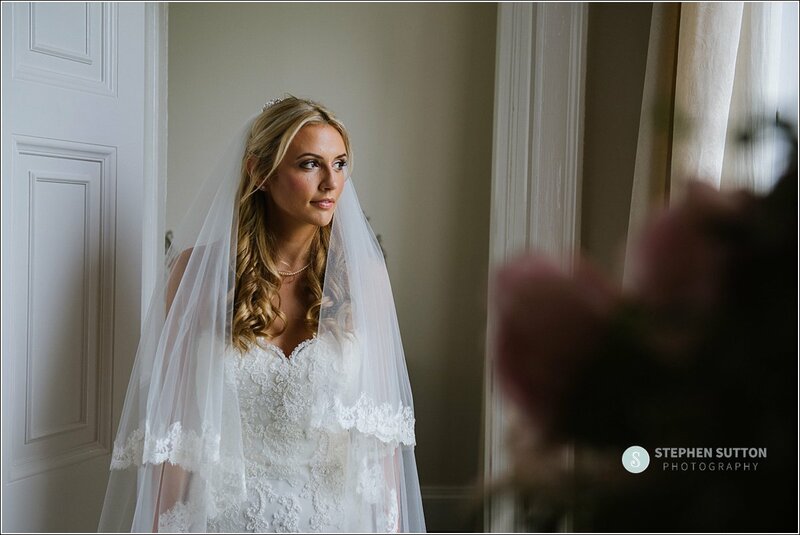 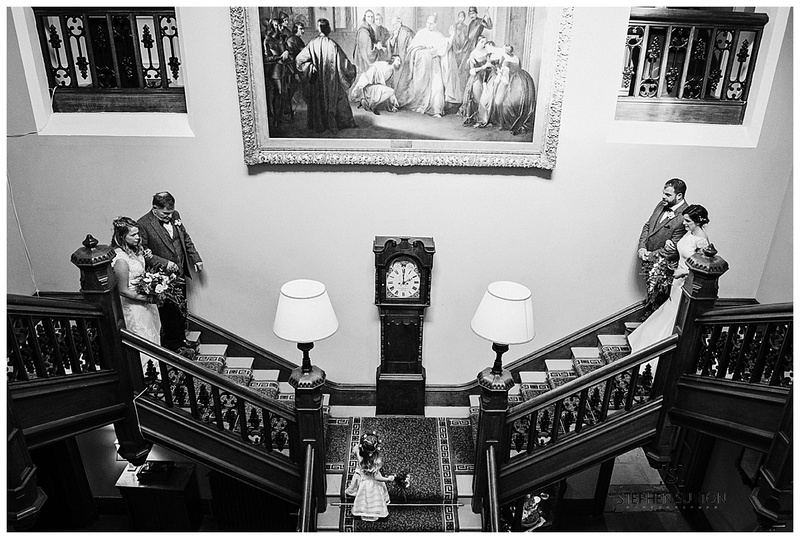 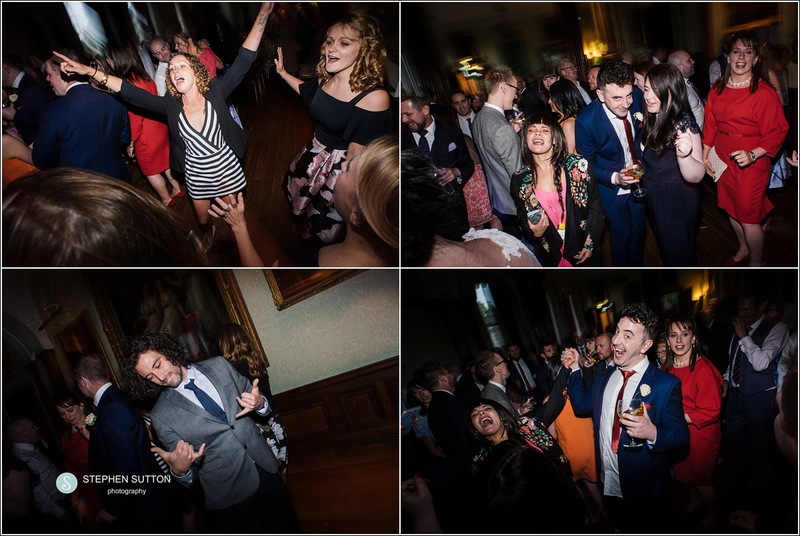 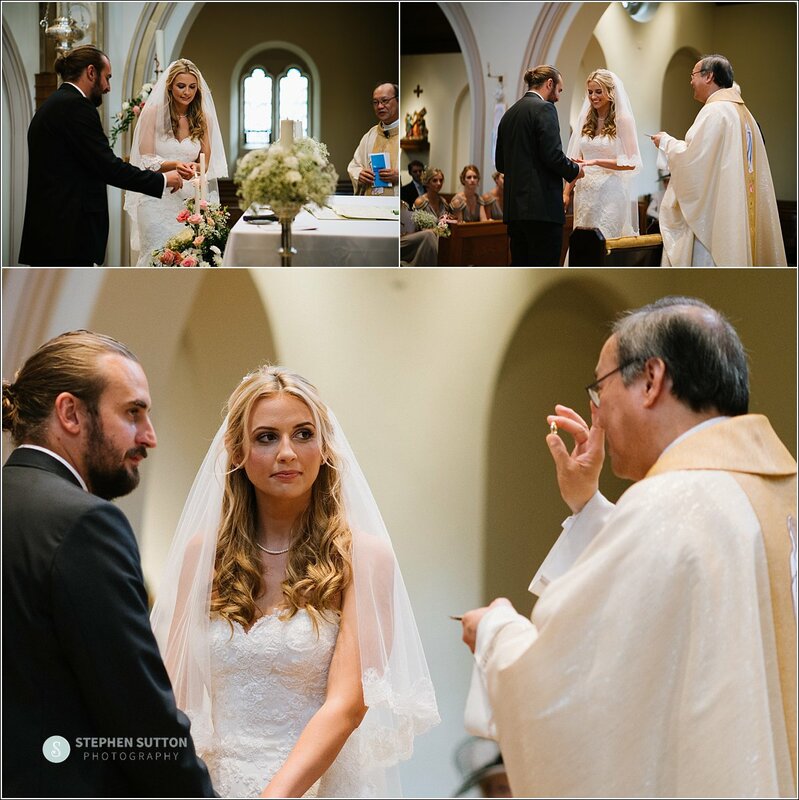 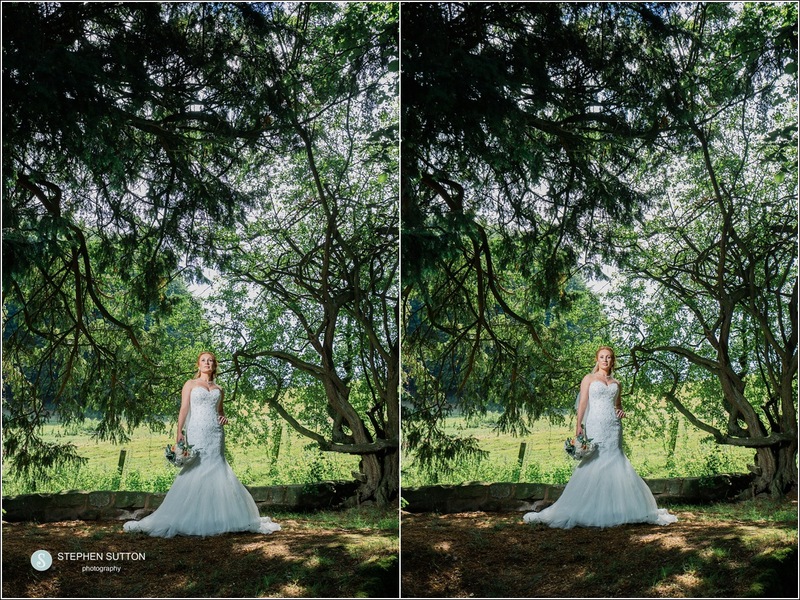 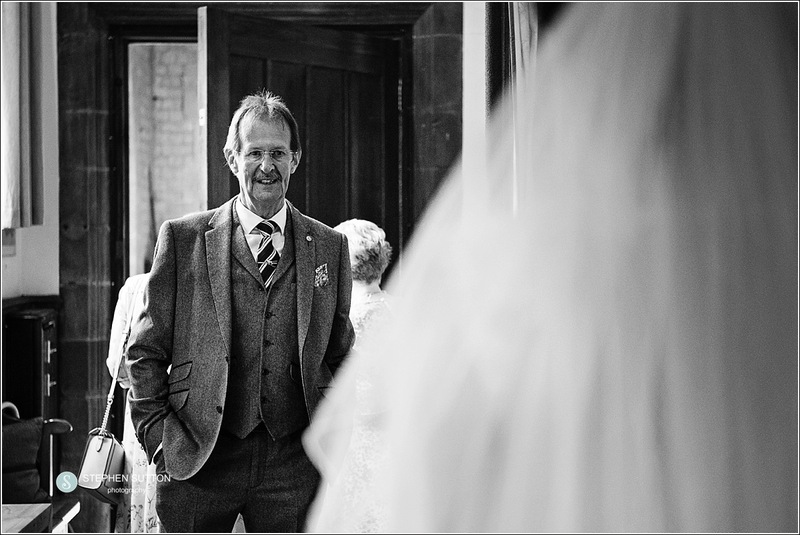 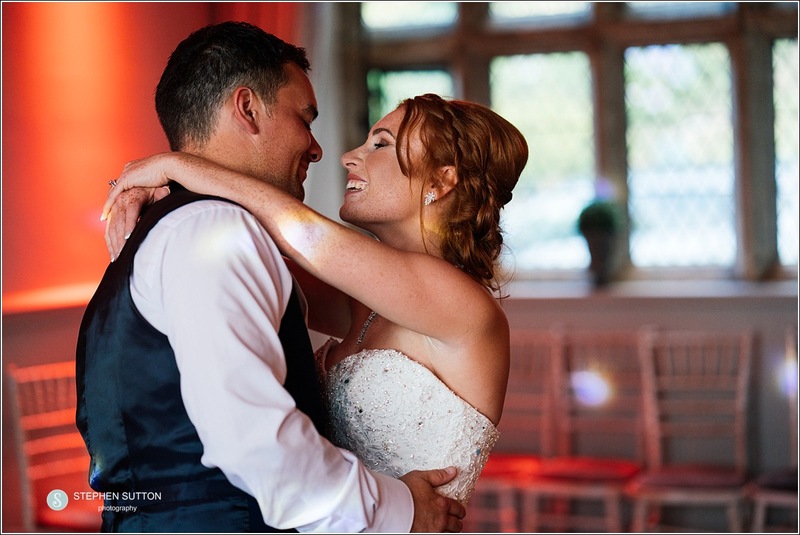 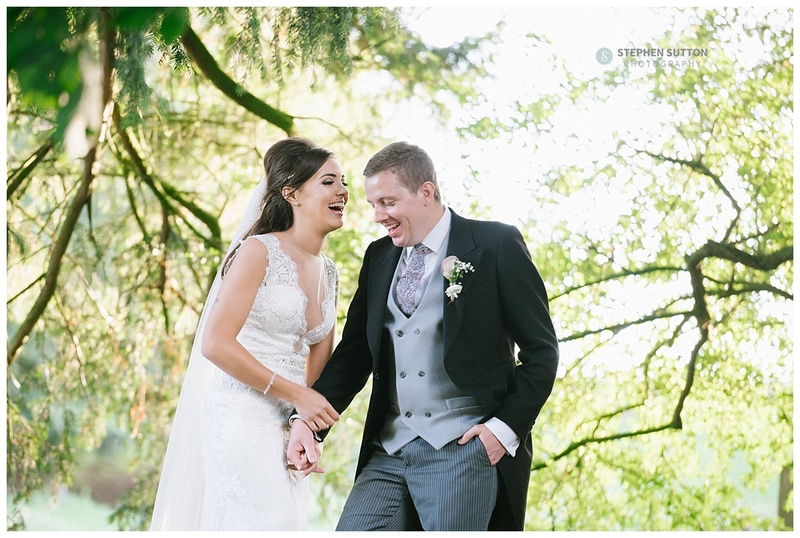 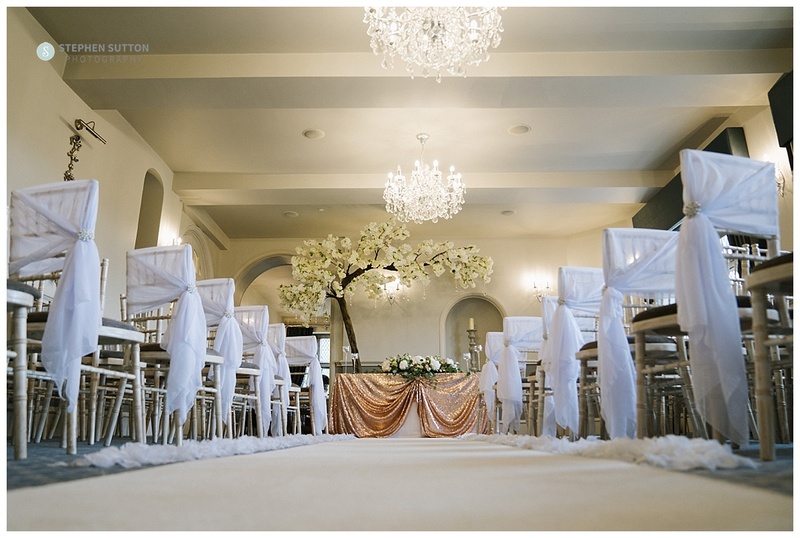 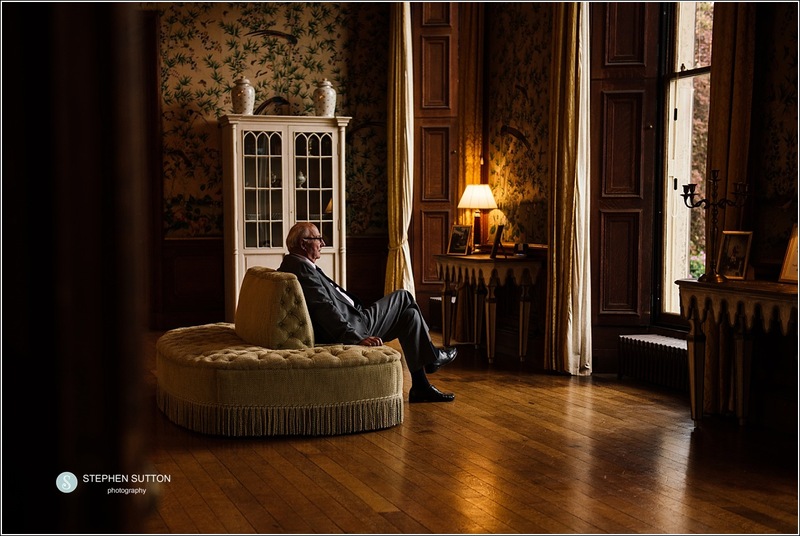 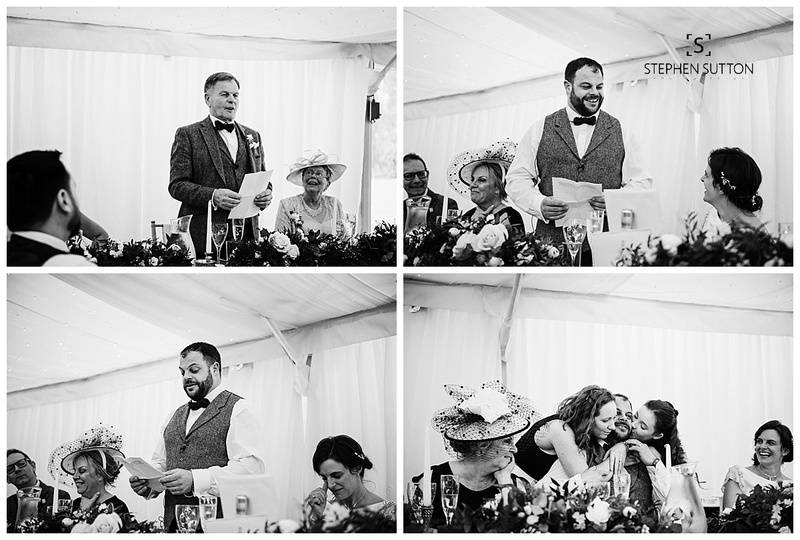 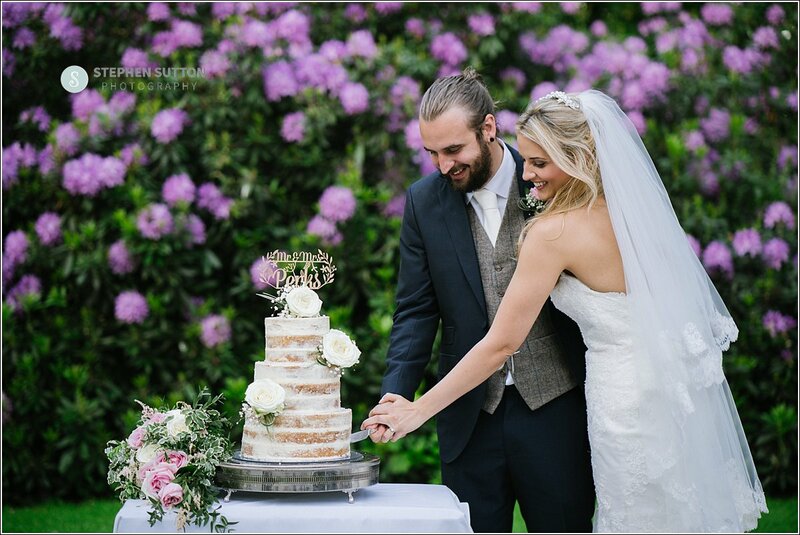 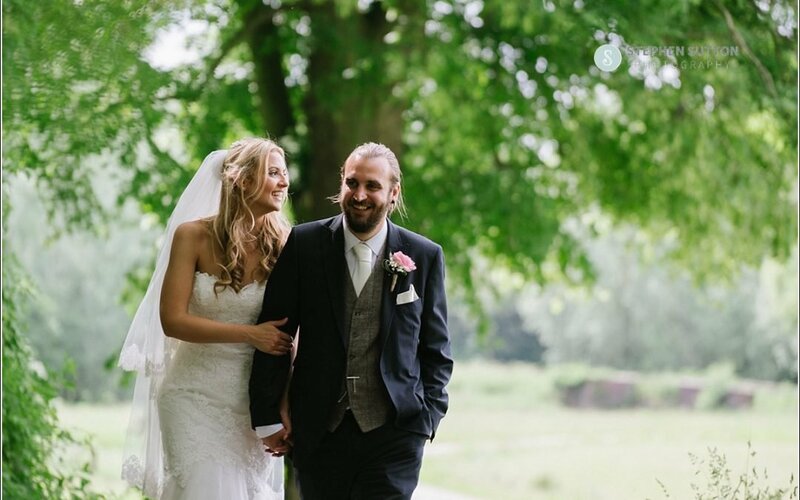 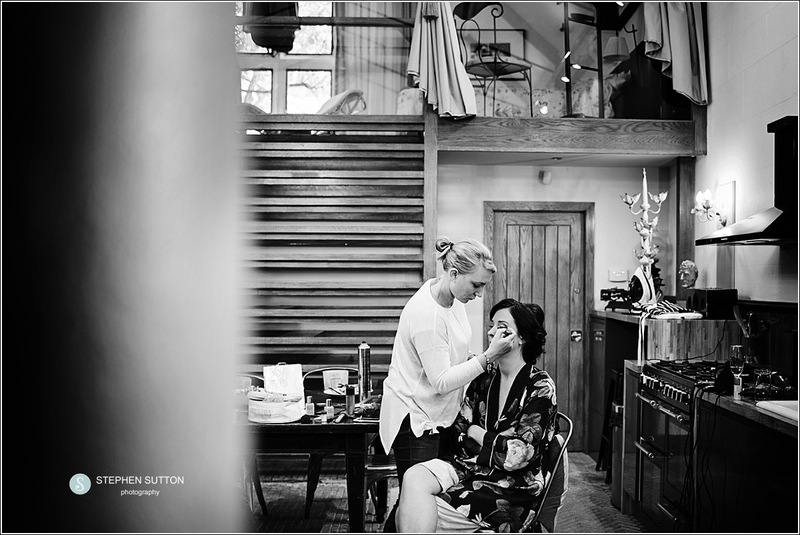 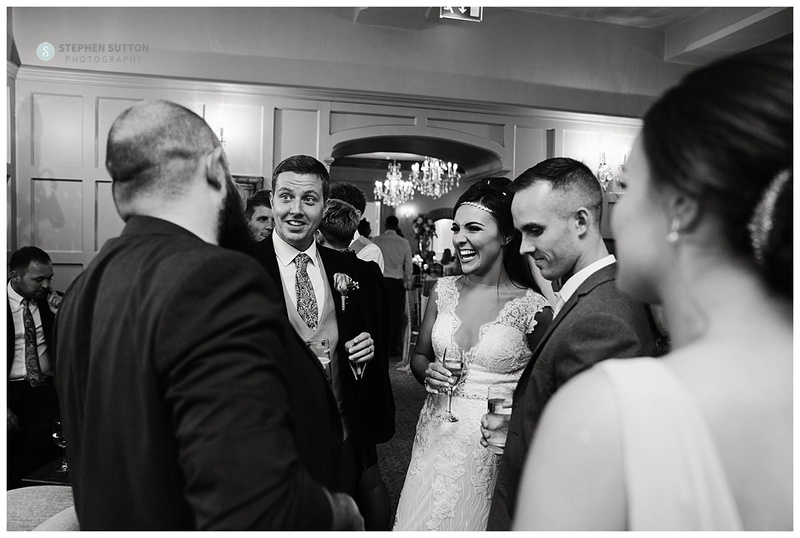 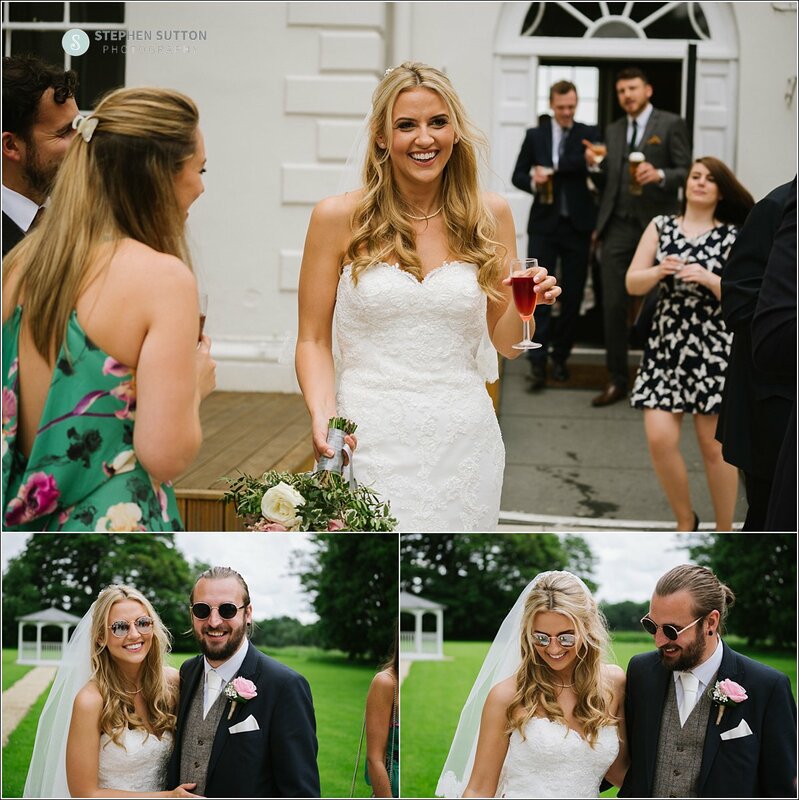 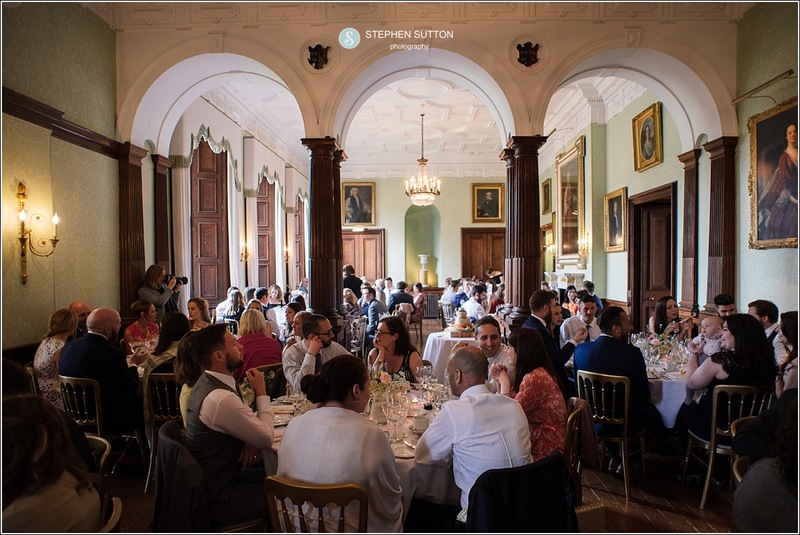 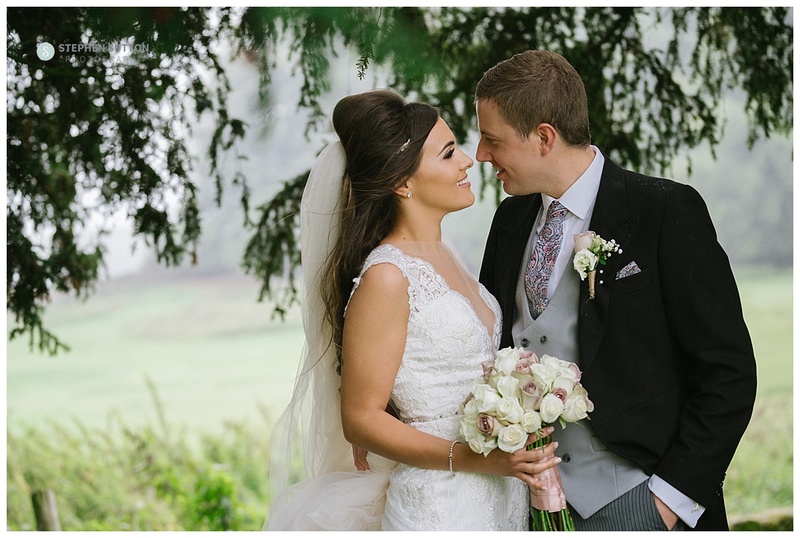 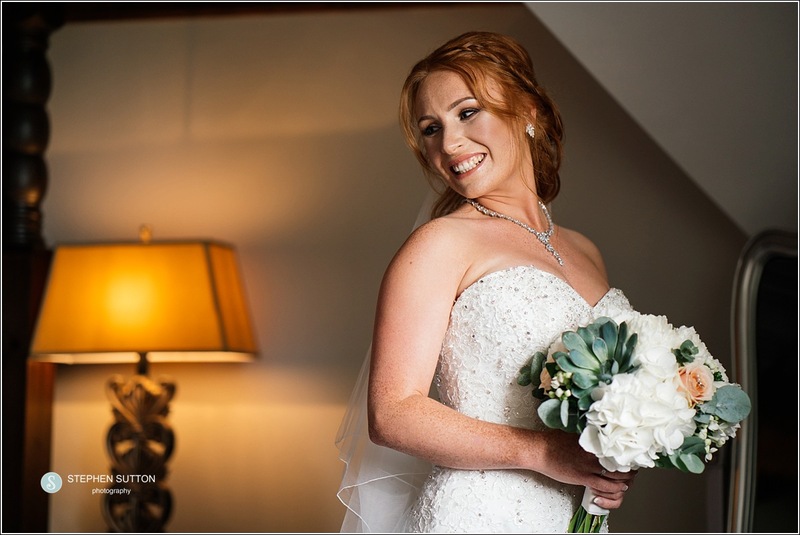 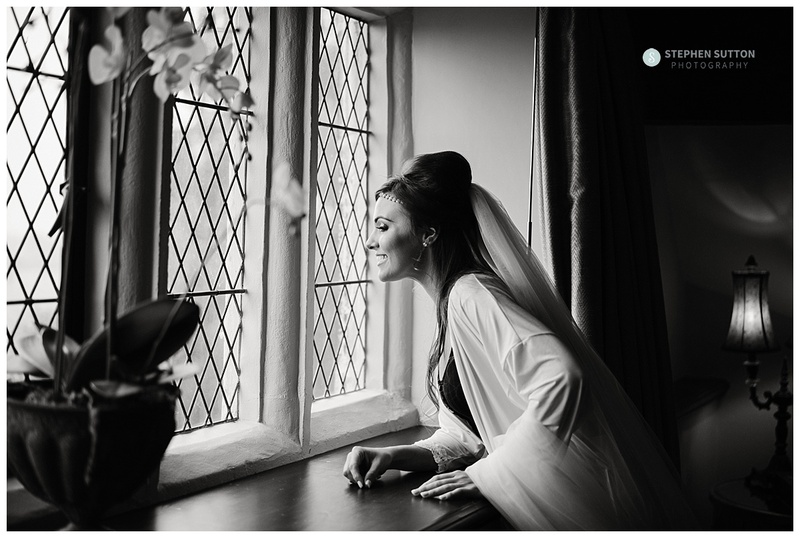 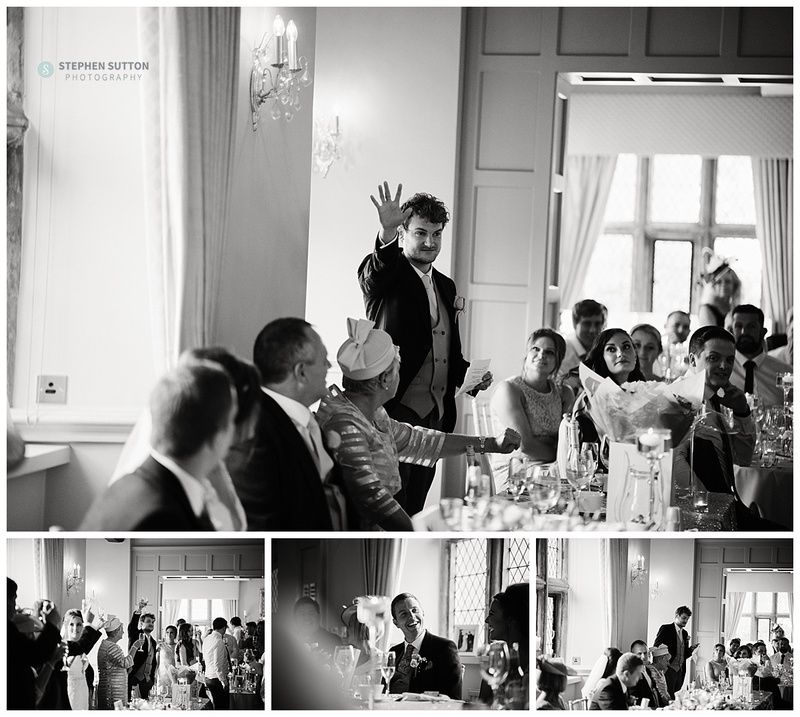 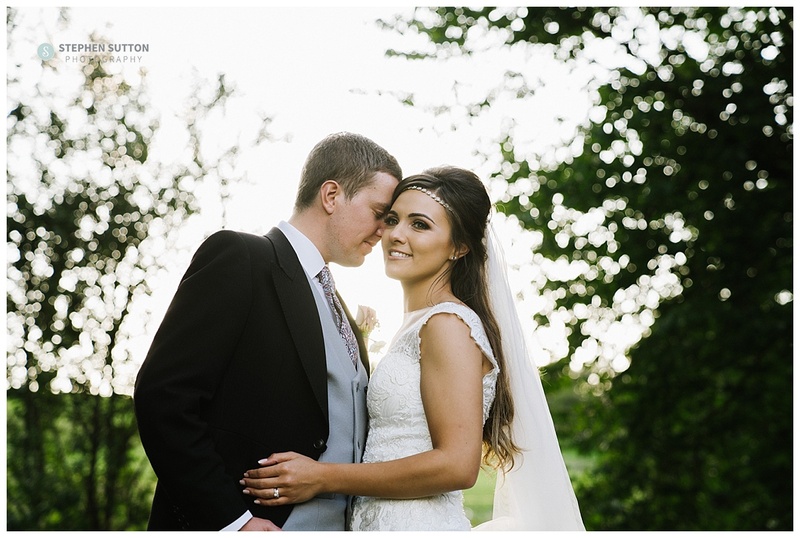 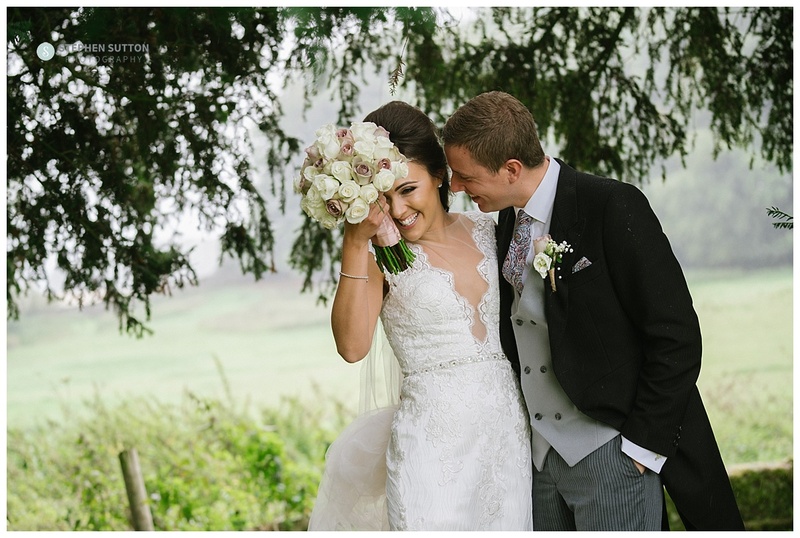 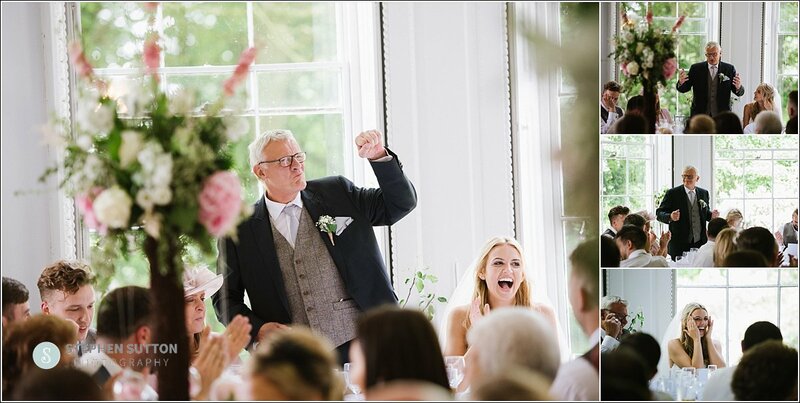 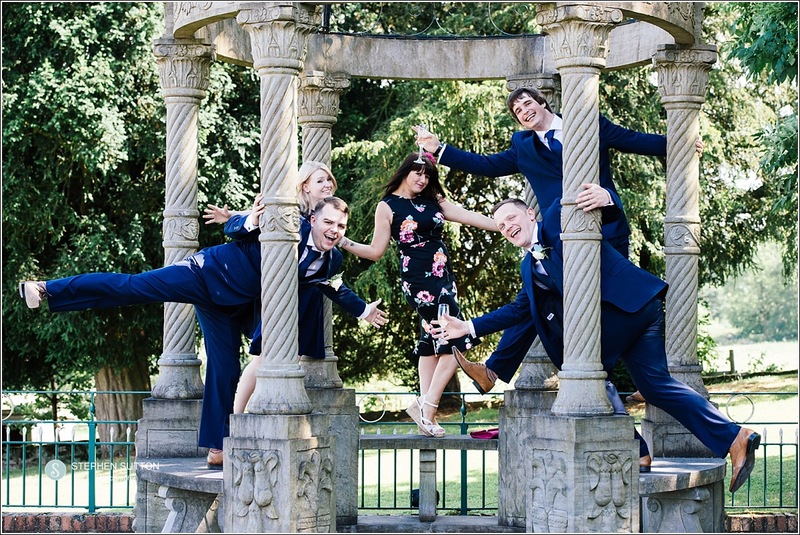 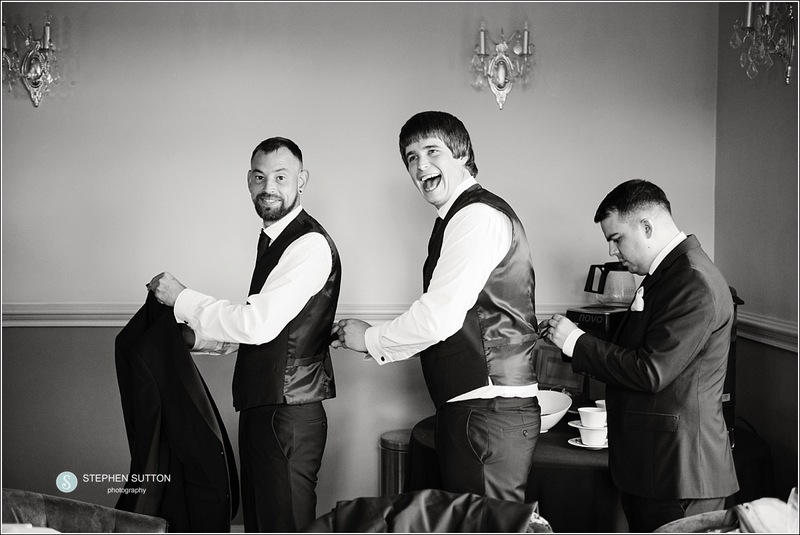 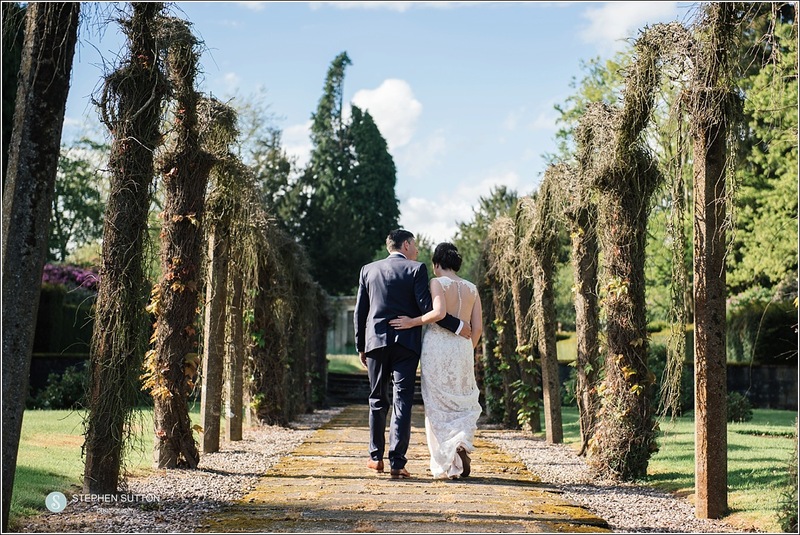 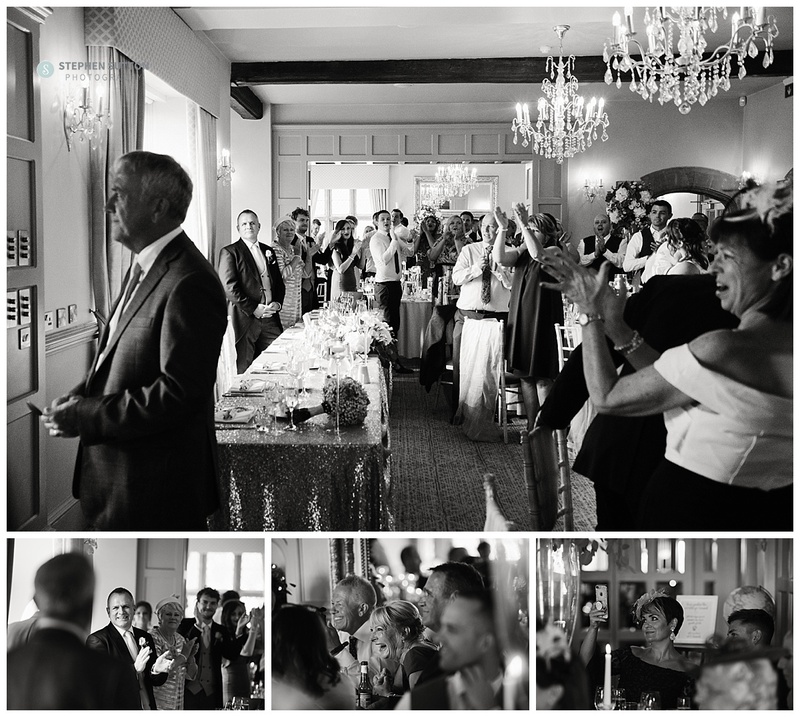 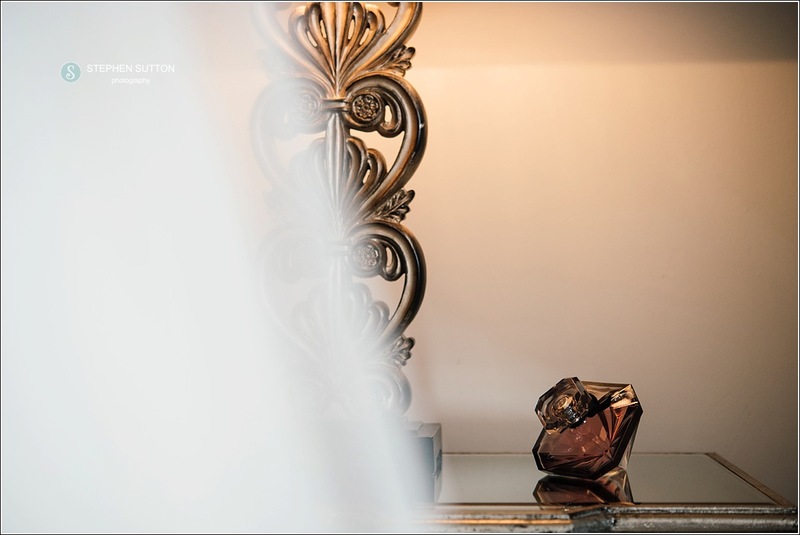 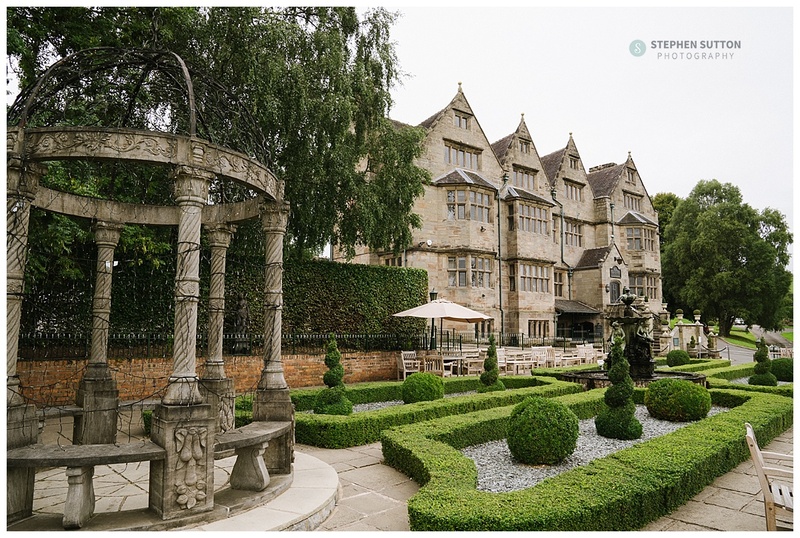 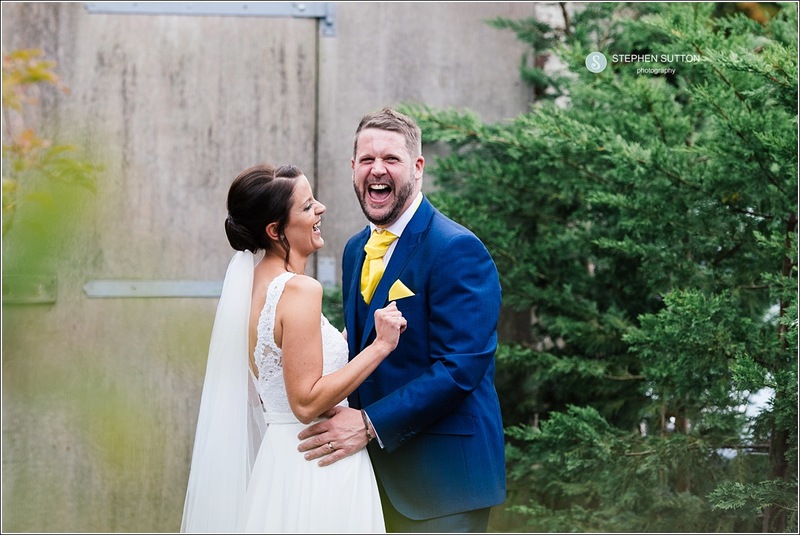 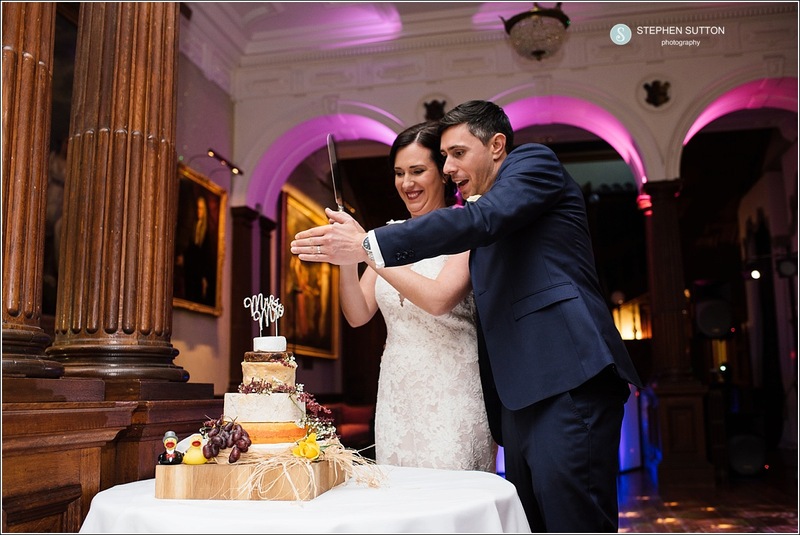 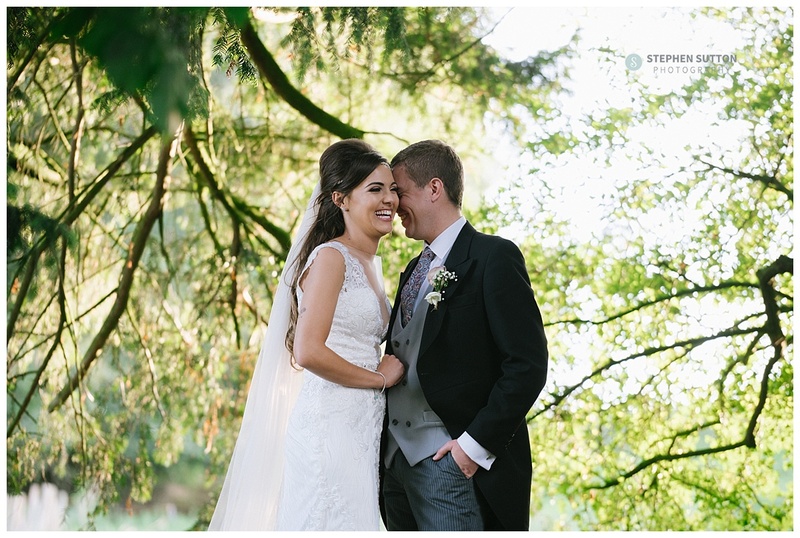 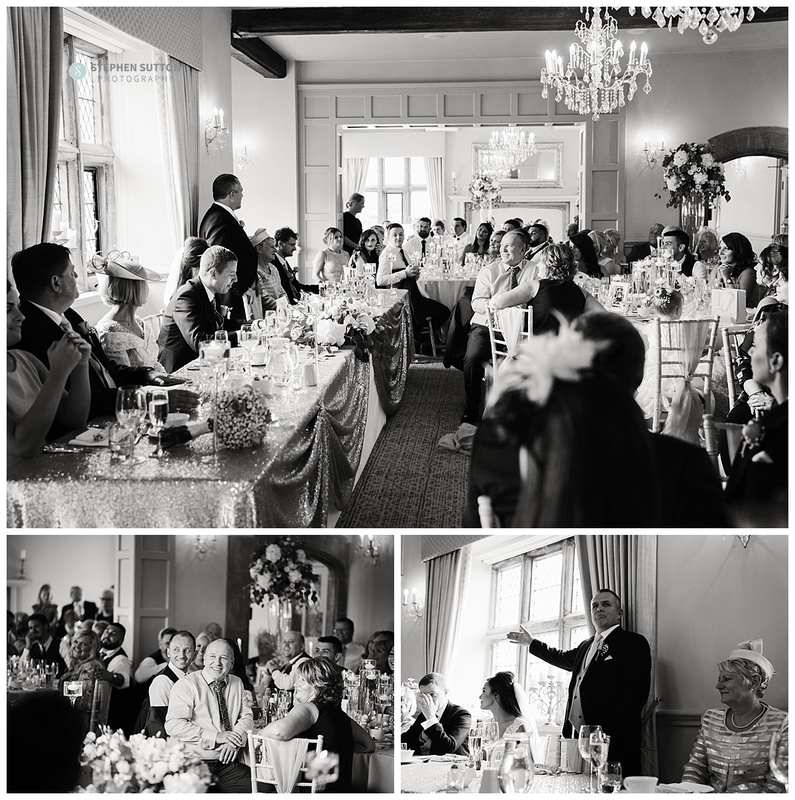 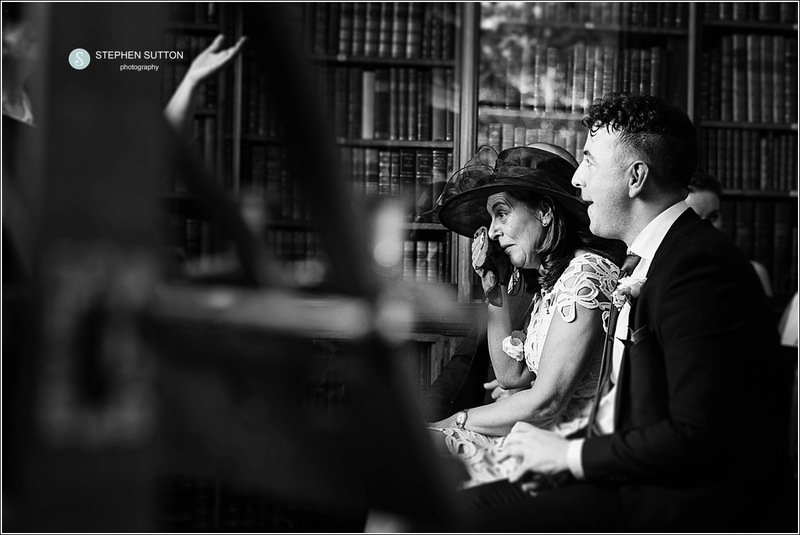 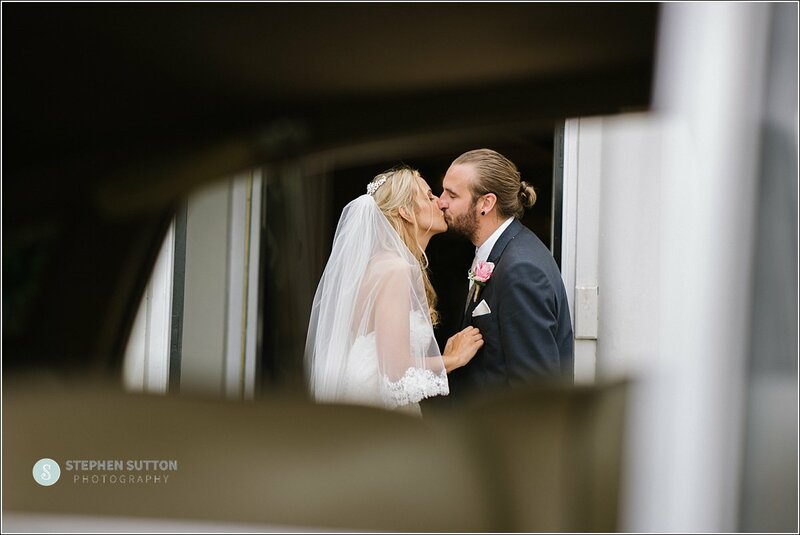 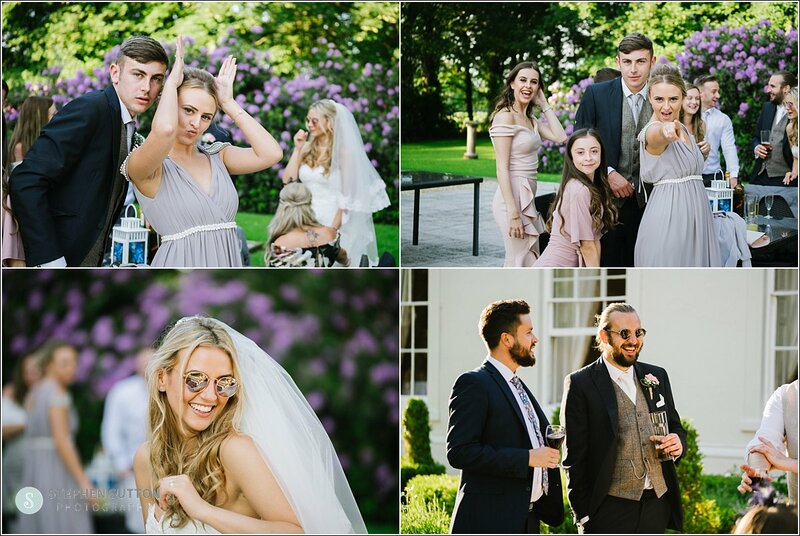 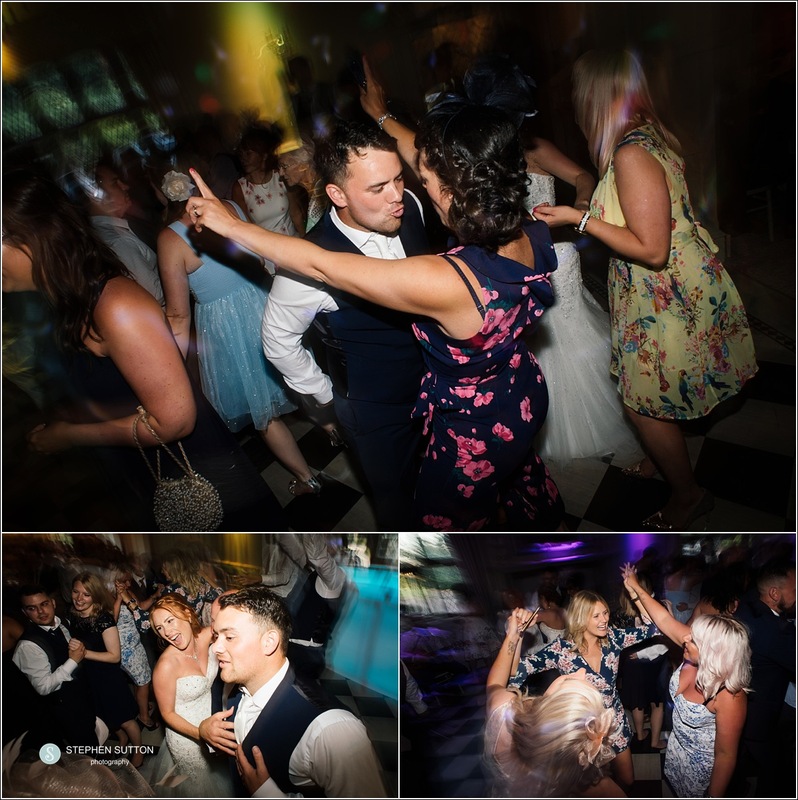 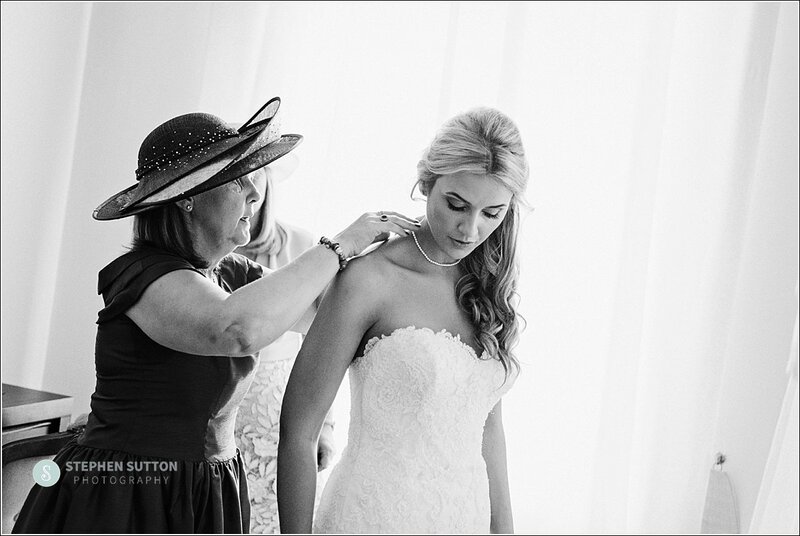 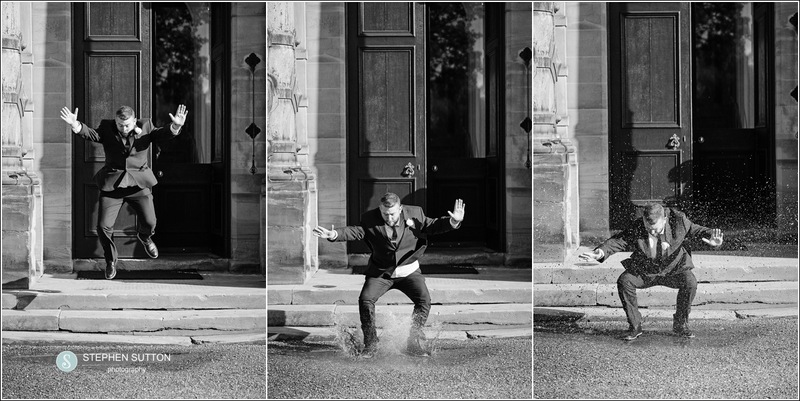 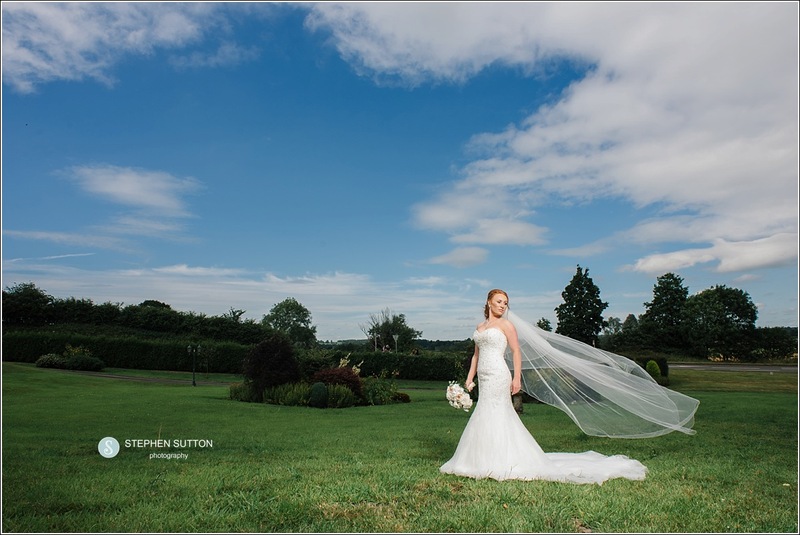 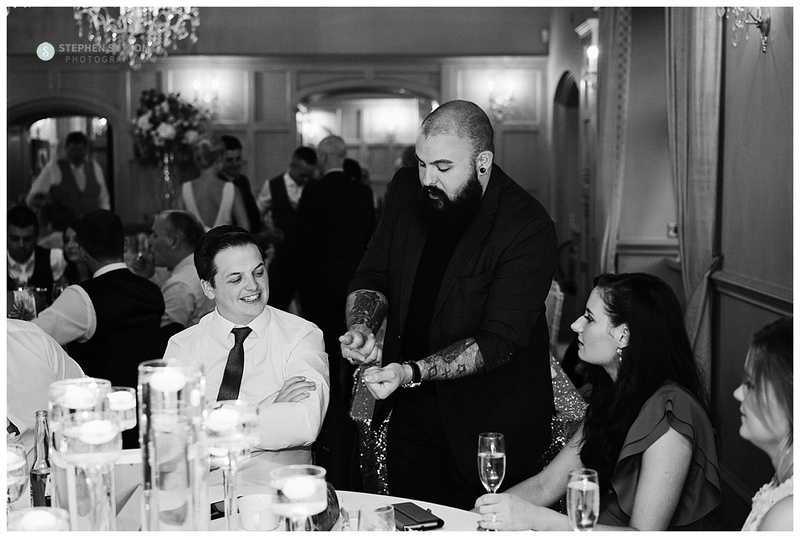 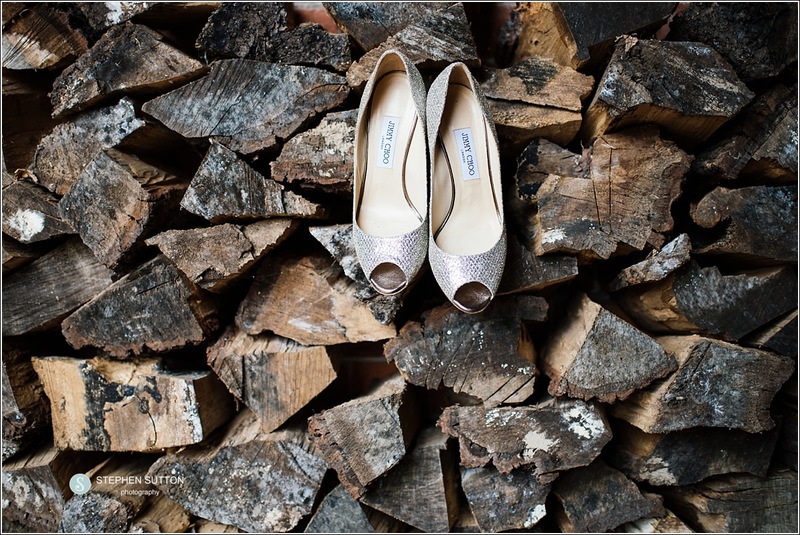 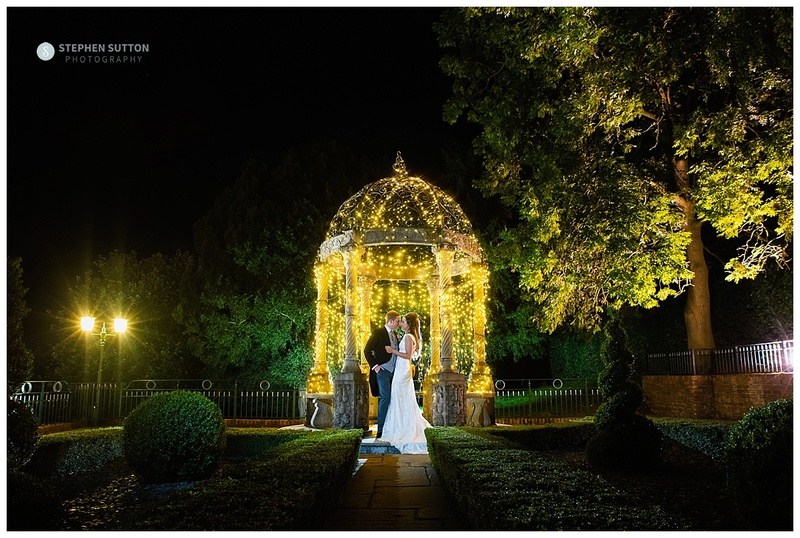 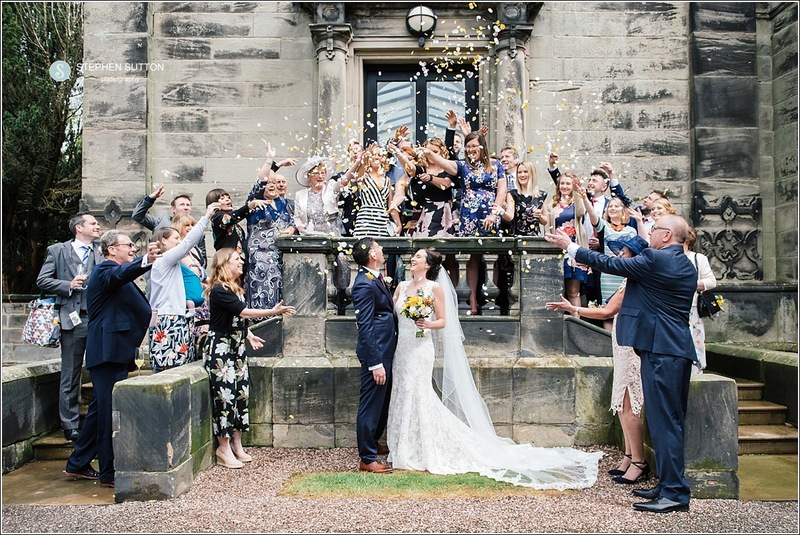 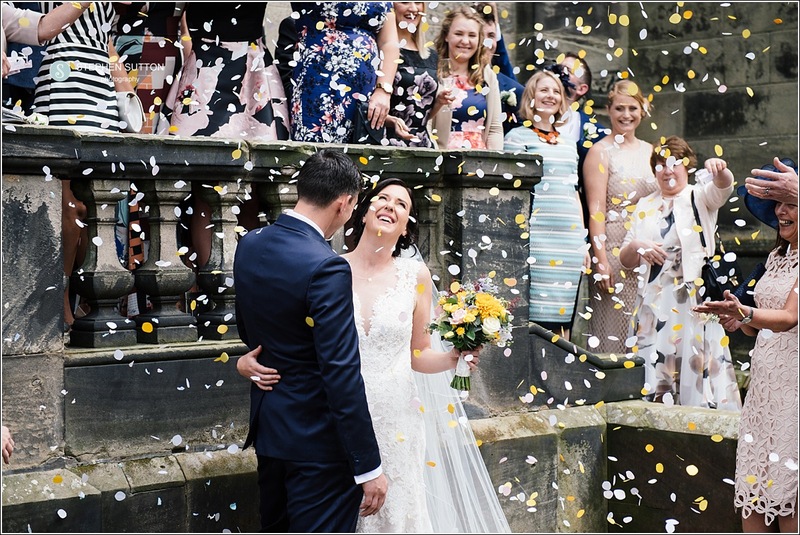 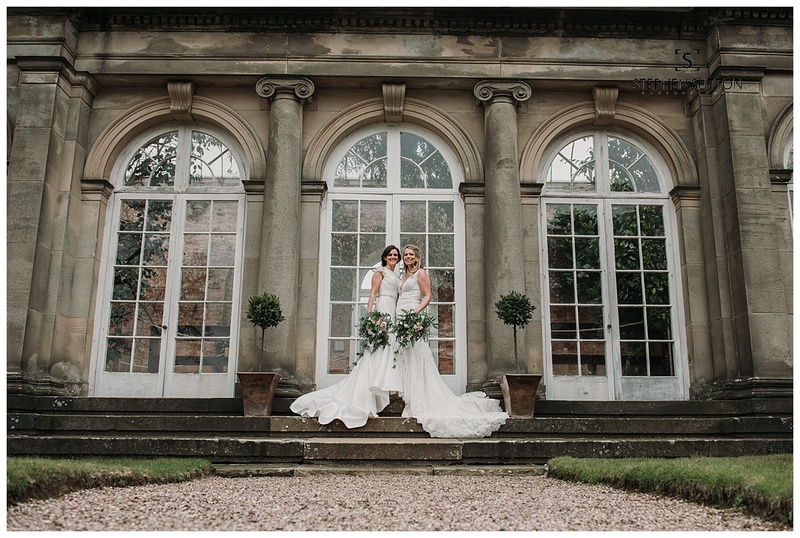 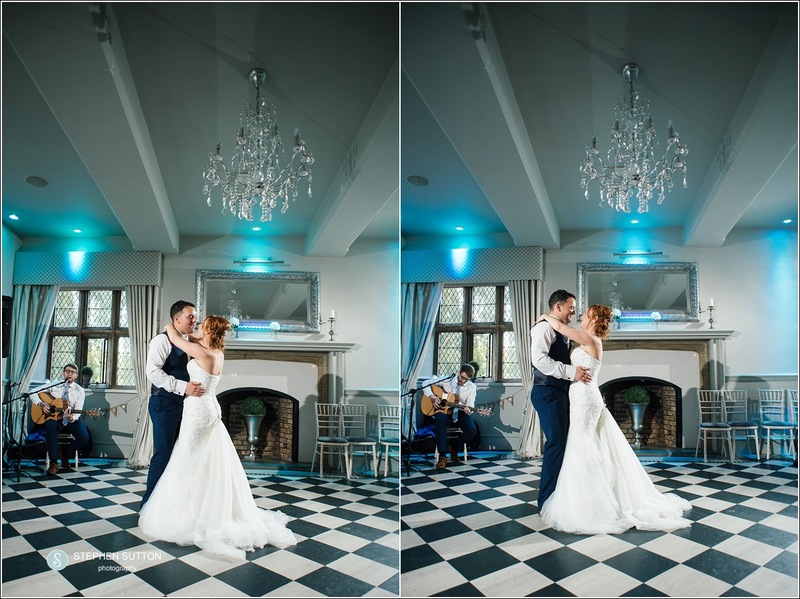 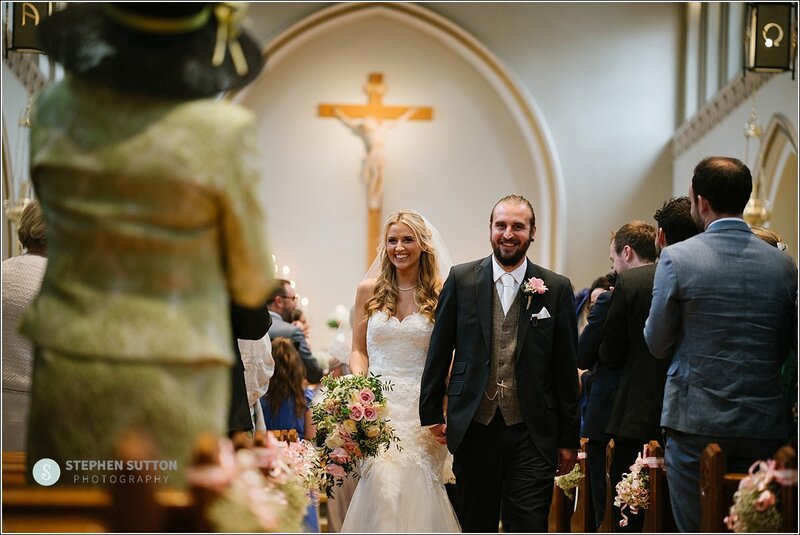 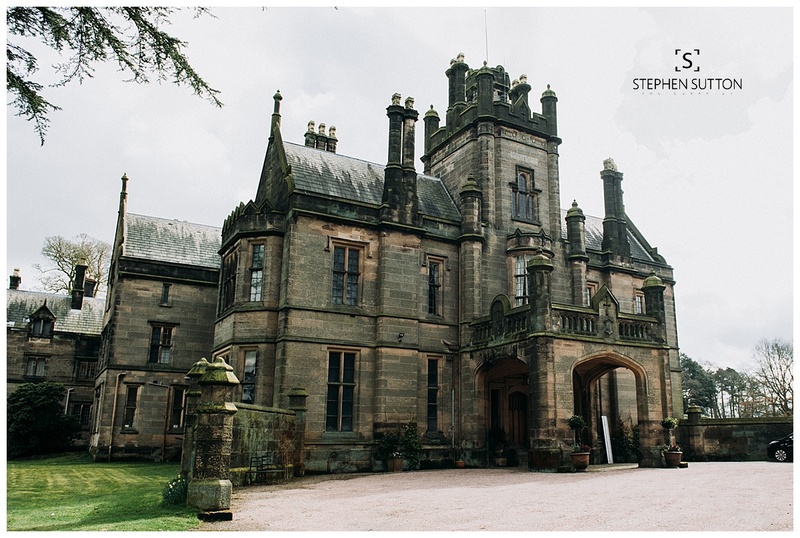 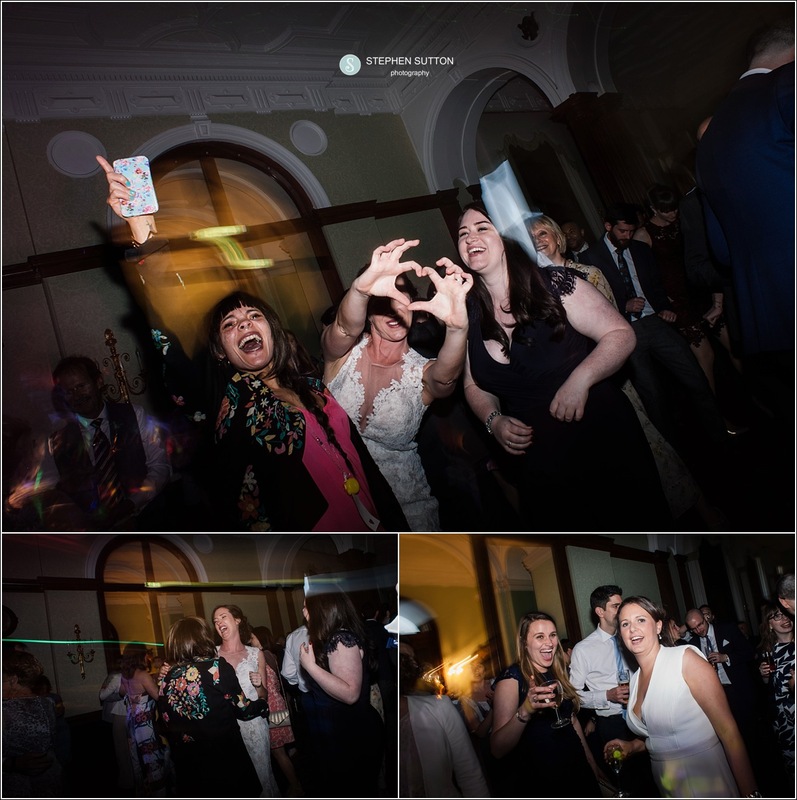 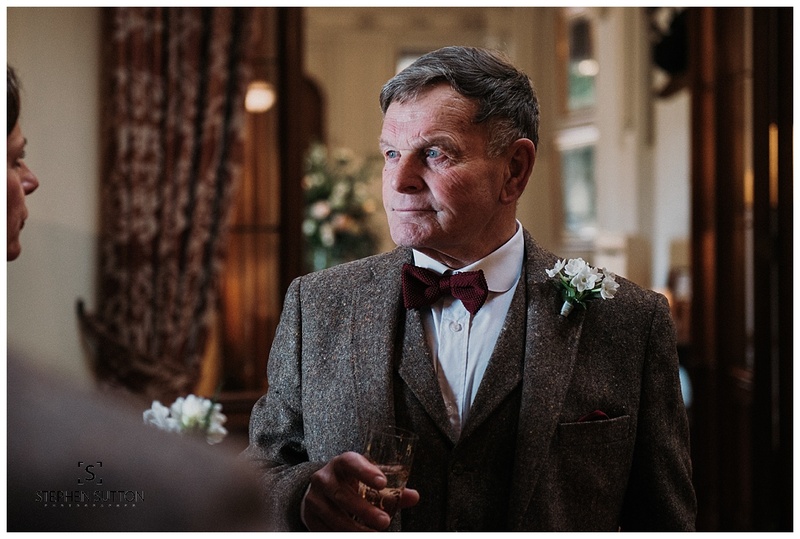 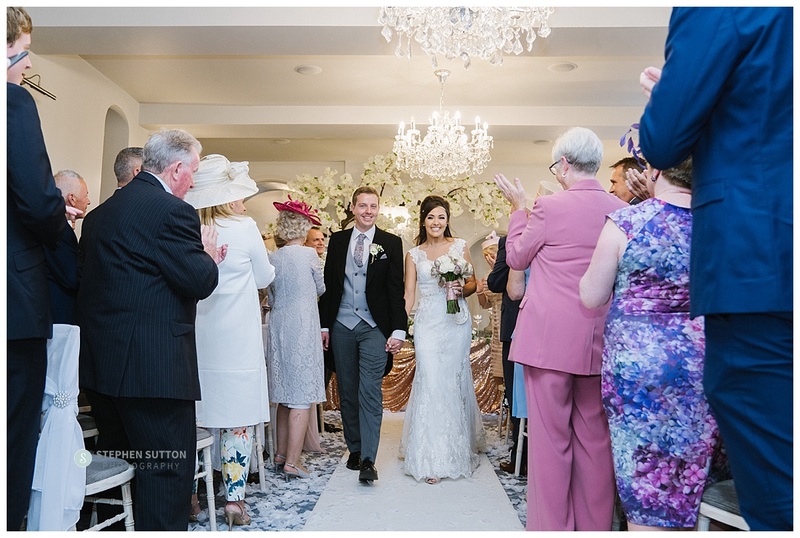 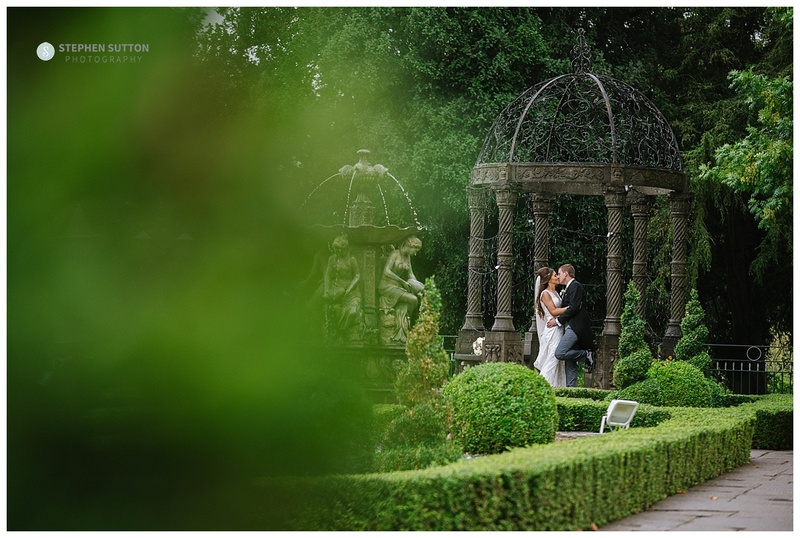 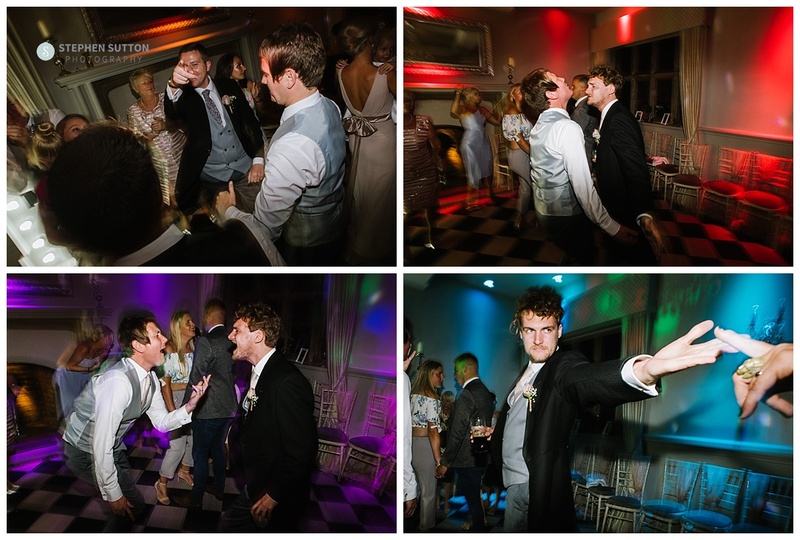 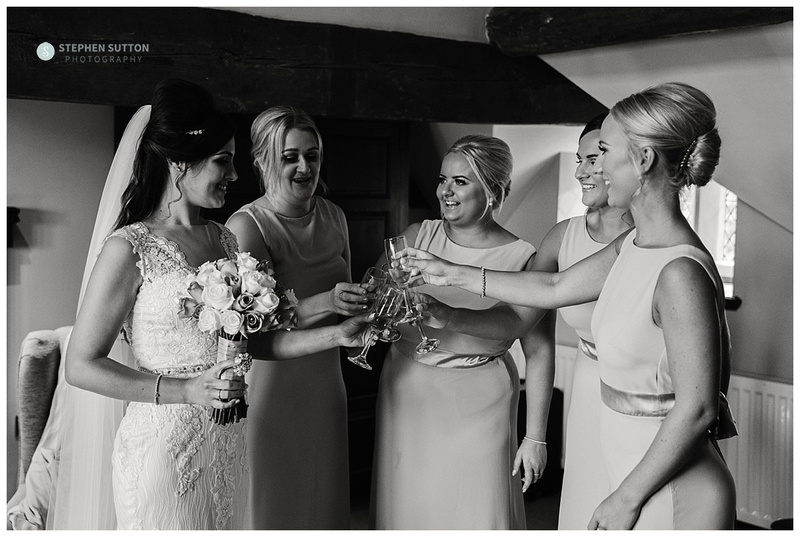 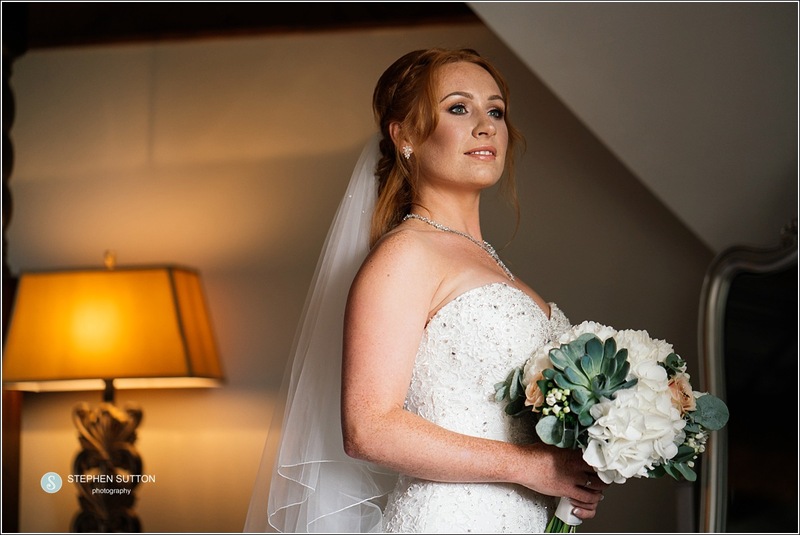 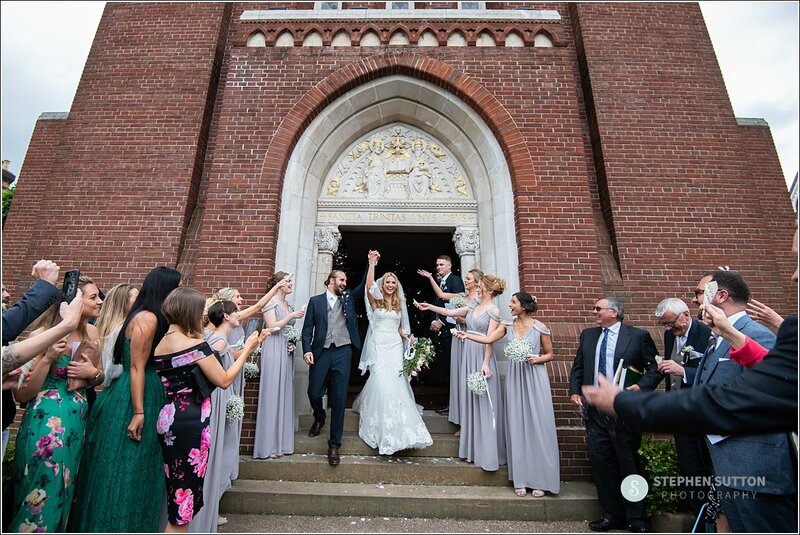 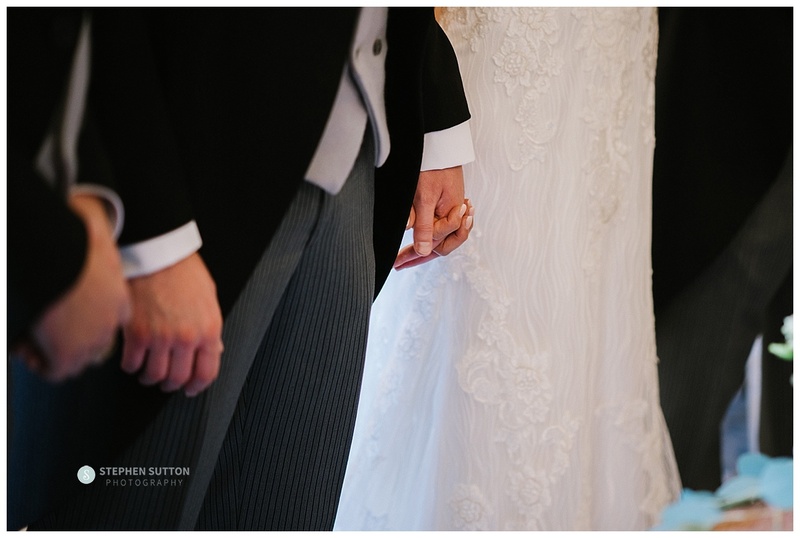 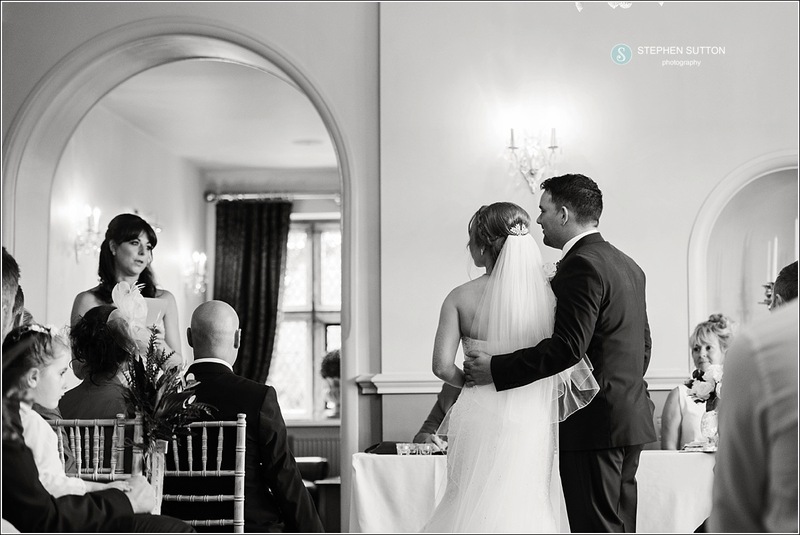 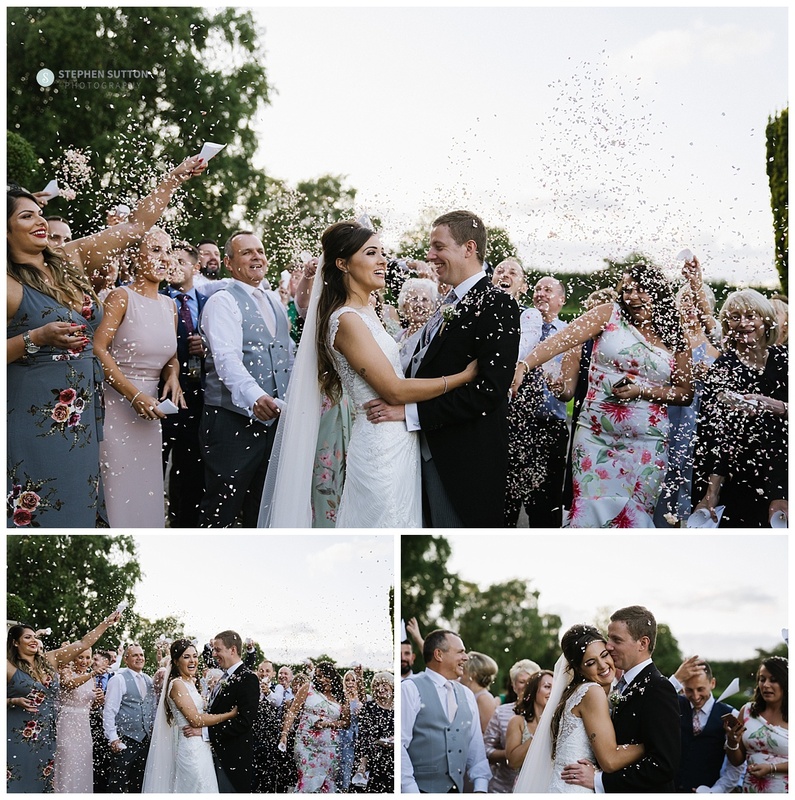 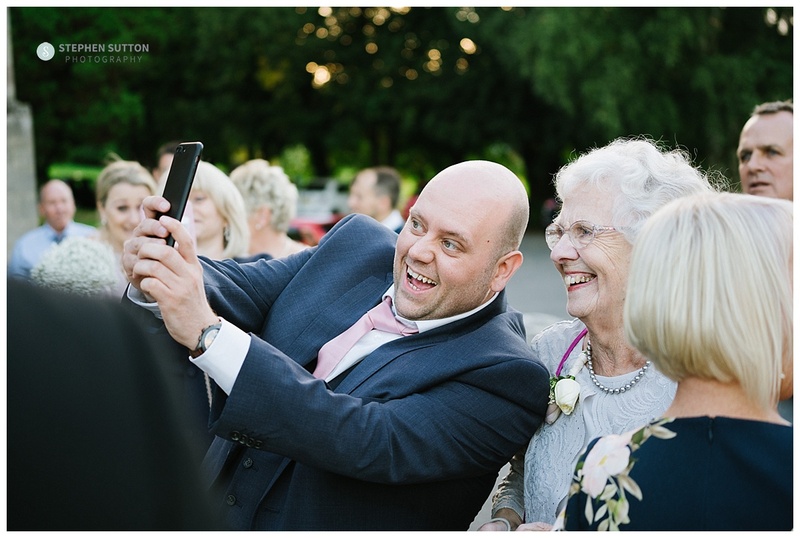 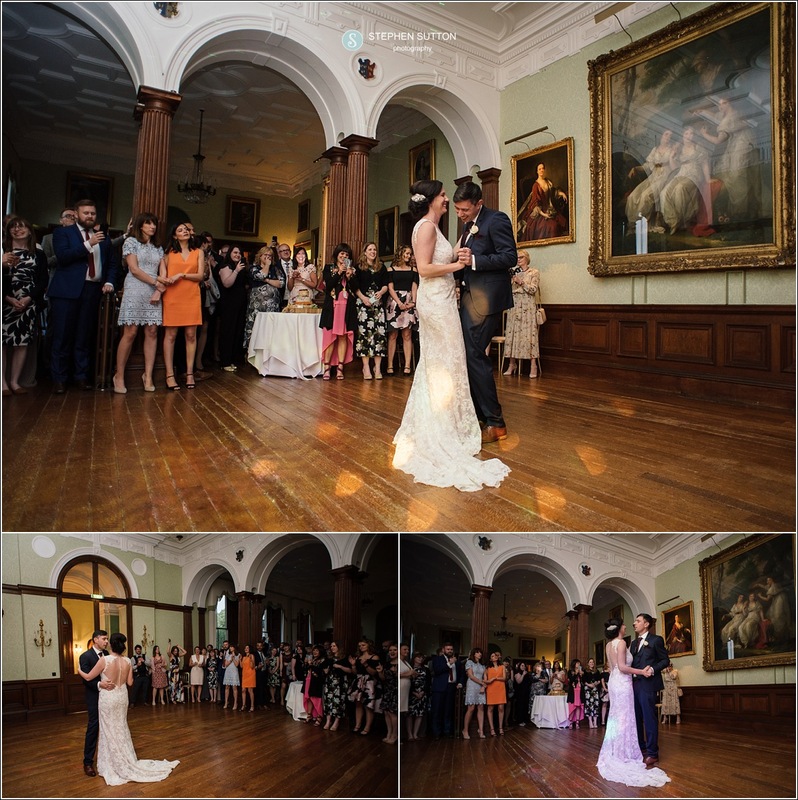 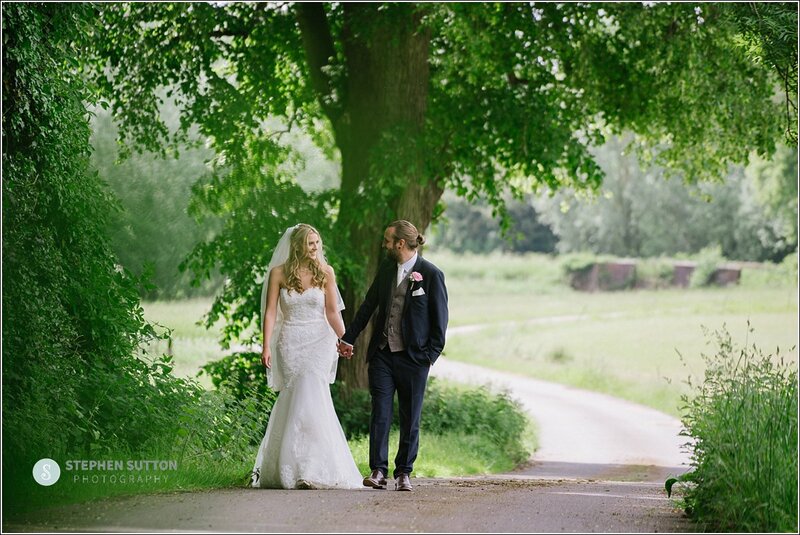 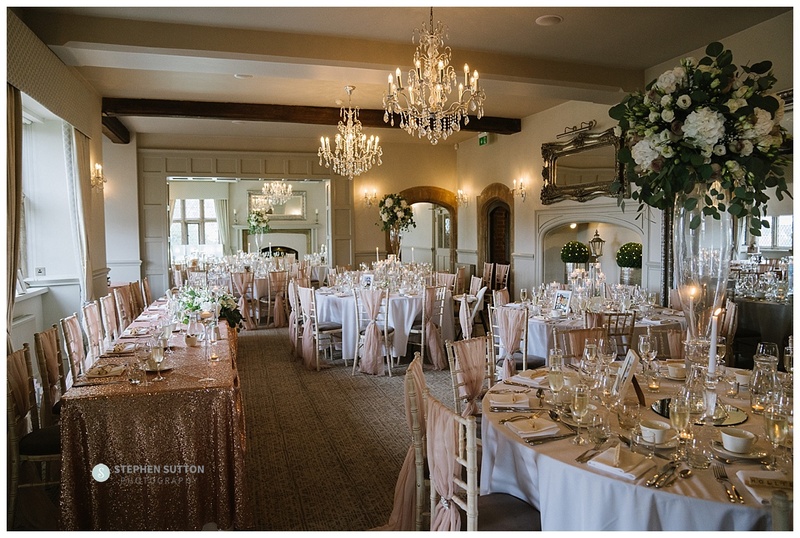 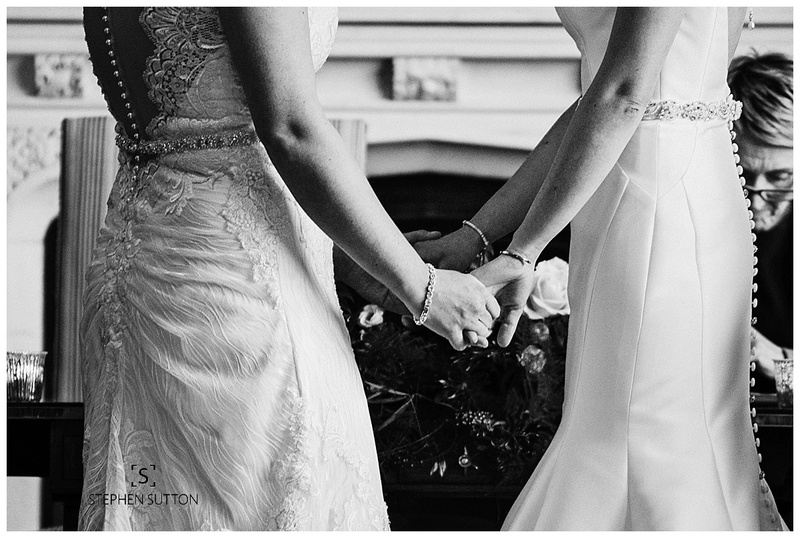 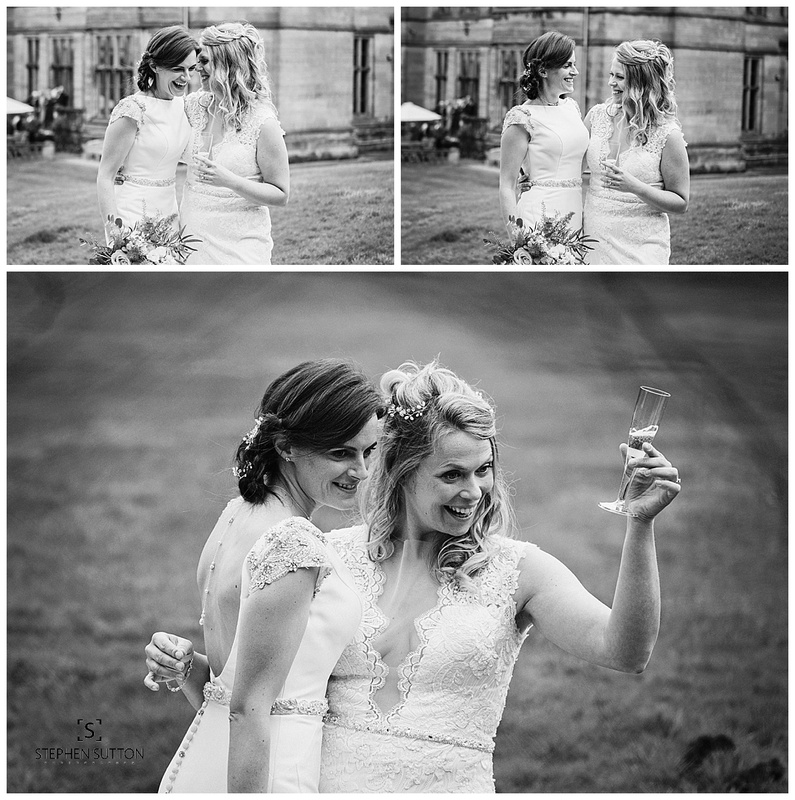 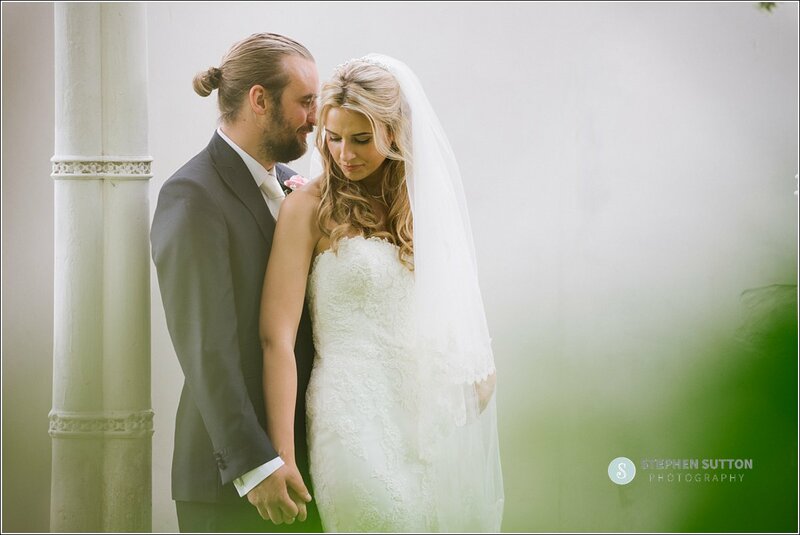 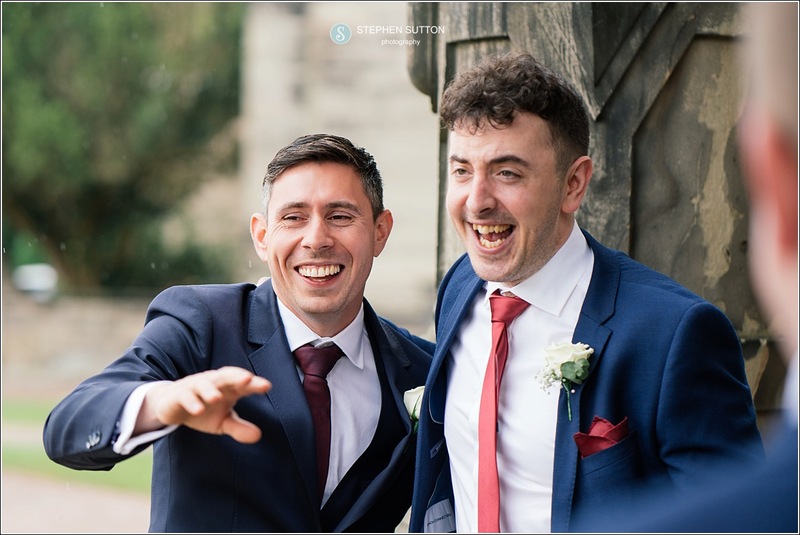 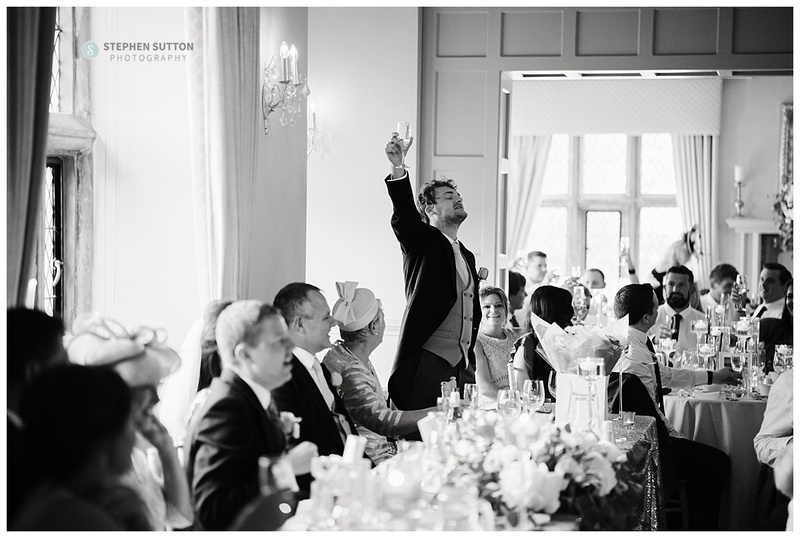 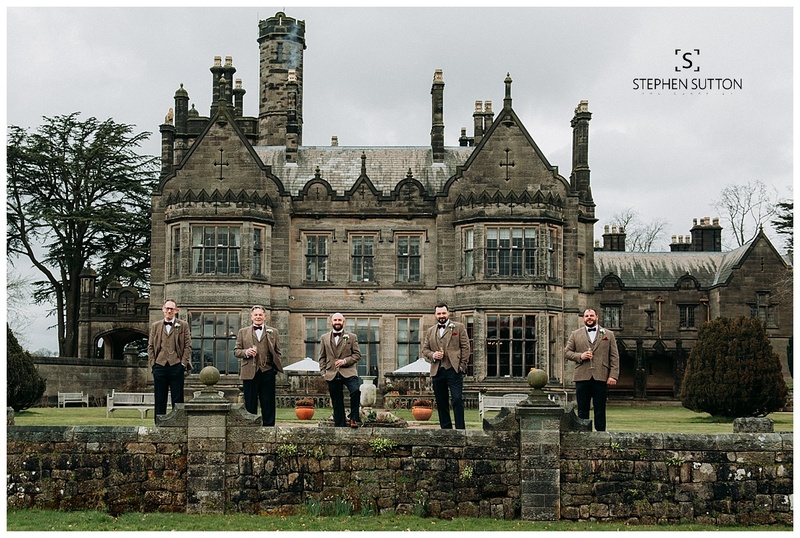 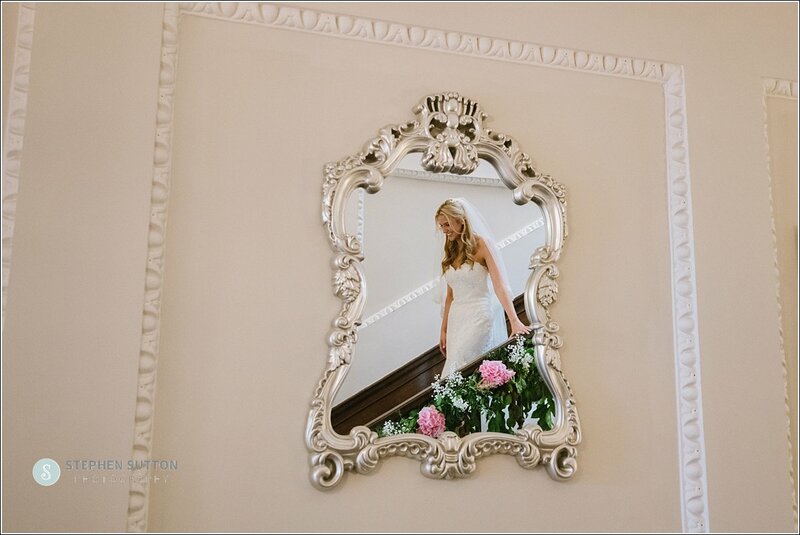 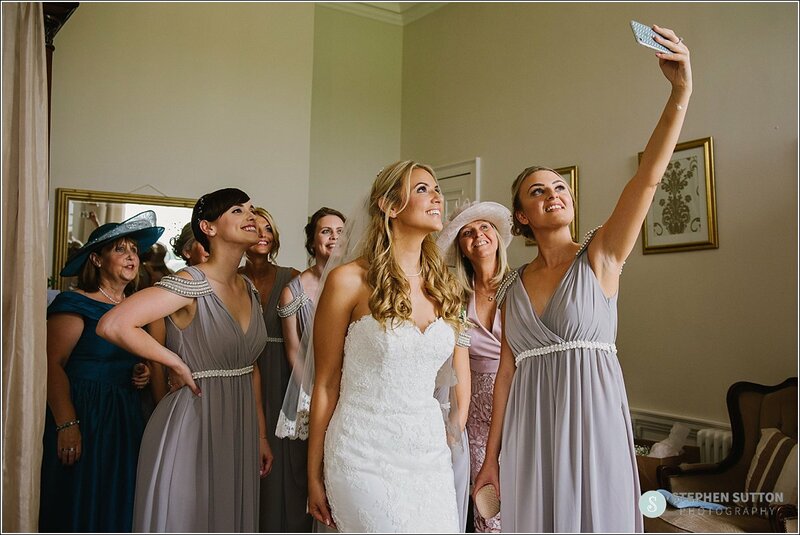 Here are a few snippets from the day…..
Caroline and Andrew’s wedding took place at the stunning Sandon Hall. 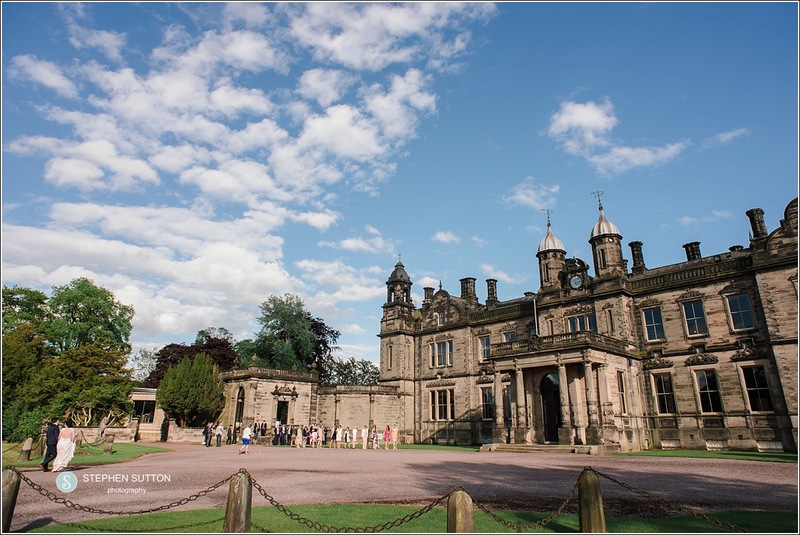 Sandon Hall situated amidst 400 acre of parkland in the heart of the Staffordshire countryside. 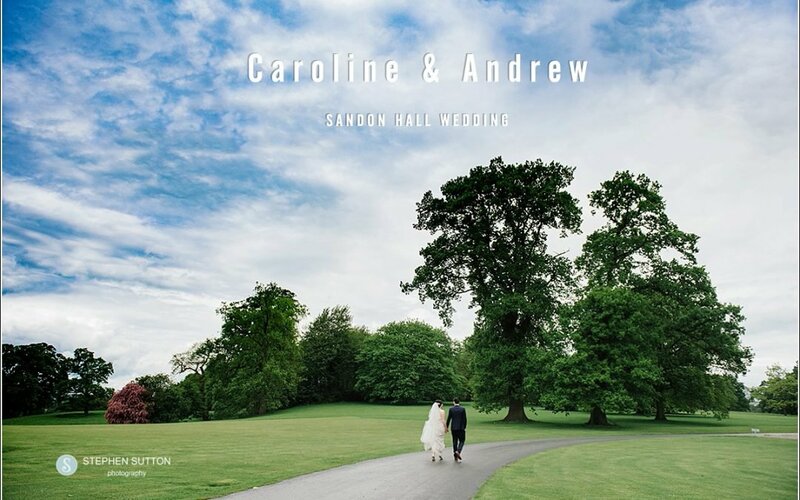 Caroline & Andrew booked me for their wedding a couple of years ago, both Caroline & Andrew live and work in the Middle East so Skype and emails became the best way of communication. 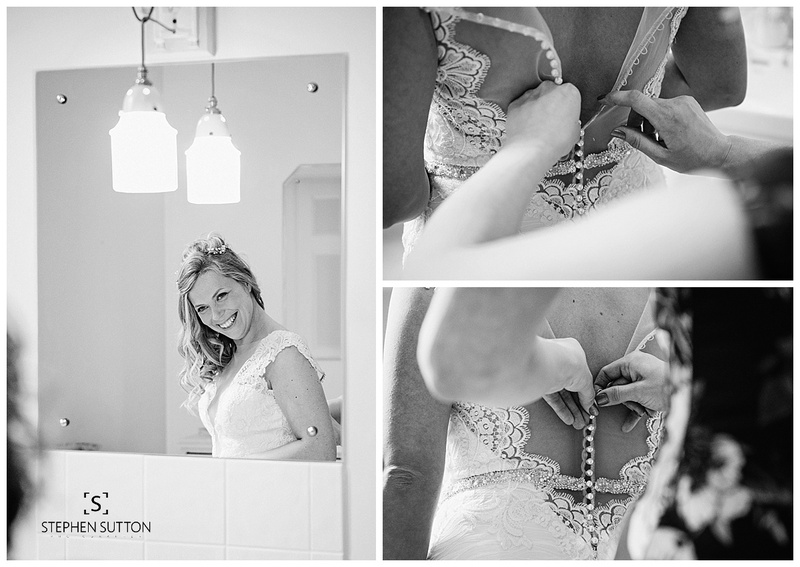 They opted for all day coverage so my day typically started in the morning with the bridal preparations. 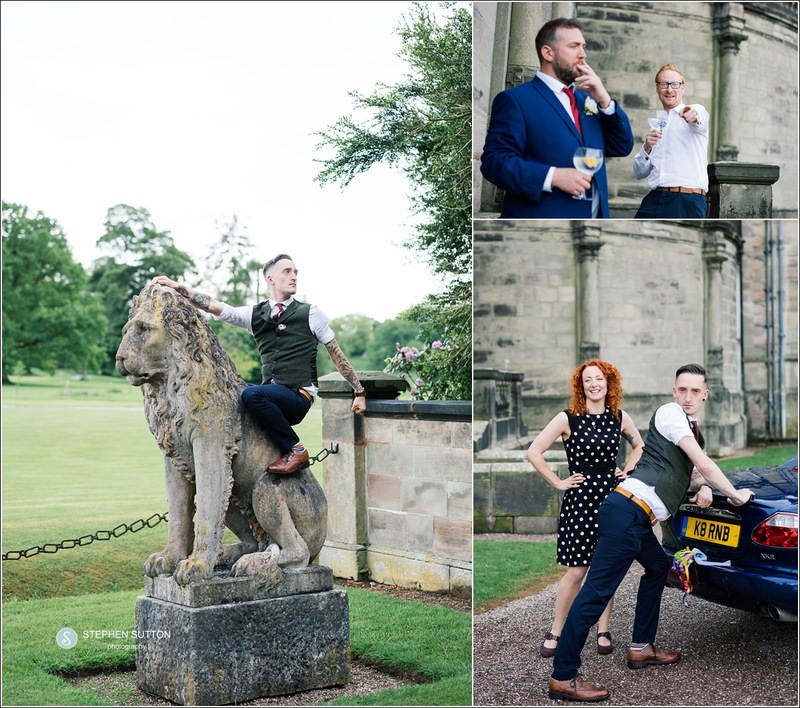 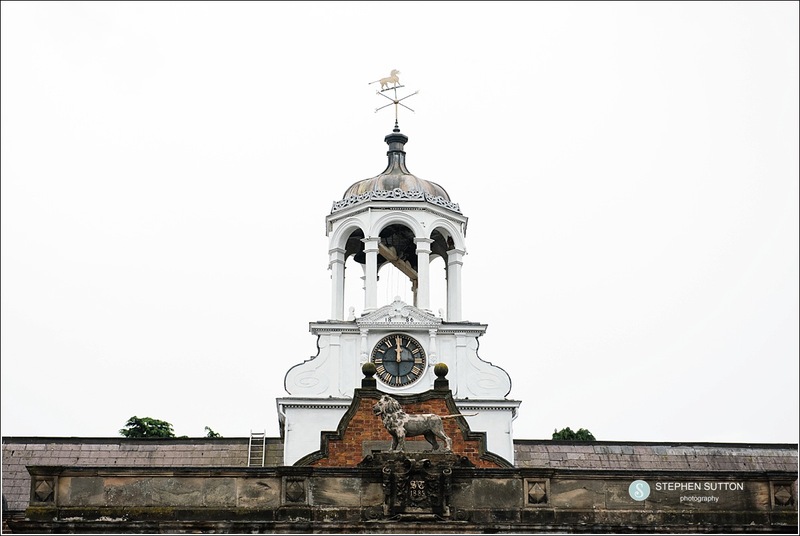 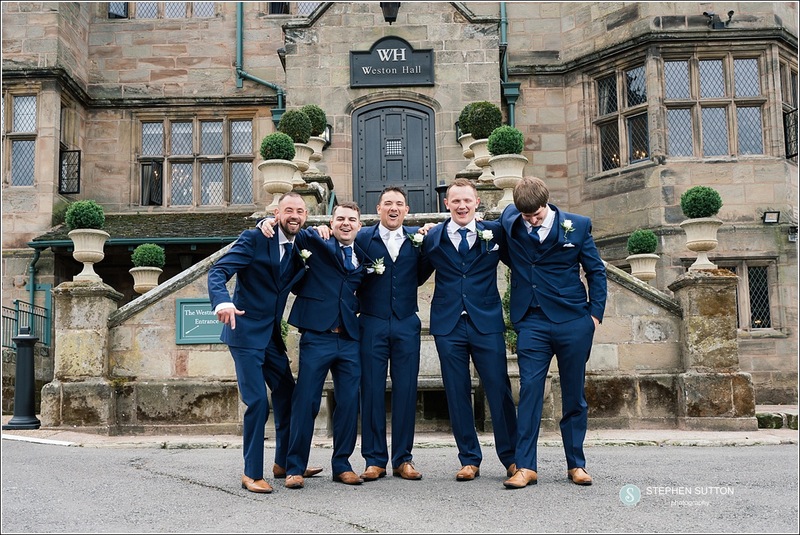 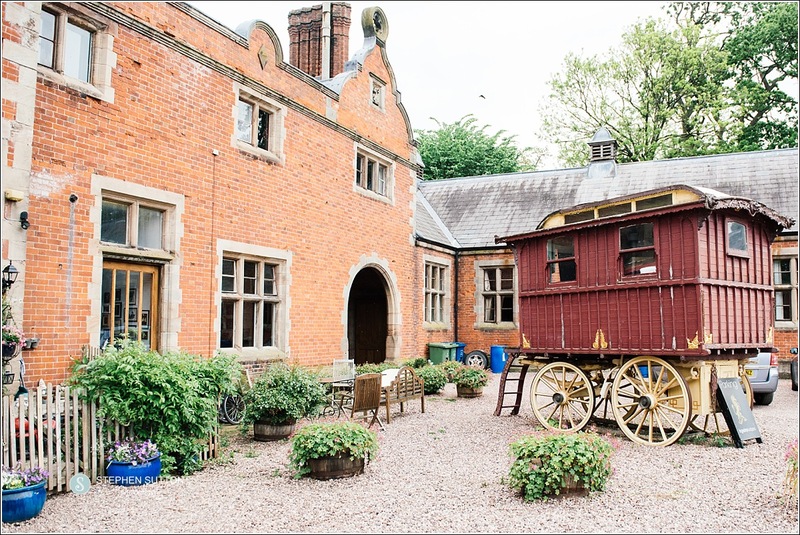 The chosen location for this was Ingestre lodges stunning grade 11 listed Jacobean style buildings located in Ingestre village. 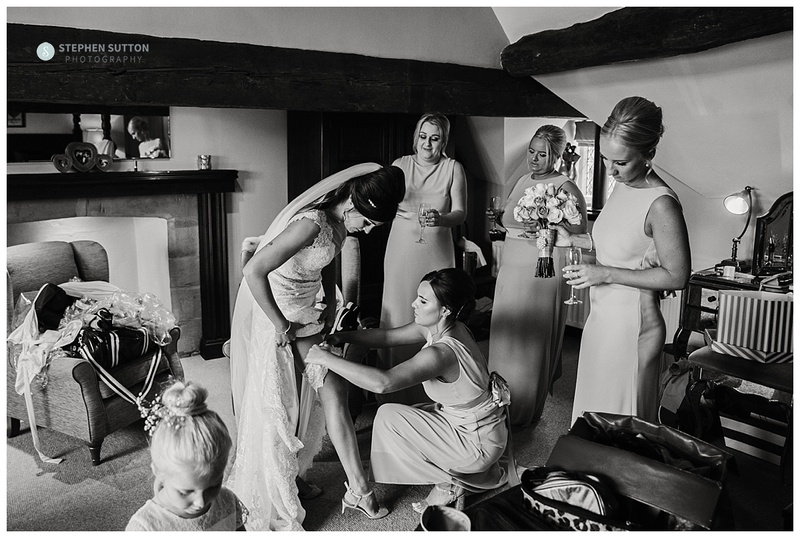 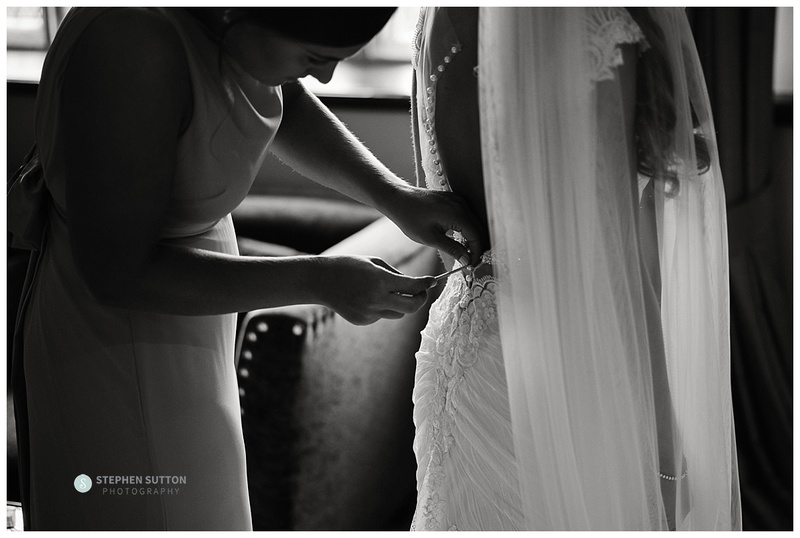 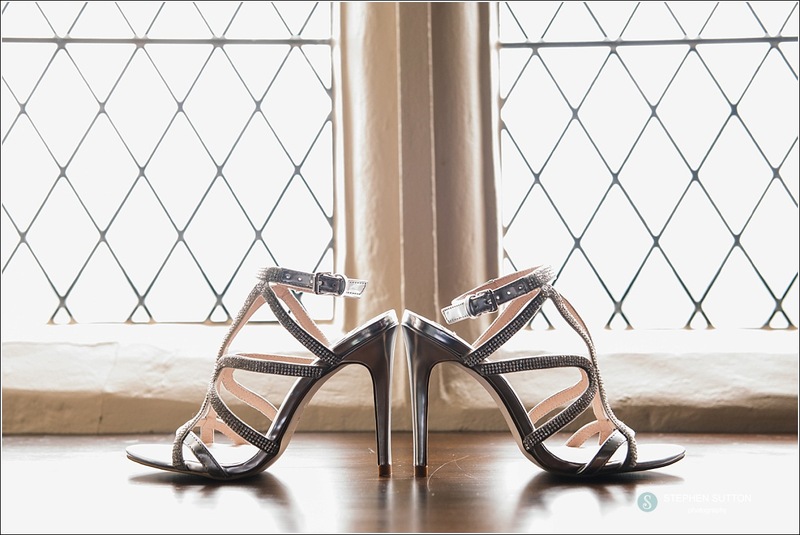 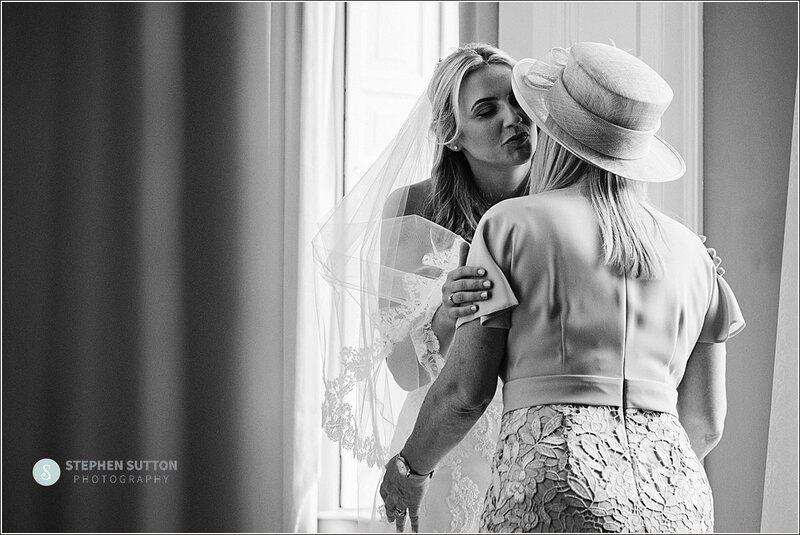 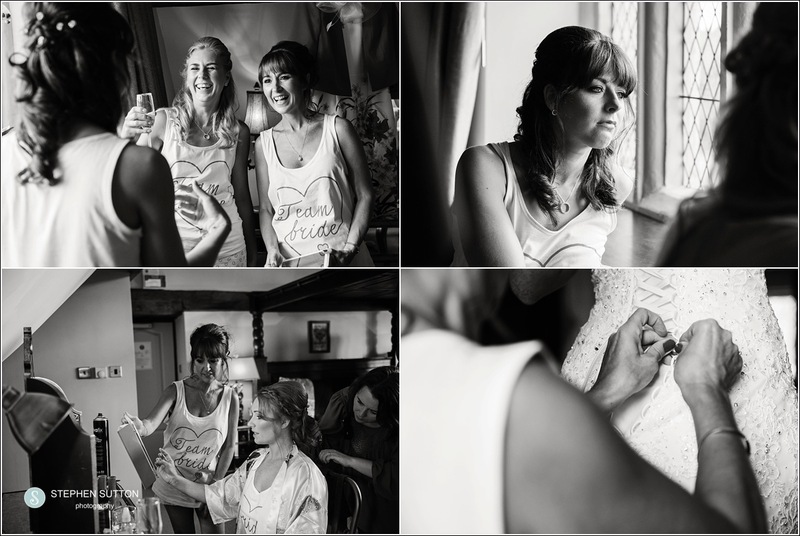 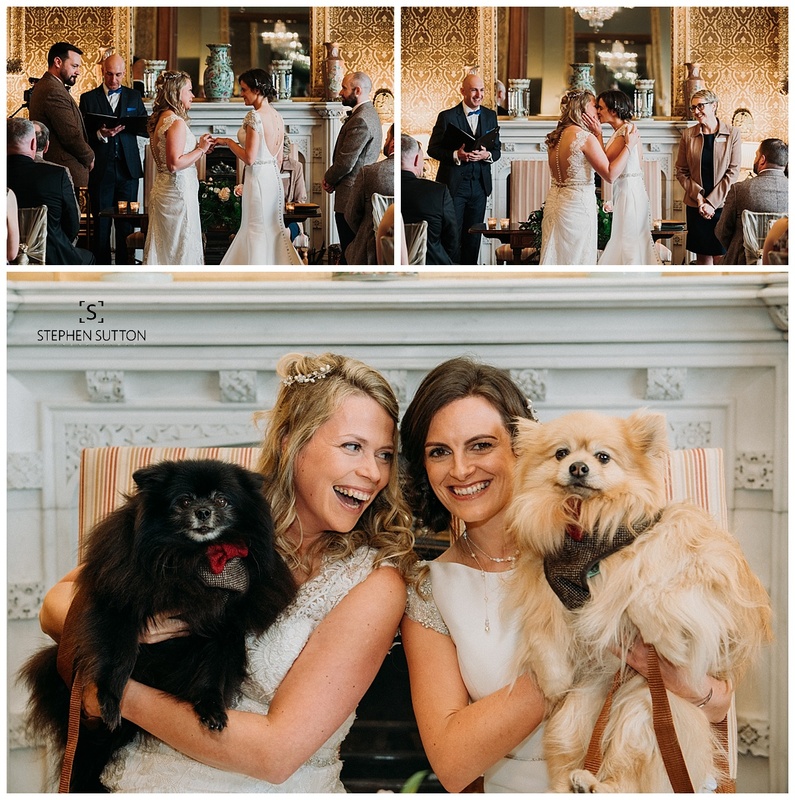 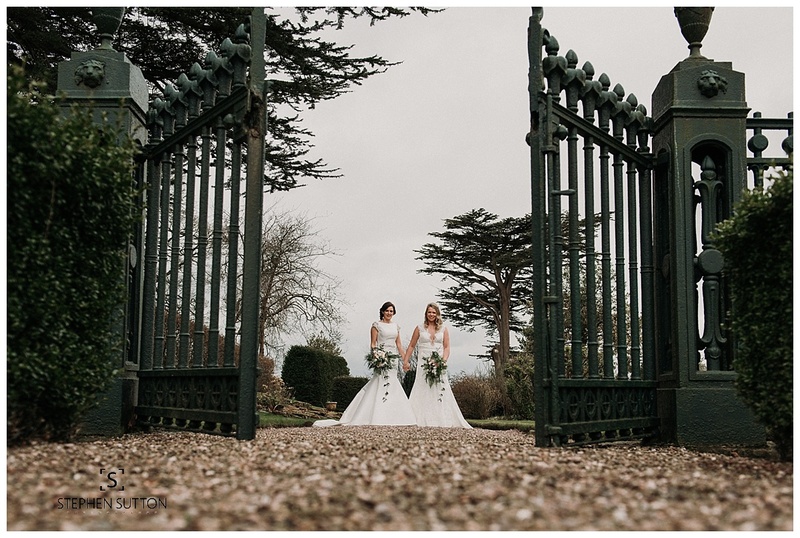 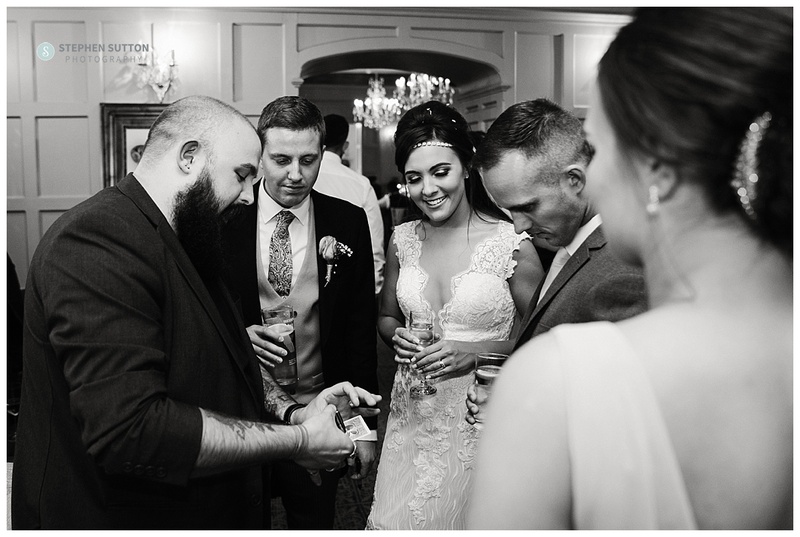 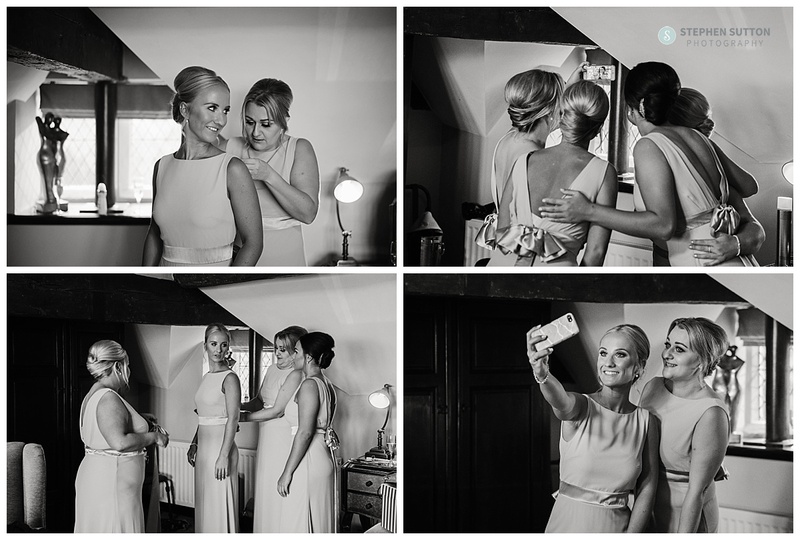 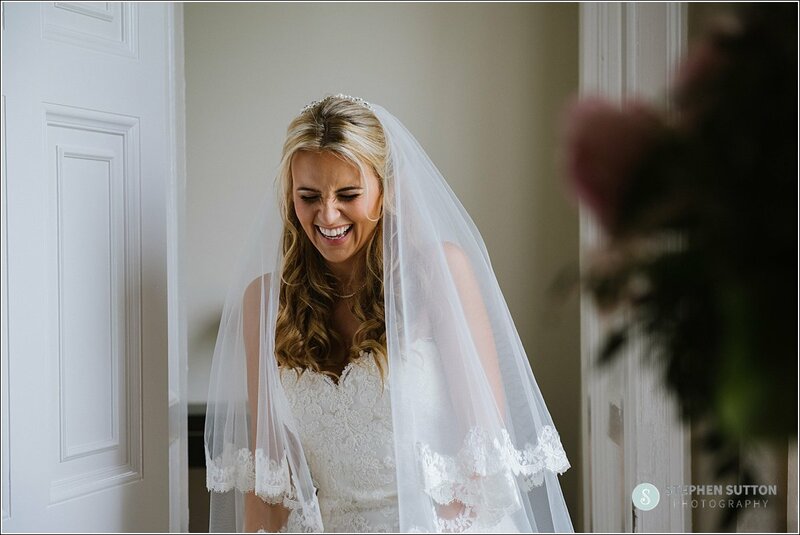 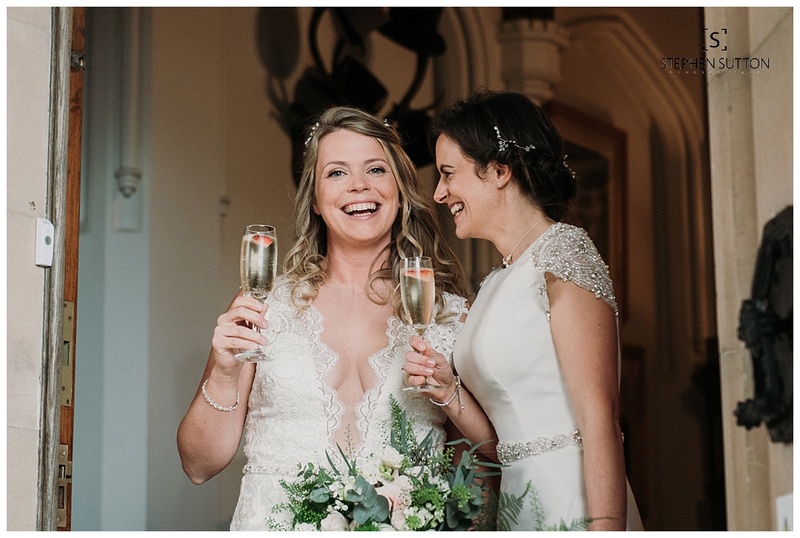 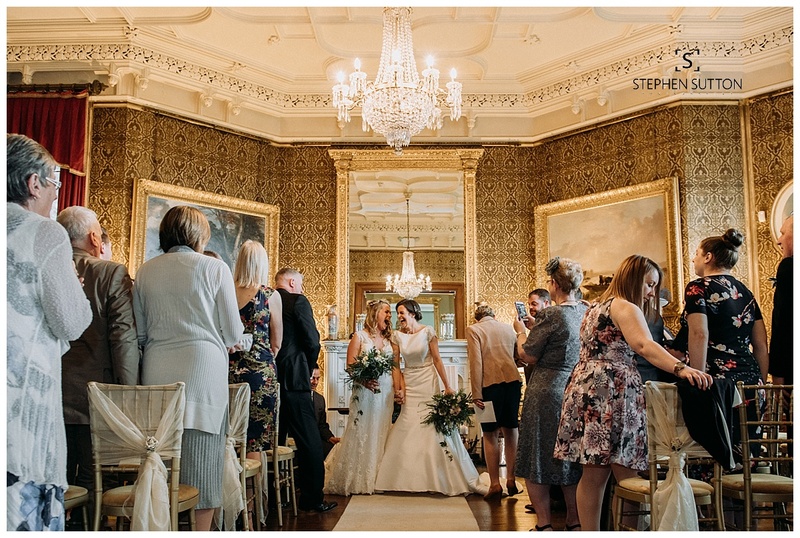 After the details had been photographed my assistant Claire stayed with the bride whilst I headed over to Sandon hall to photograph the guest arrivals and the bridal party. 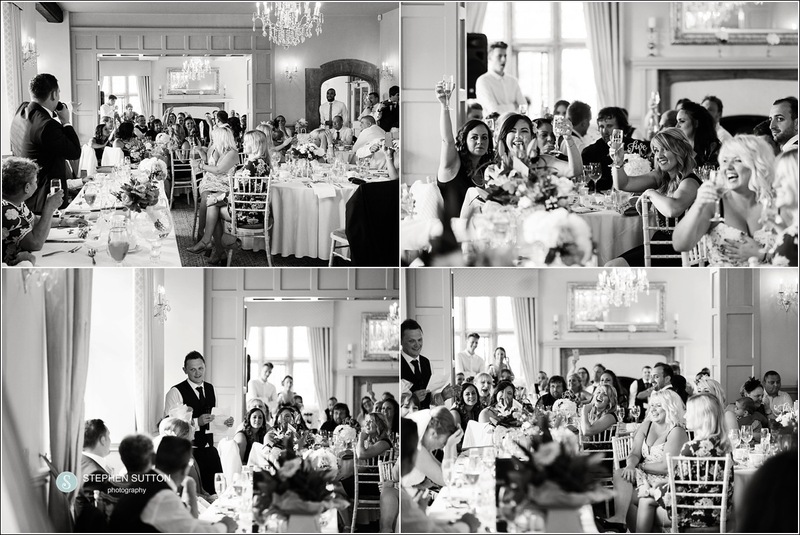 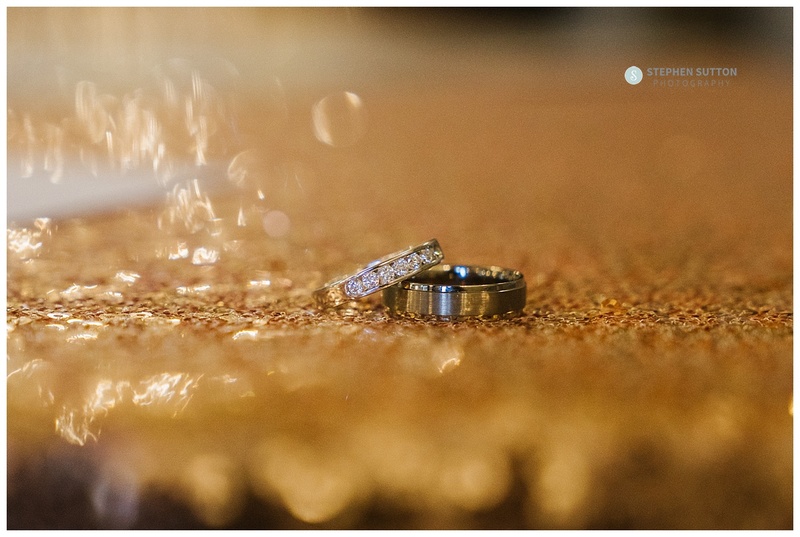 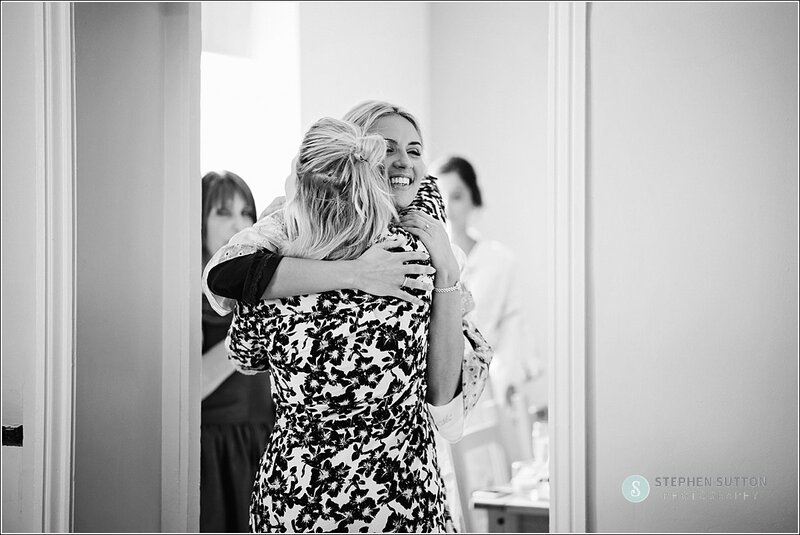 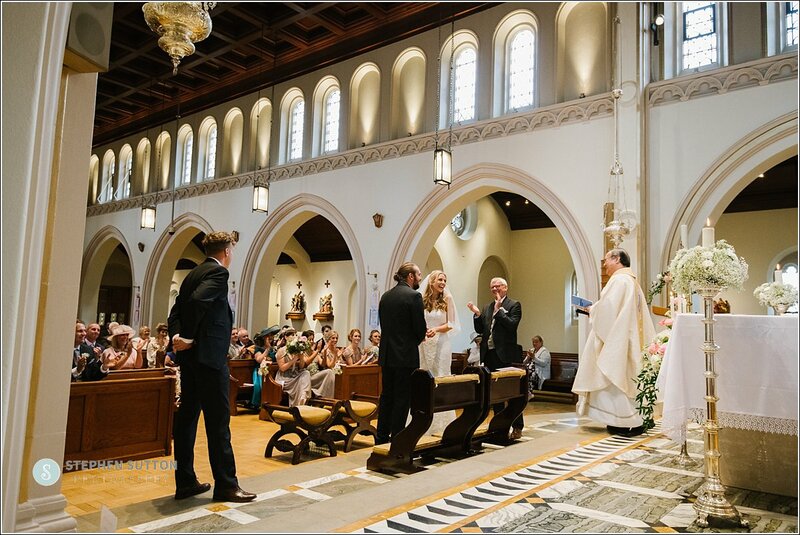 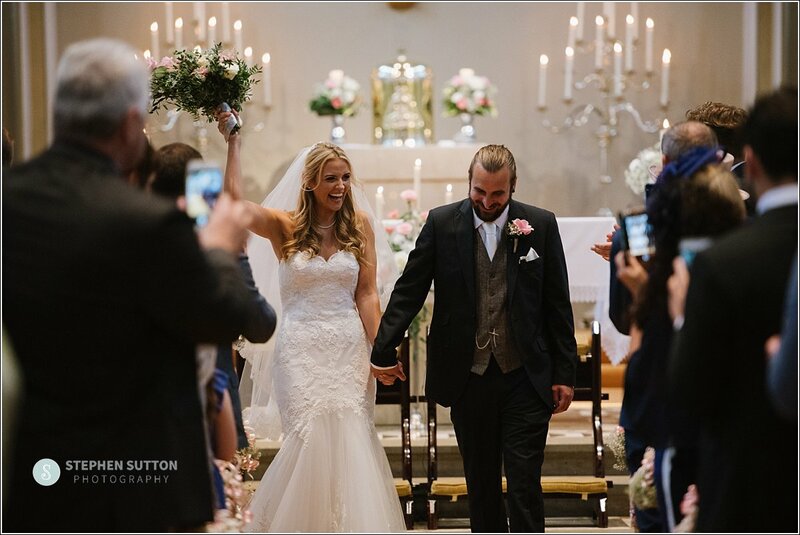 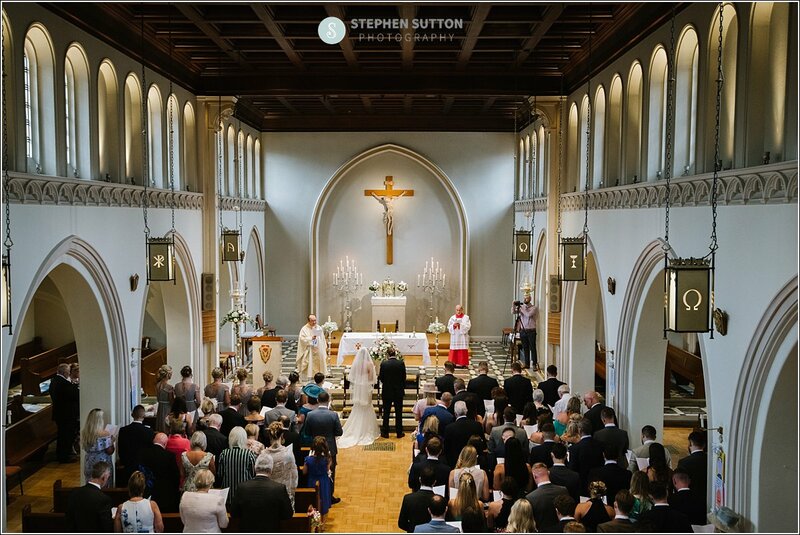 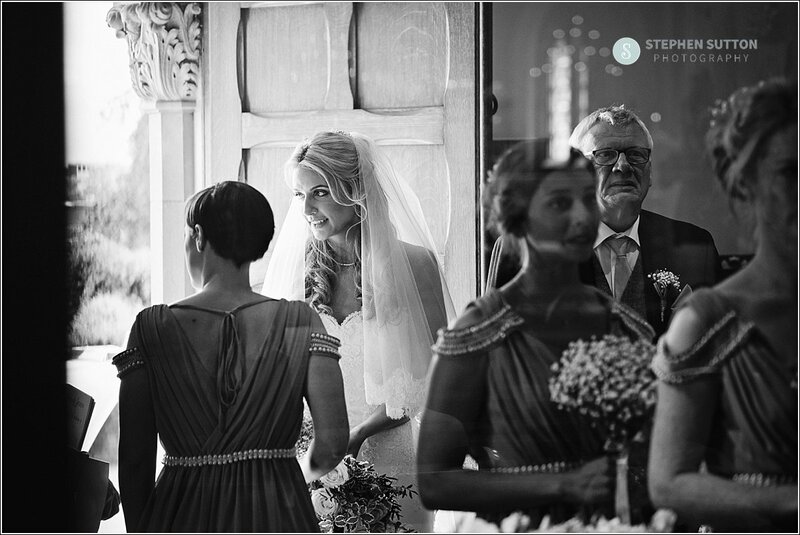 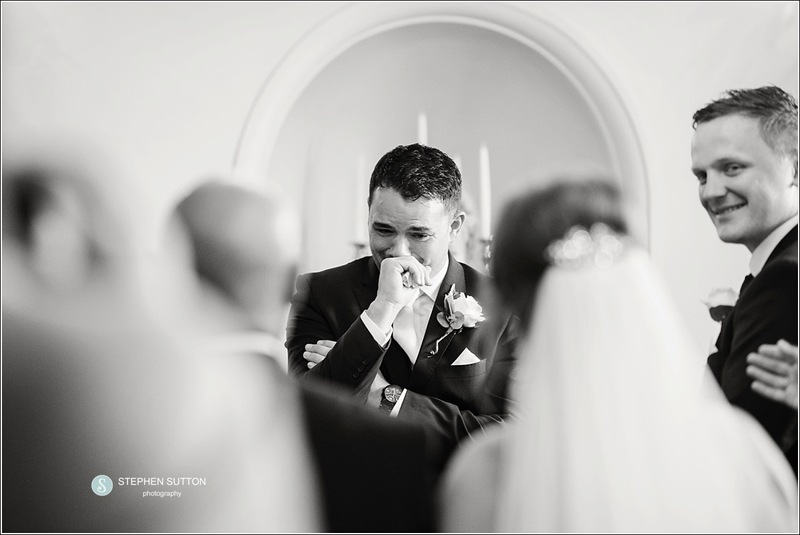 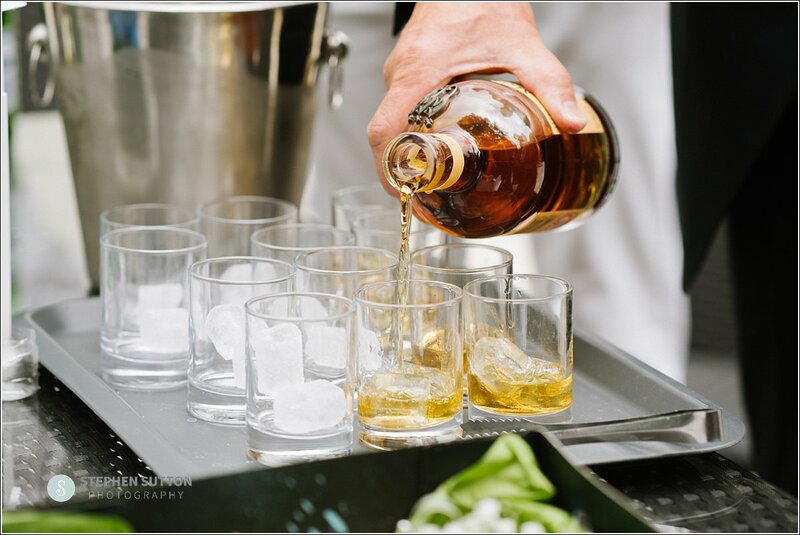 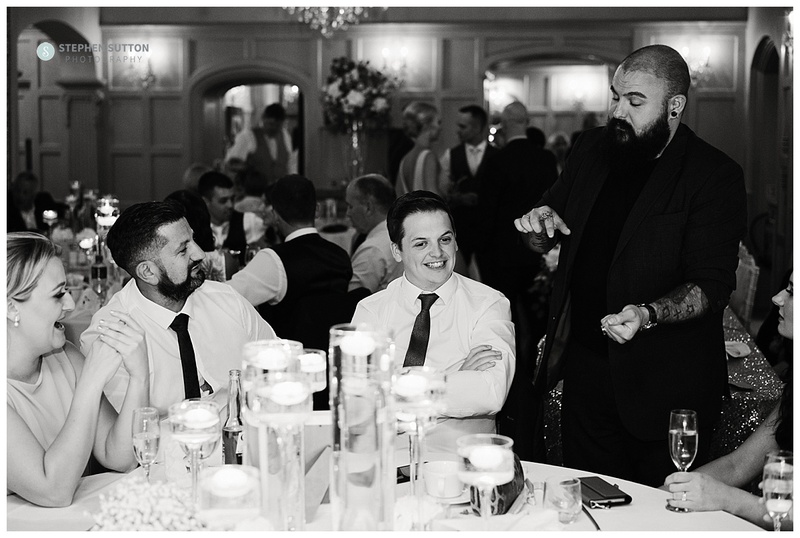 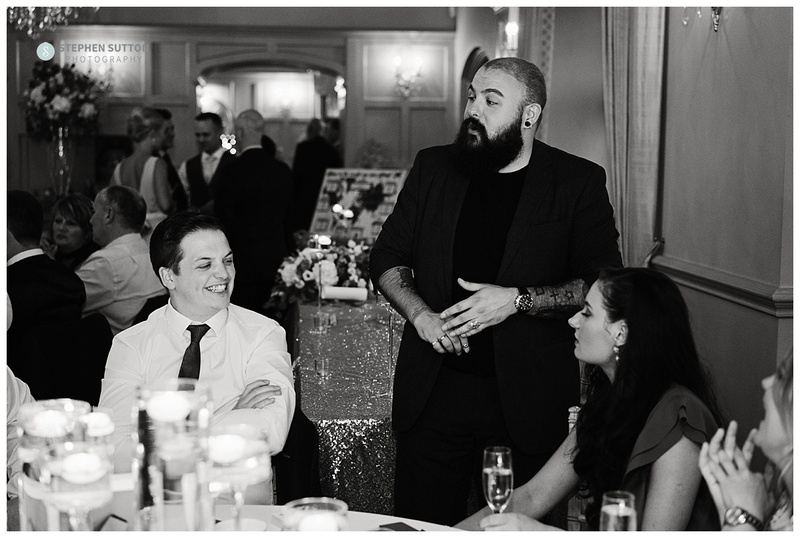 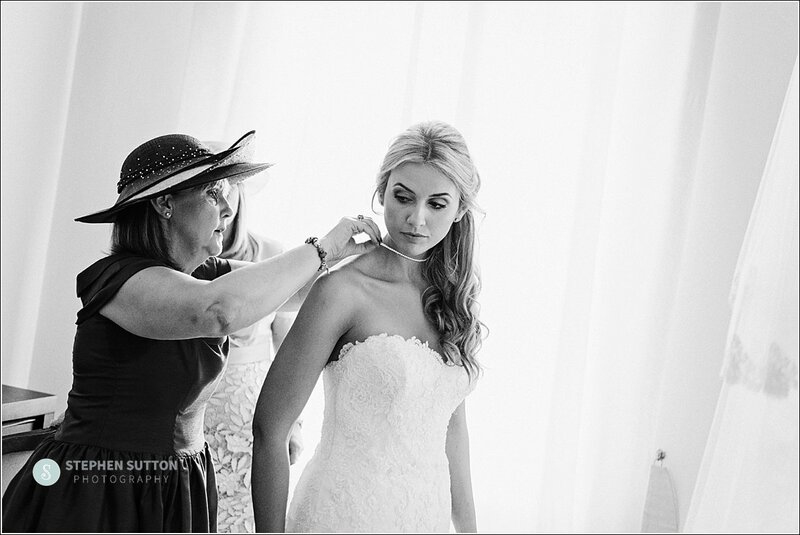 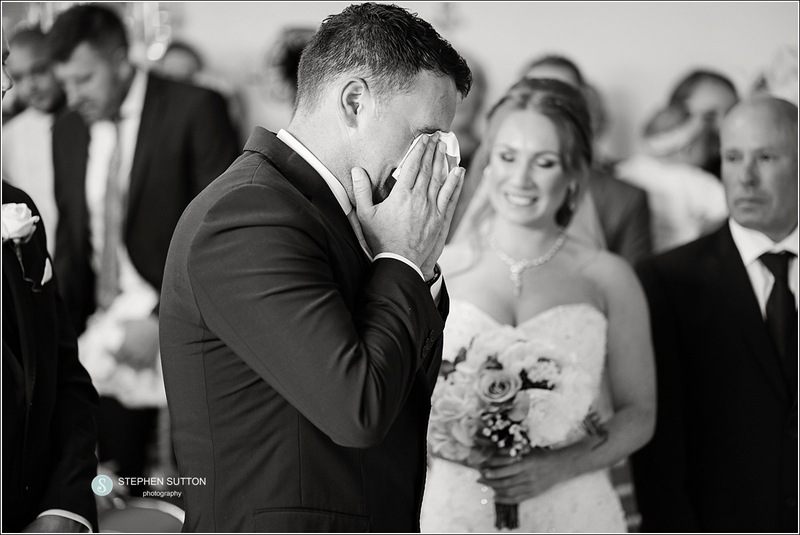 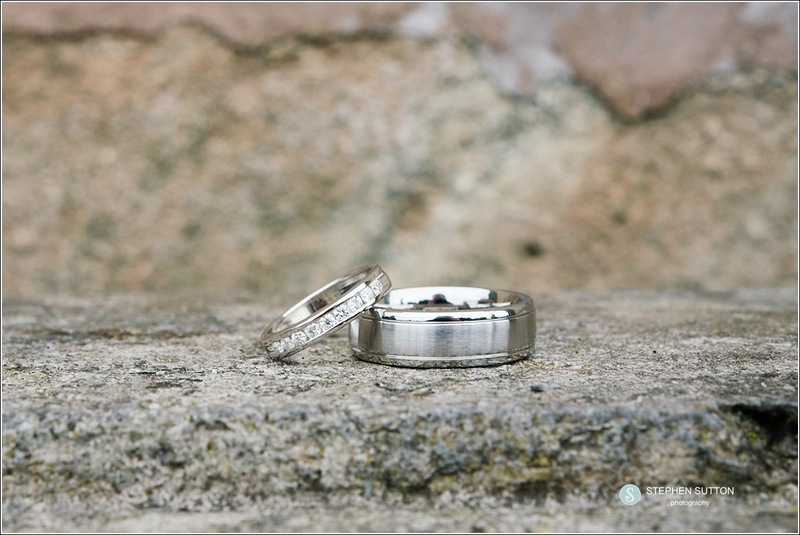 I prefer to photograph this part of the wedding in a documentary style, capturing moments as they unfold. 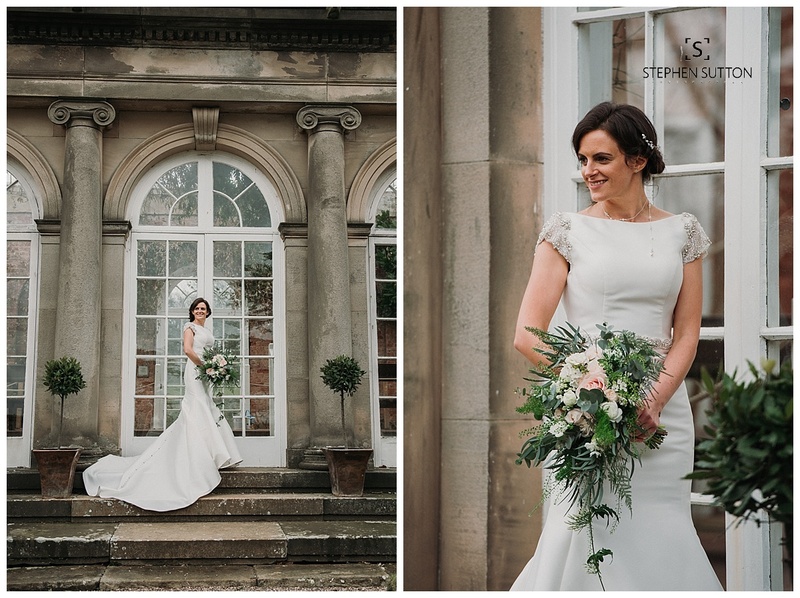 Later in the day the Bride and Groom went for a walk around the gardens at Sandon Hall and this provided me with the opportunity to take more creative portraits. 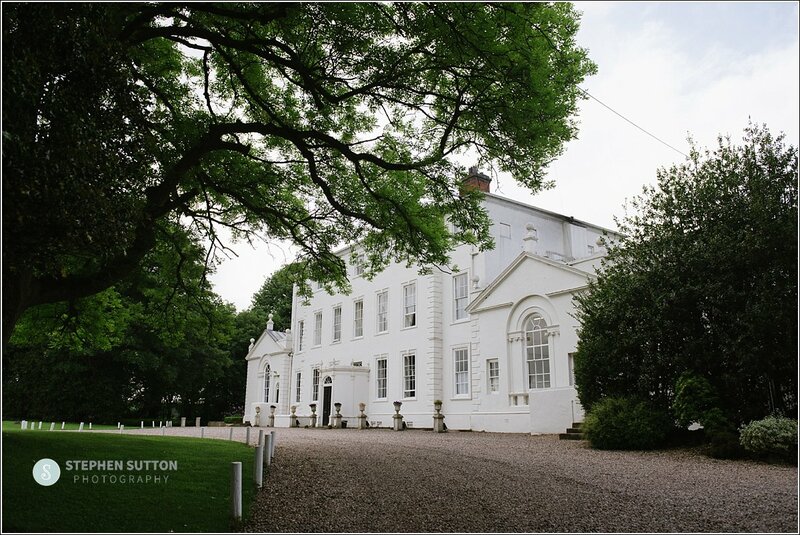 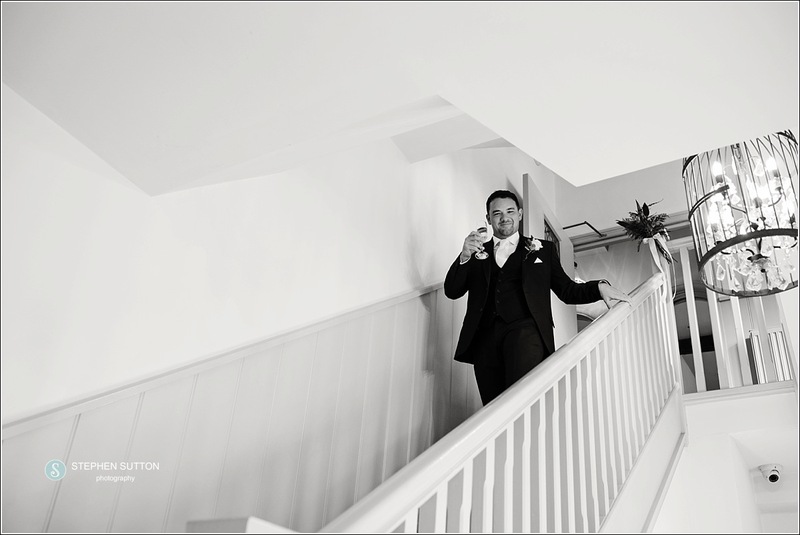 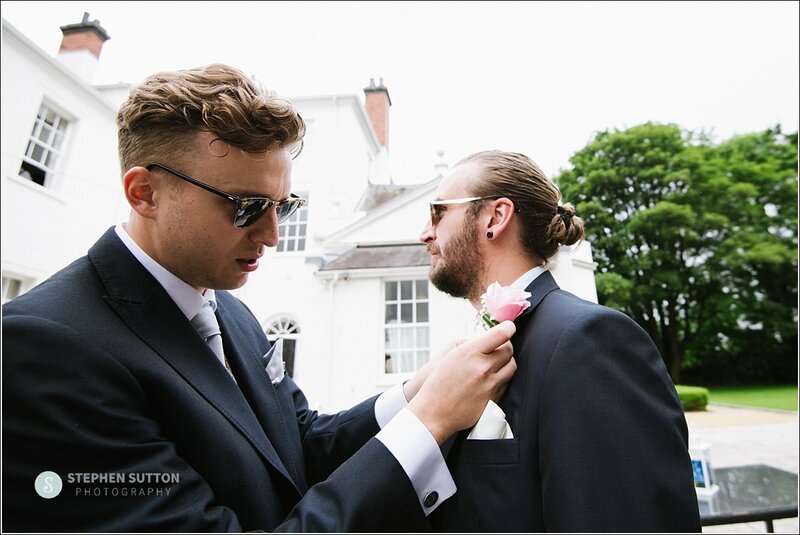 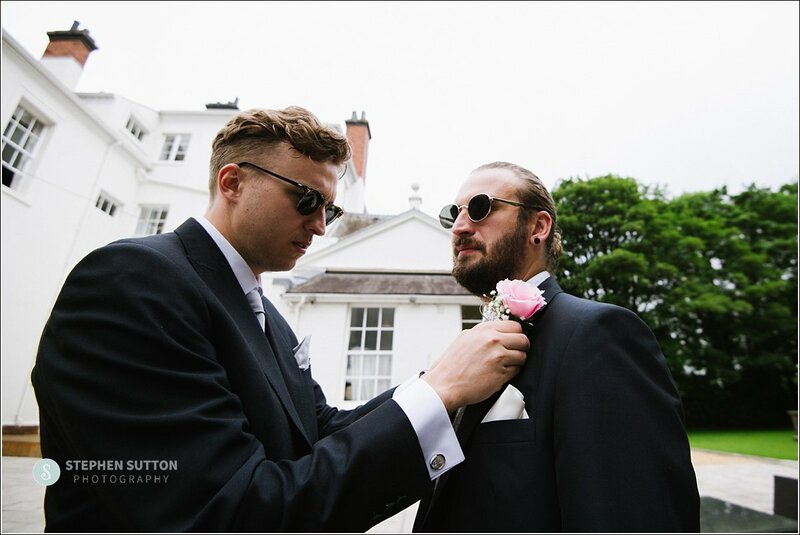 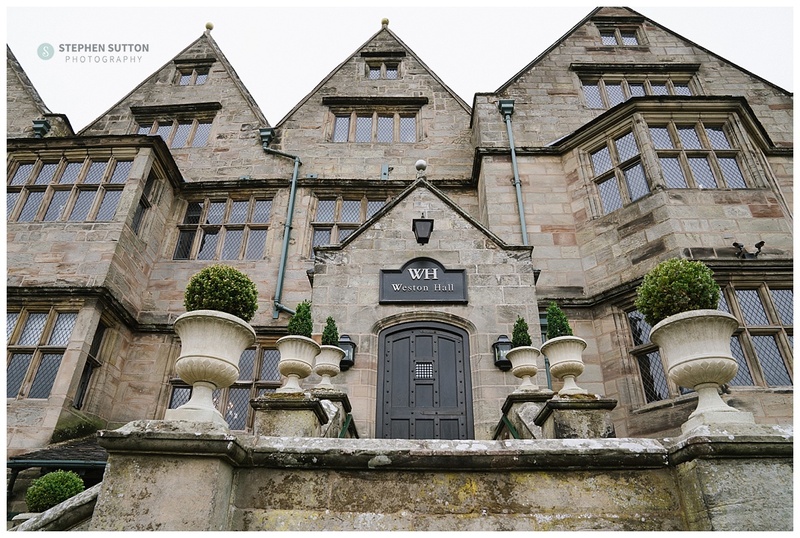 Weston hall wedding photography, Stafford, Staffordshire. 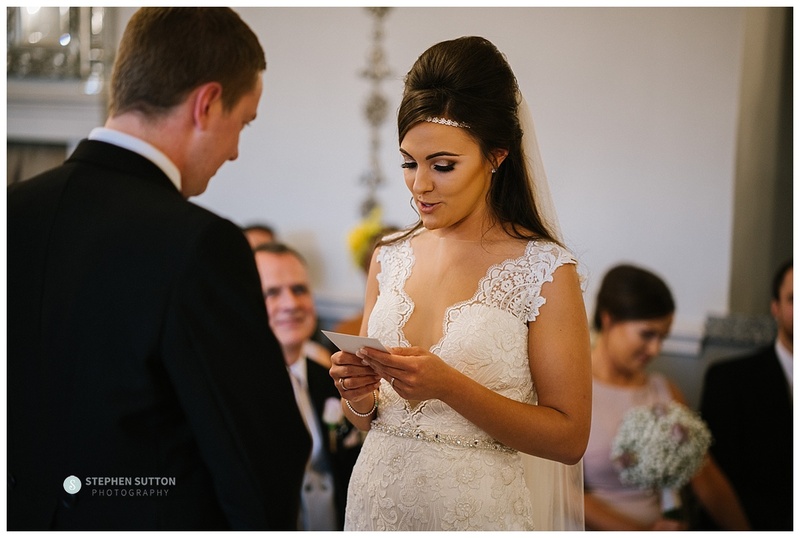 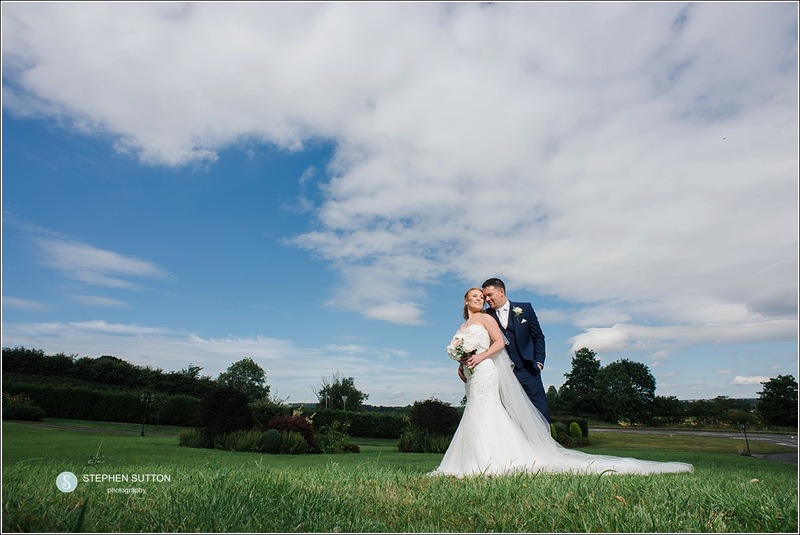 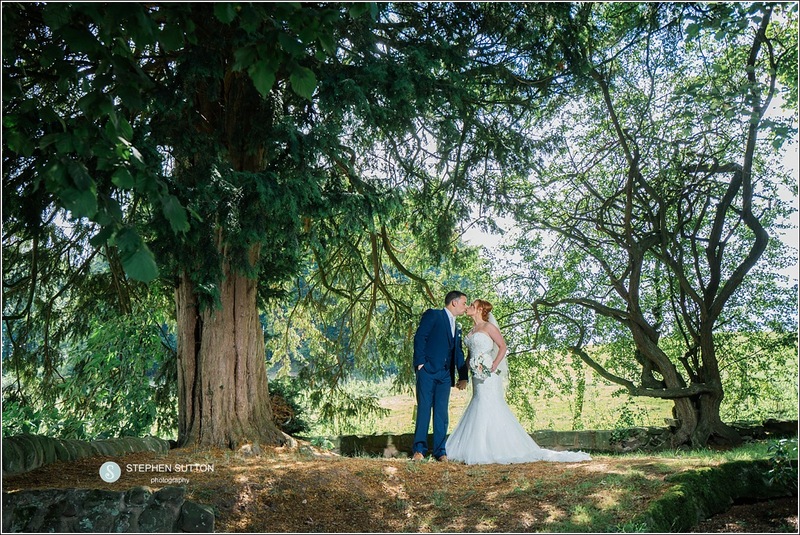 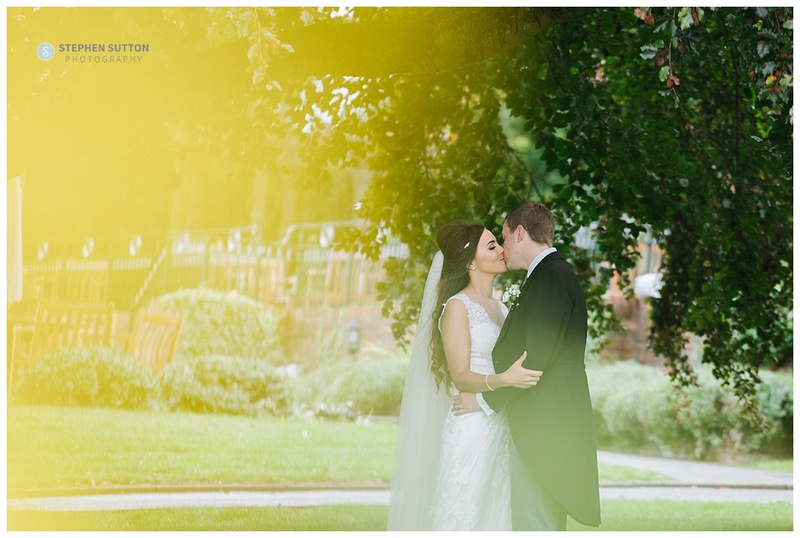 Natalie & Sean were married at the beautiful Weston Hall in Stafford on a lovely sunny afternoon. 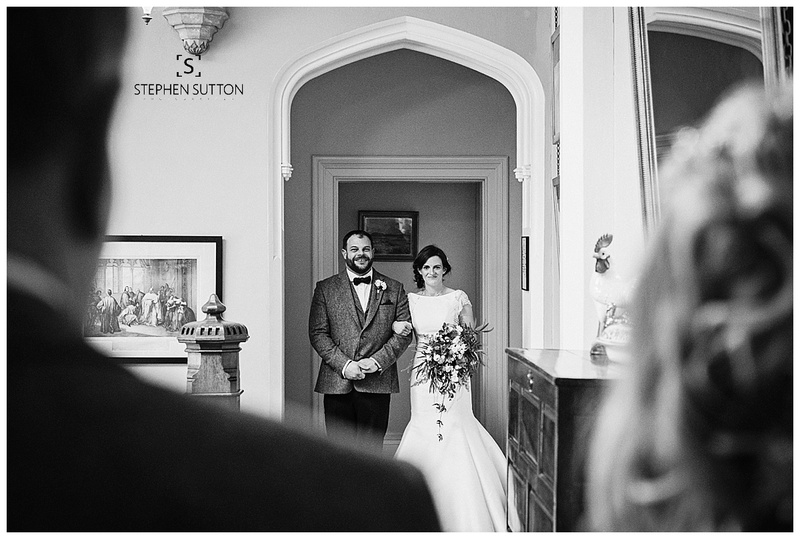 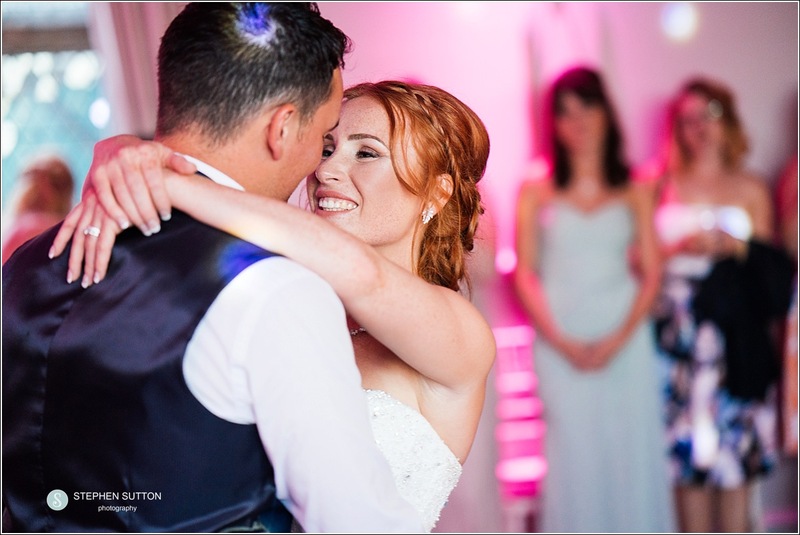 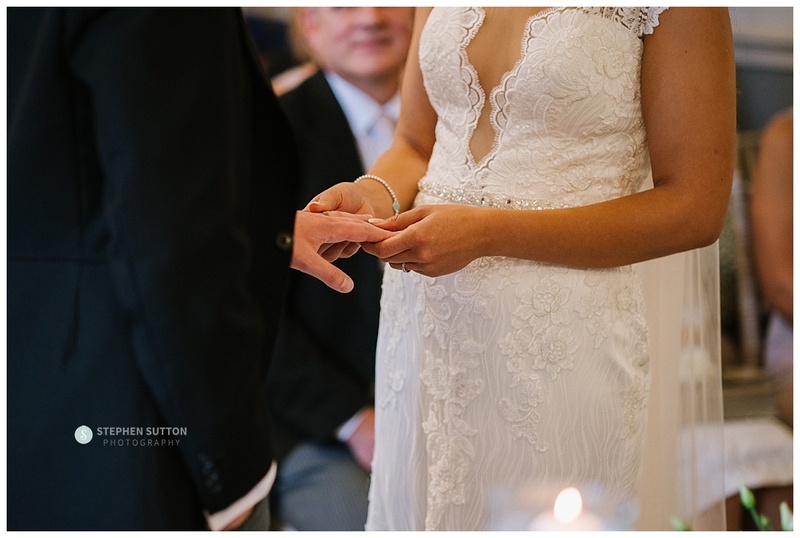 Natalie & Sean booked me to document their wedding story after meeting them at one of Weston halls wedding open days. 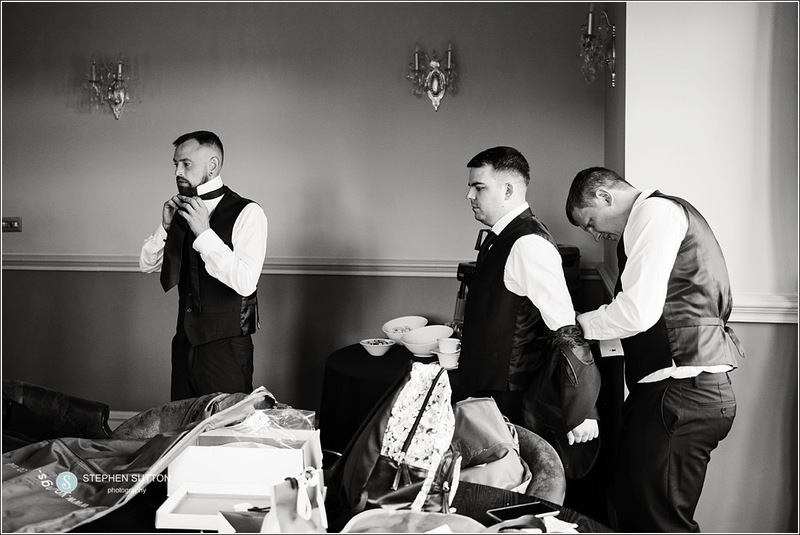 They opted for all day coverage starting with the bridal preparations in weston halls bridal suit. 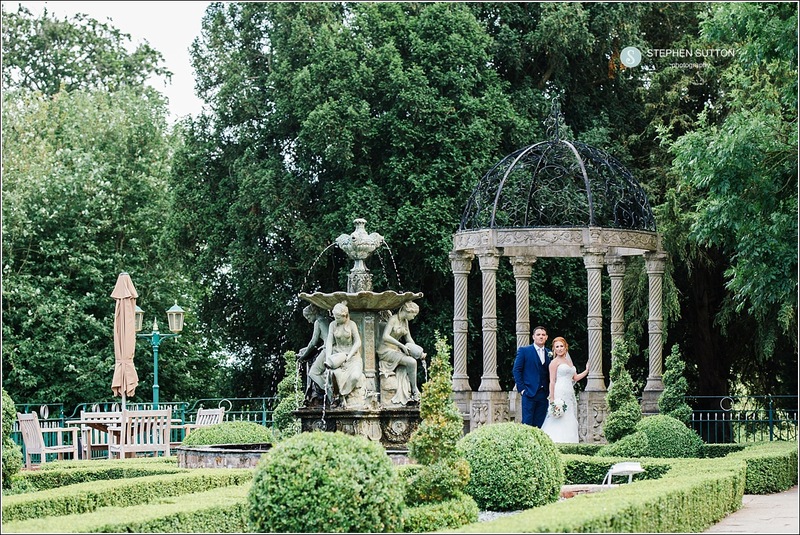 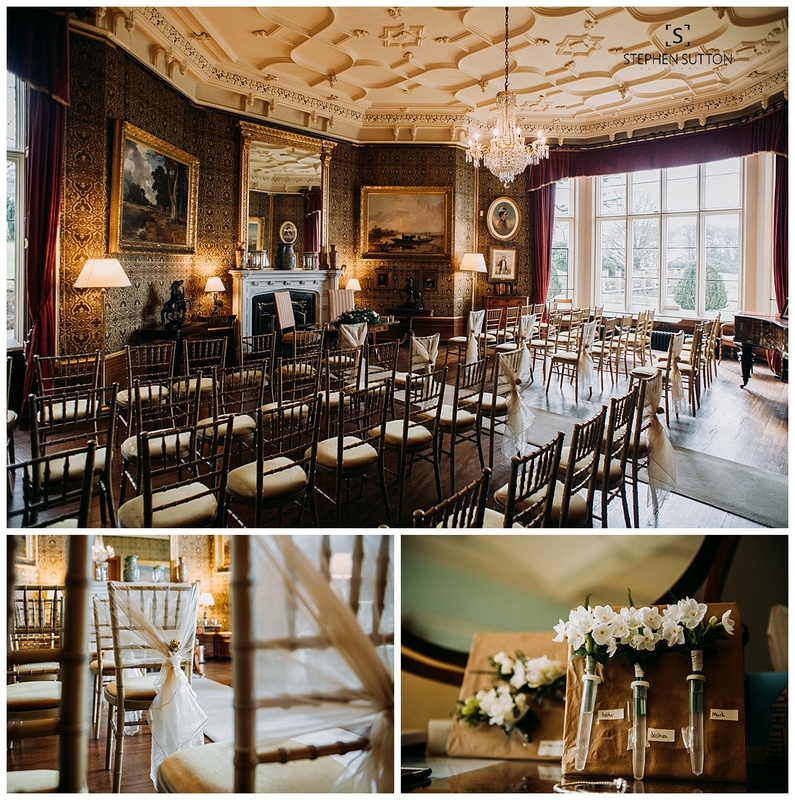 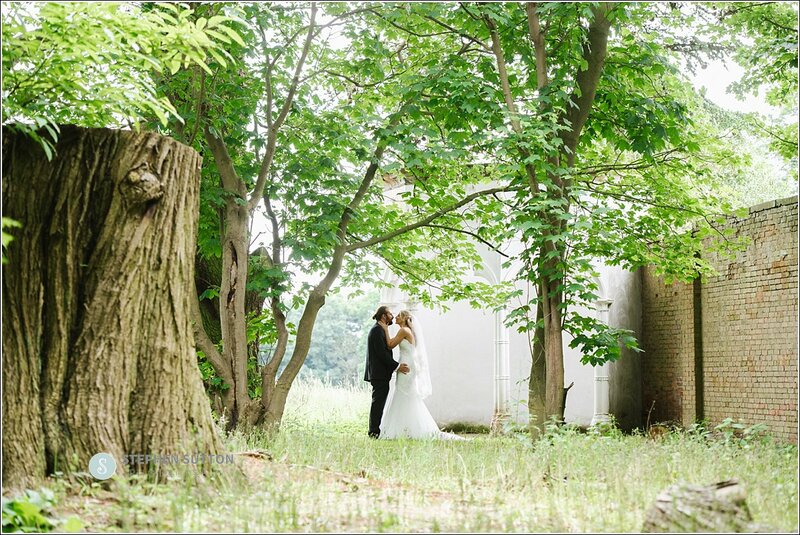 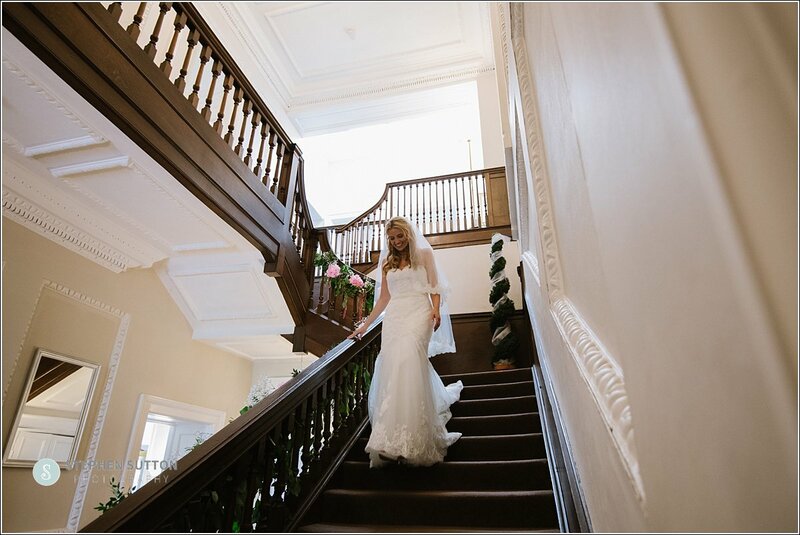 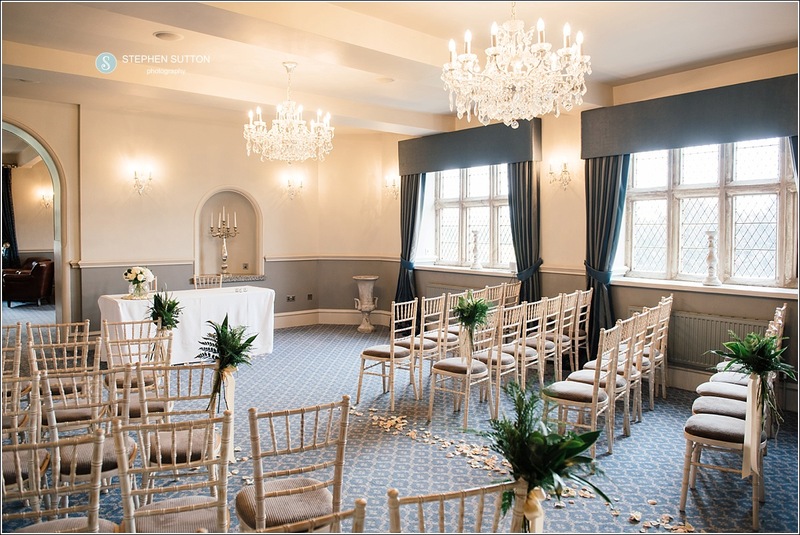 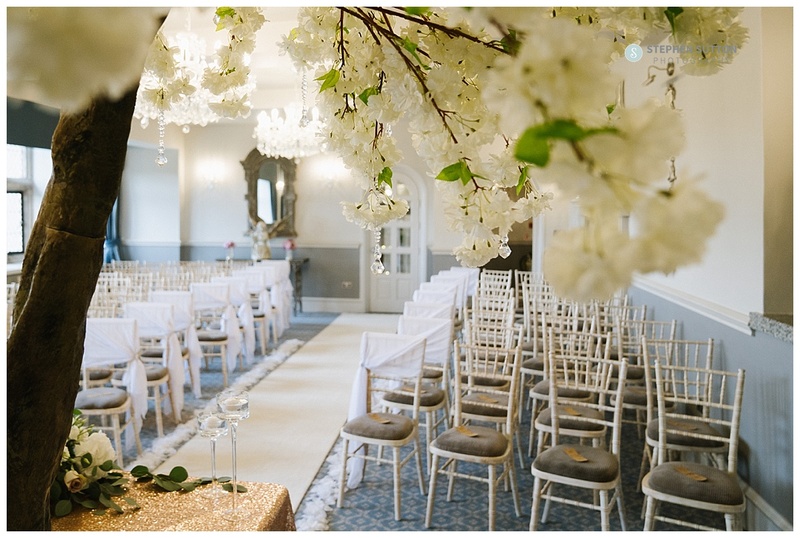 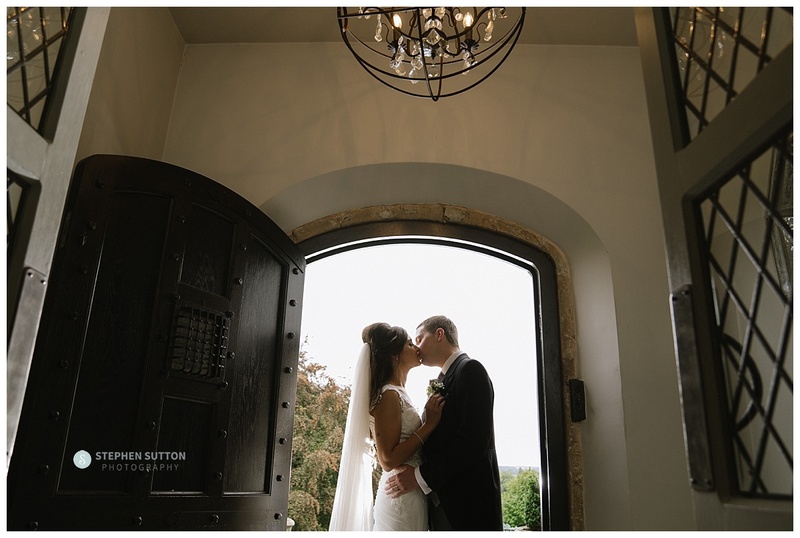 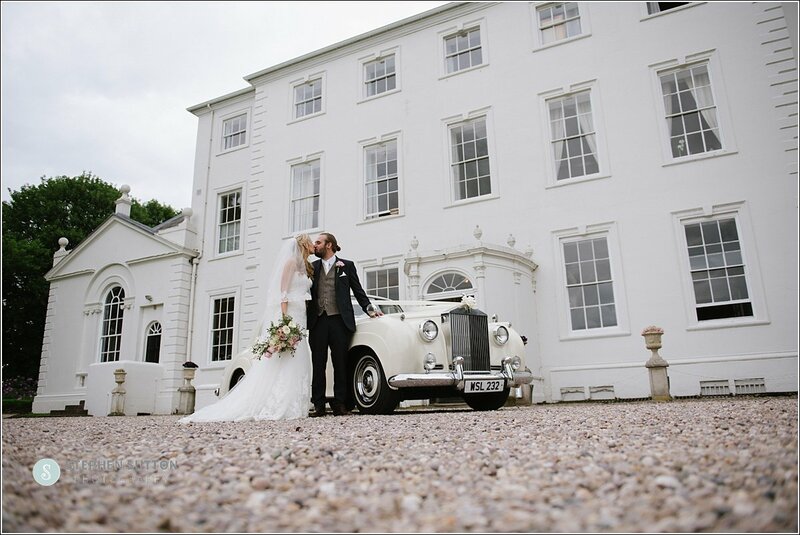 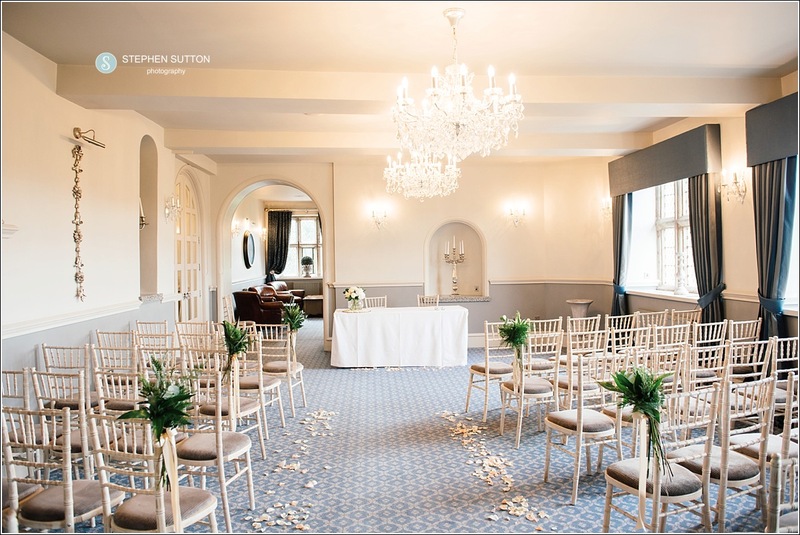 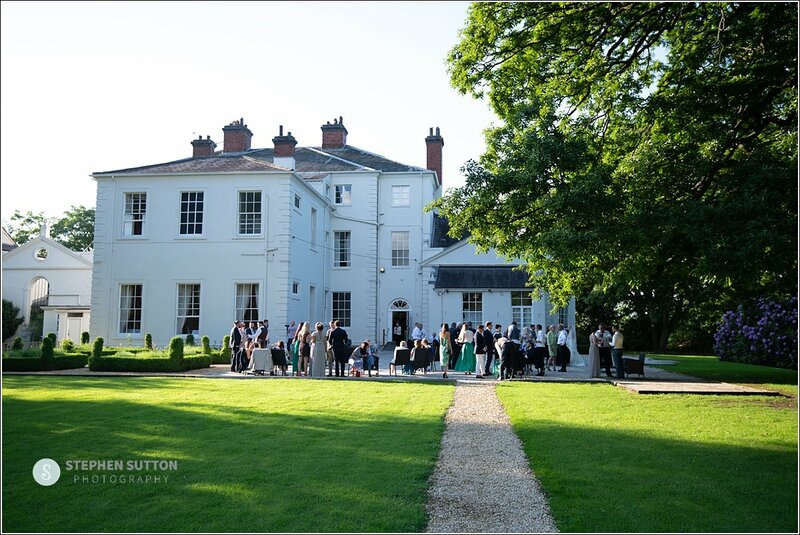 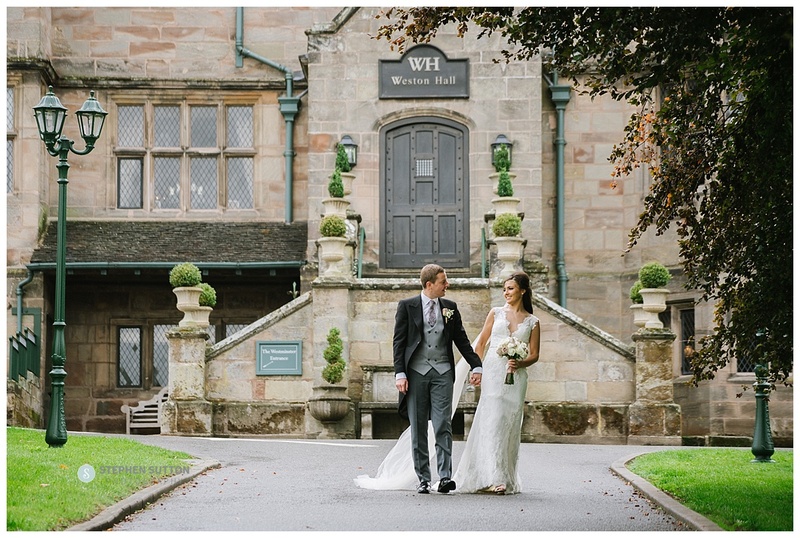 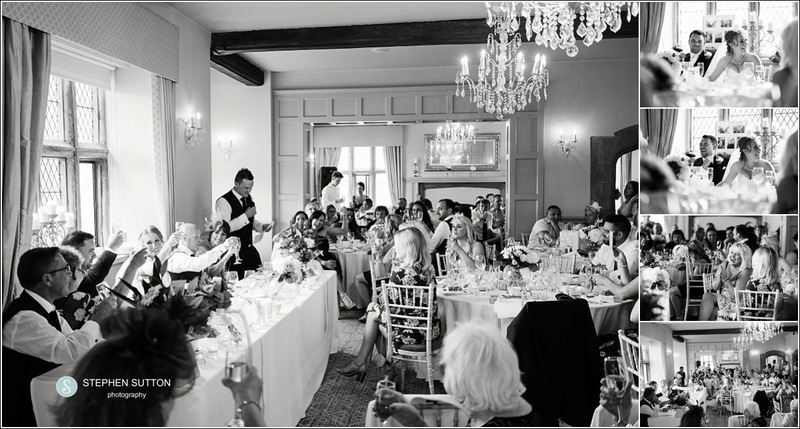 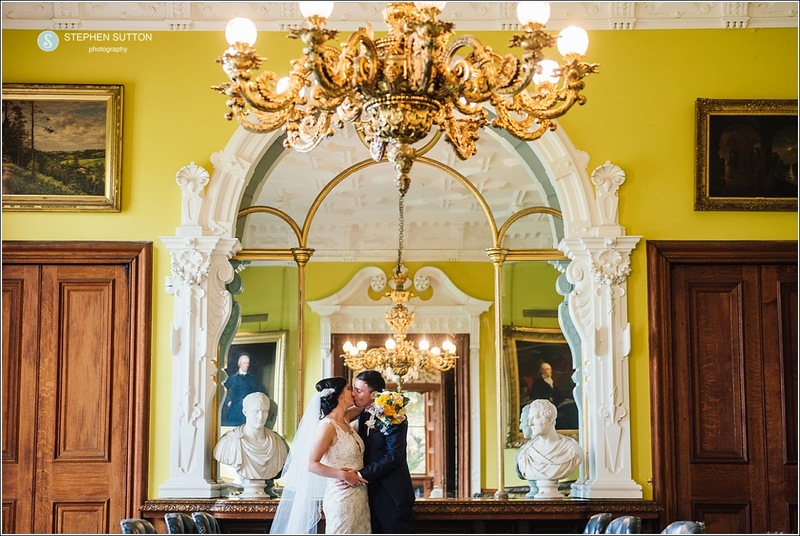 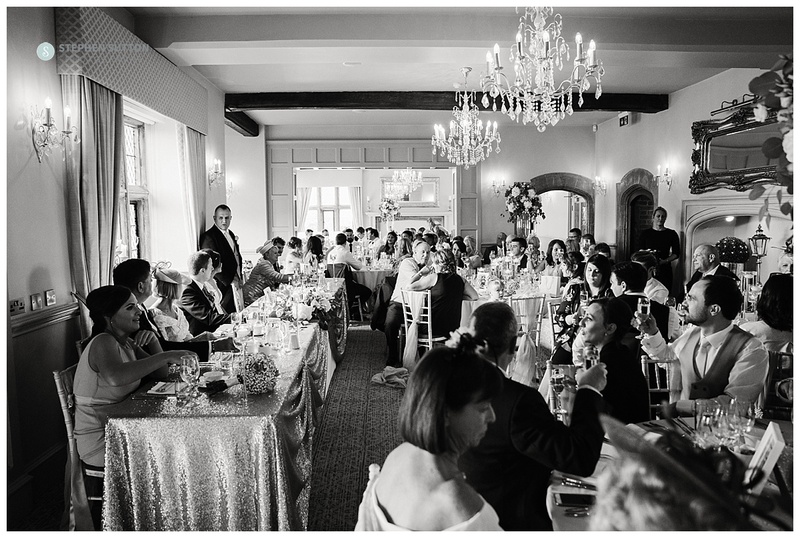 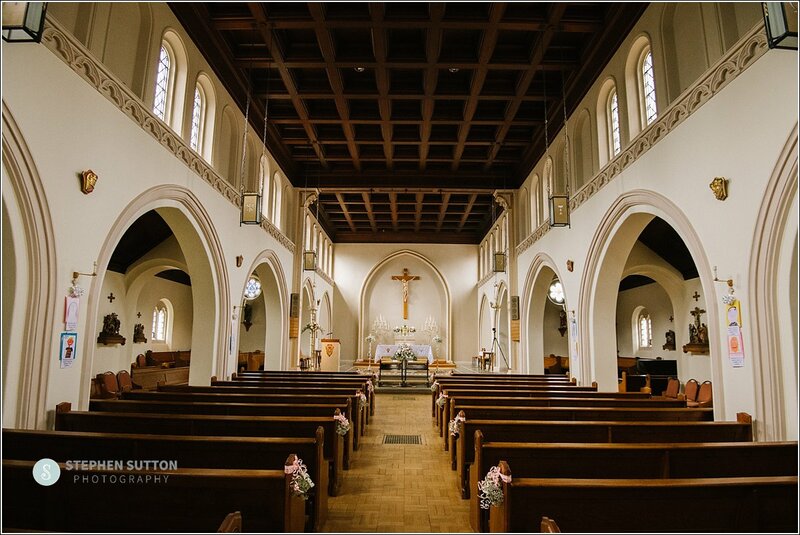 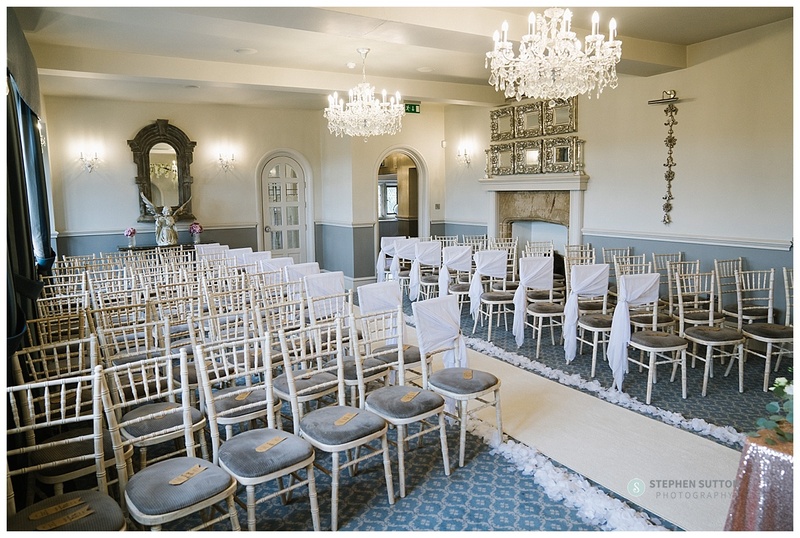 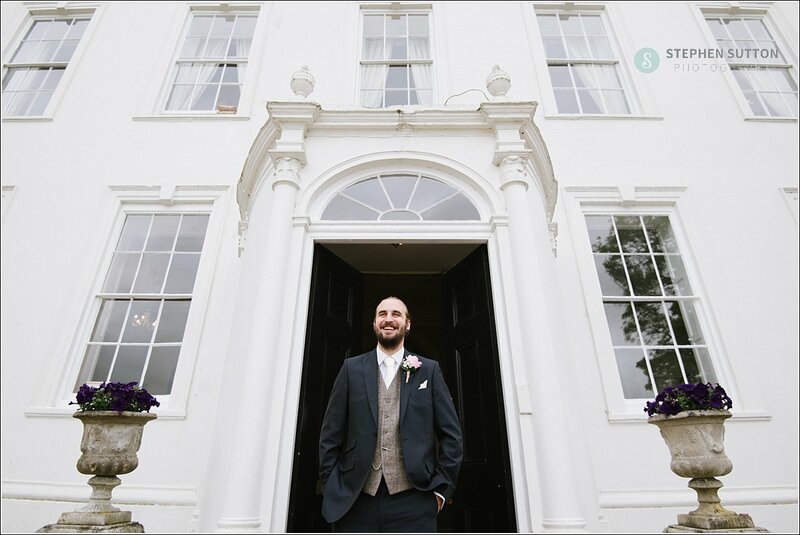 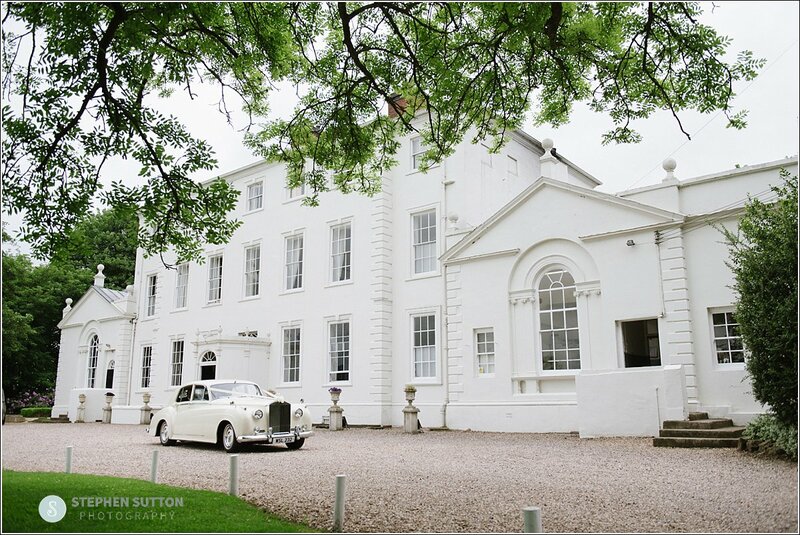 Weston hall is a great choice for weddings, its full of character and charm. 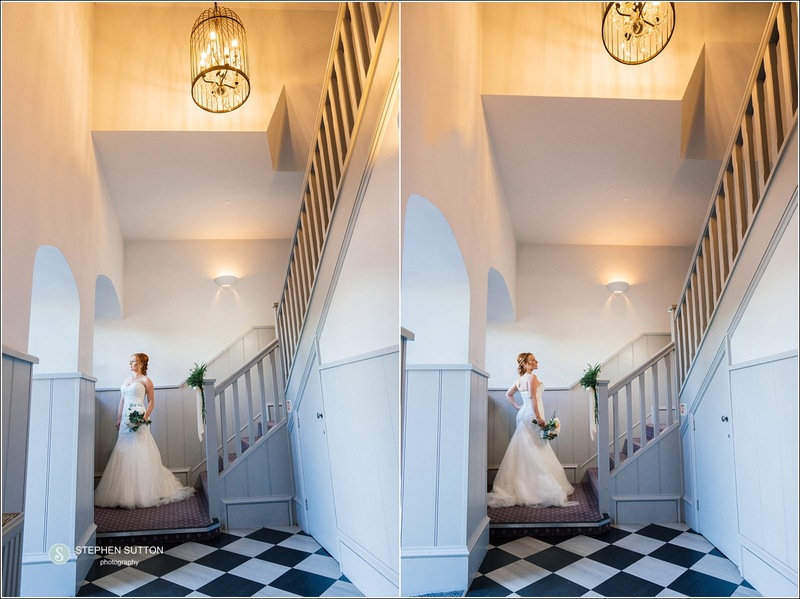 I have worked at this wedding venue many times over the years and it is always a pleasure to photograph weddings at this stunning venue. 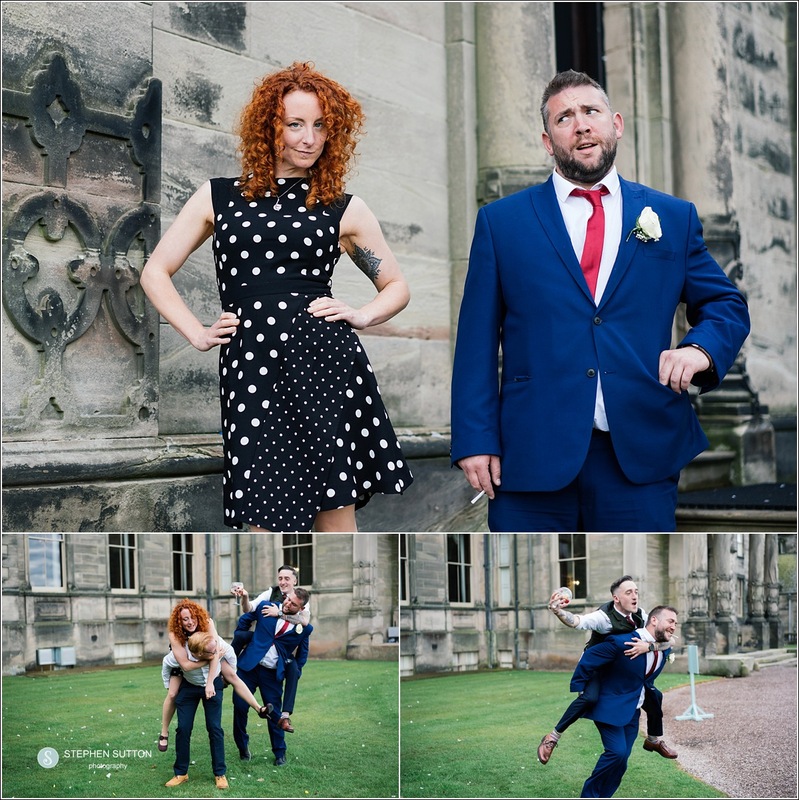 leading up to the wedding we met up at Stafford castle as Natalie & Sean wanted one of my engagement session, these are around 40 minutes and usually in the Stafford area. 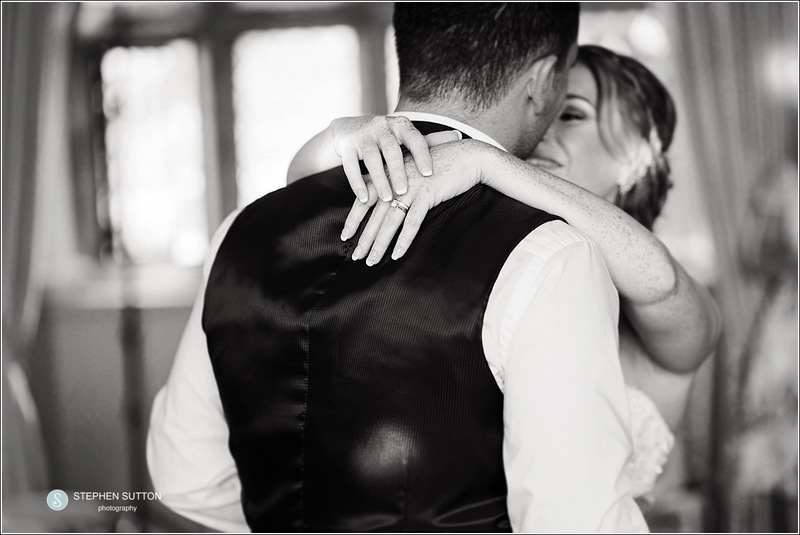 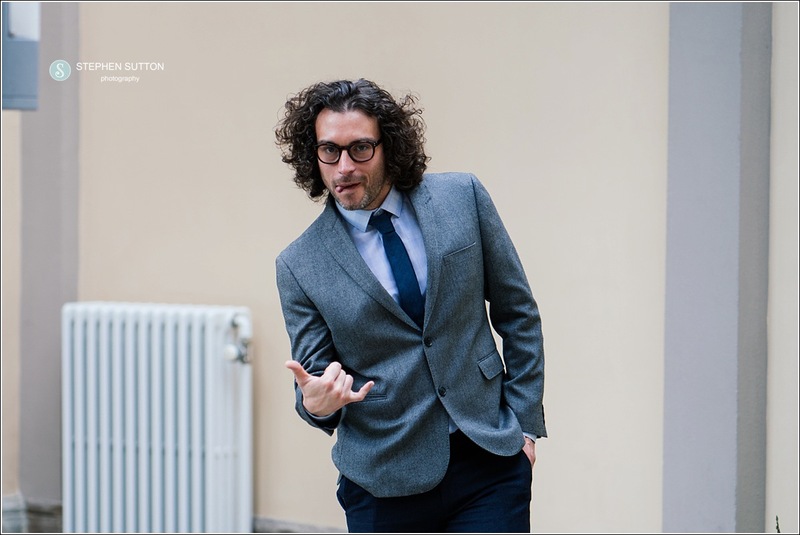 This helps couples get used to working wth me and getting them relaxed in front of the camera. 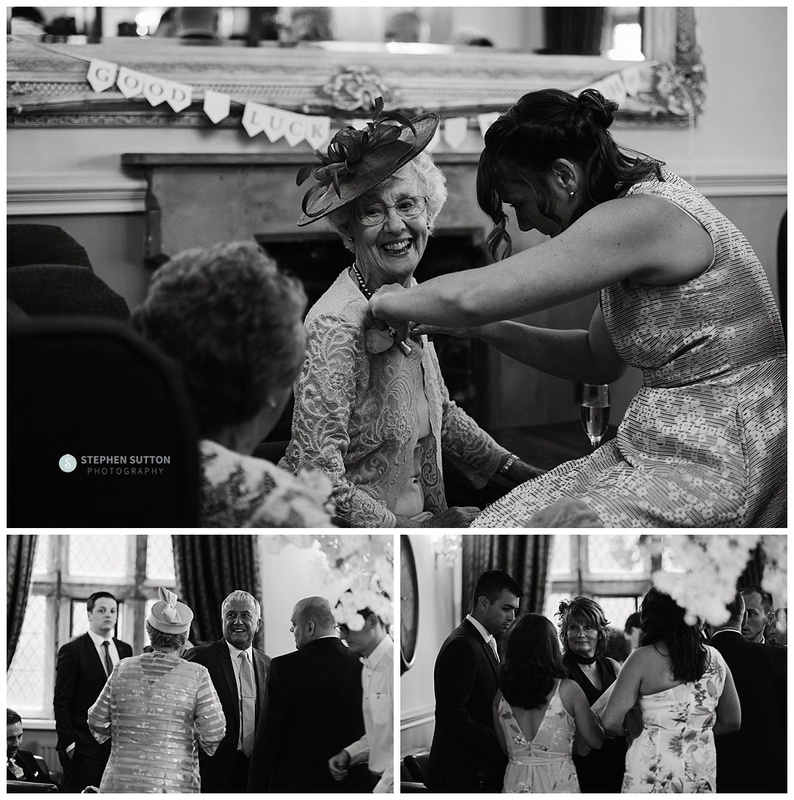 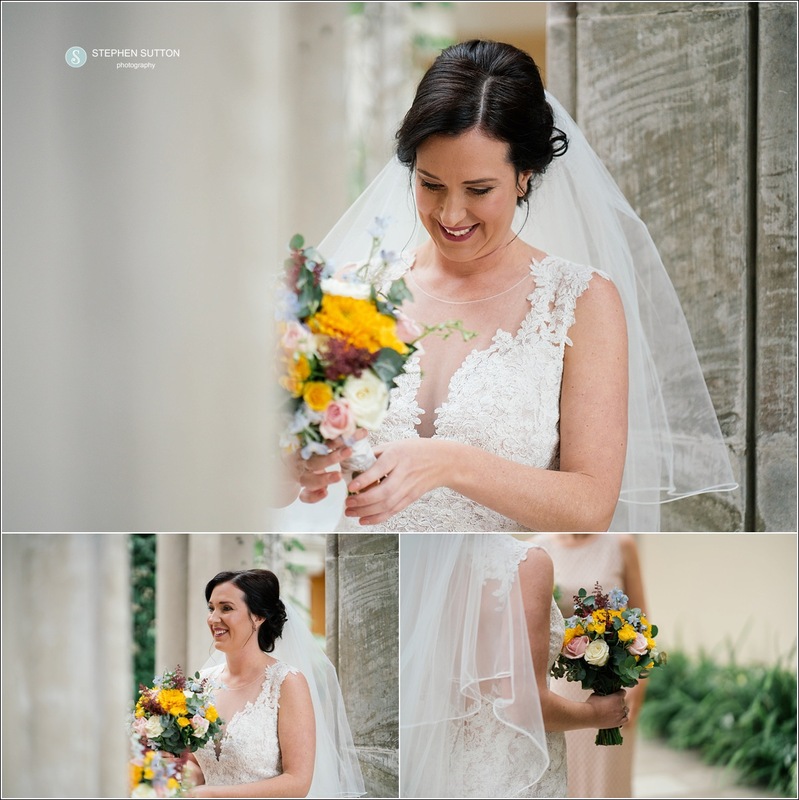 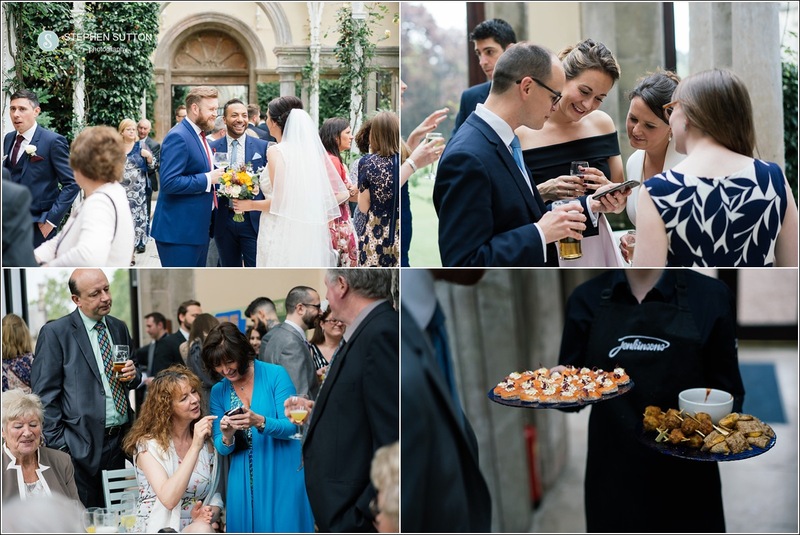 a selection of images from the wedding.